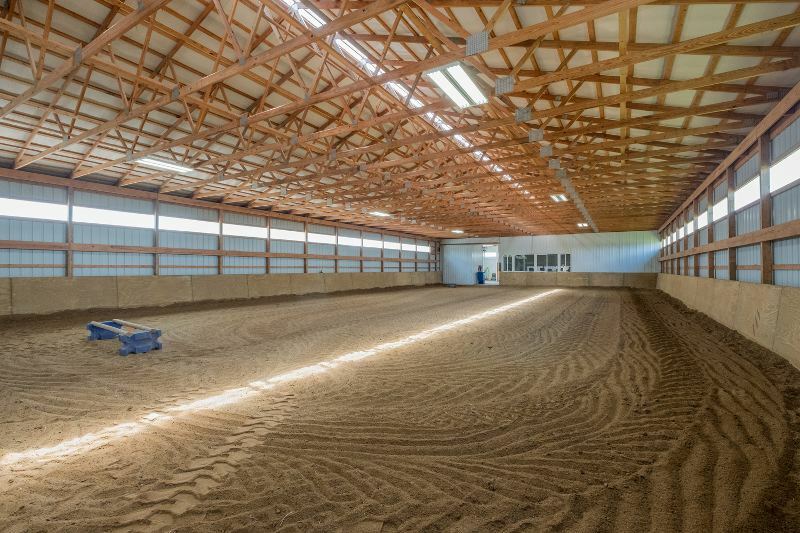 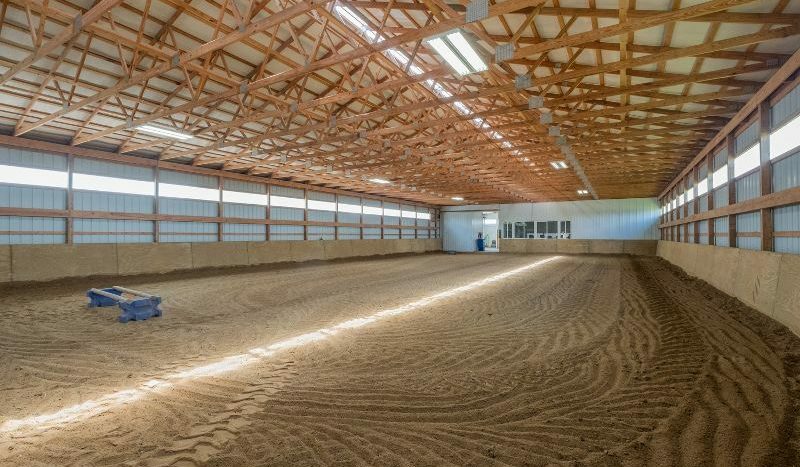 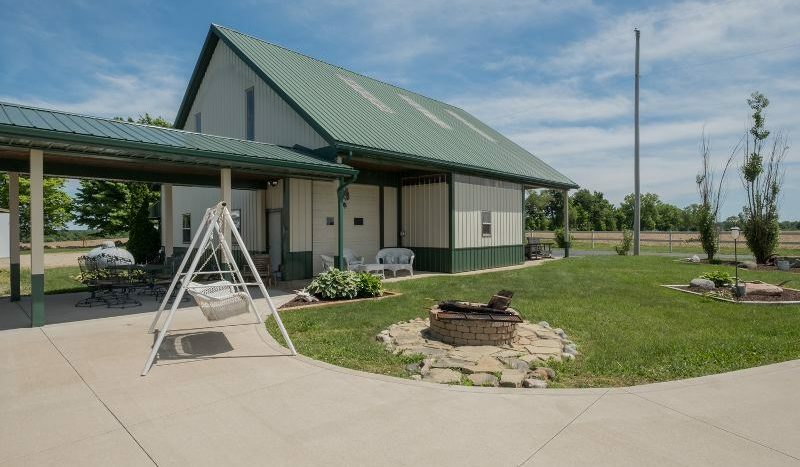 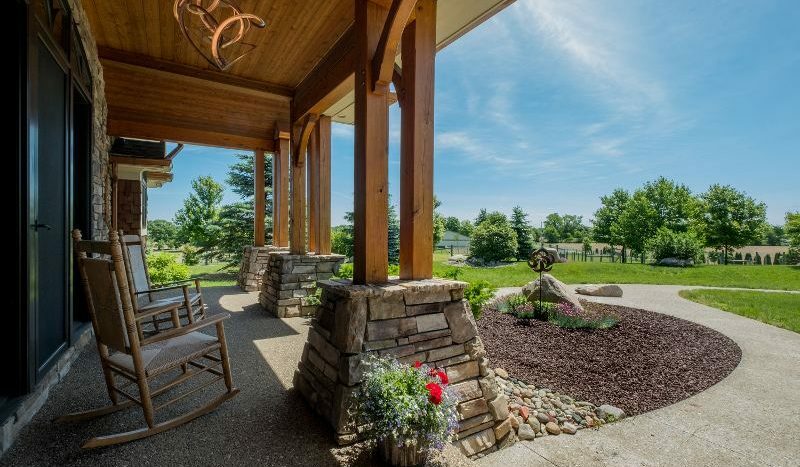 Adjacent to the Barn/Indoor Riding Facilities the Covered Walk Way leads to the Lodge. 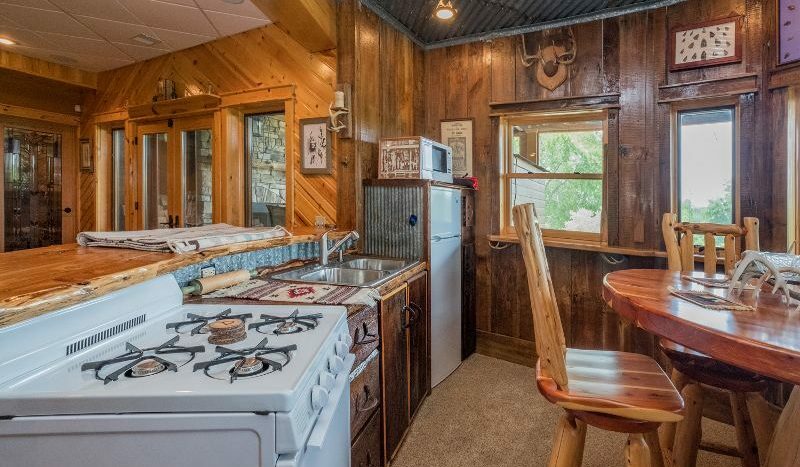 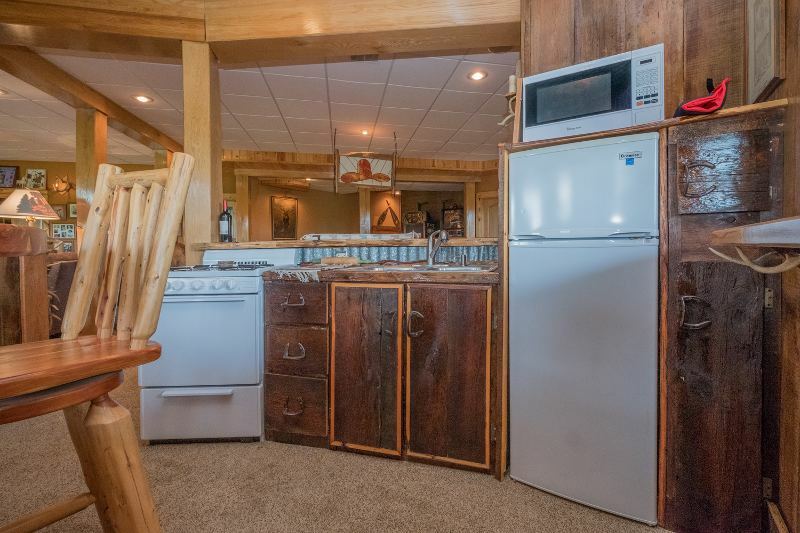 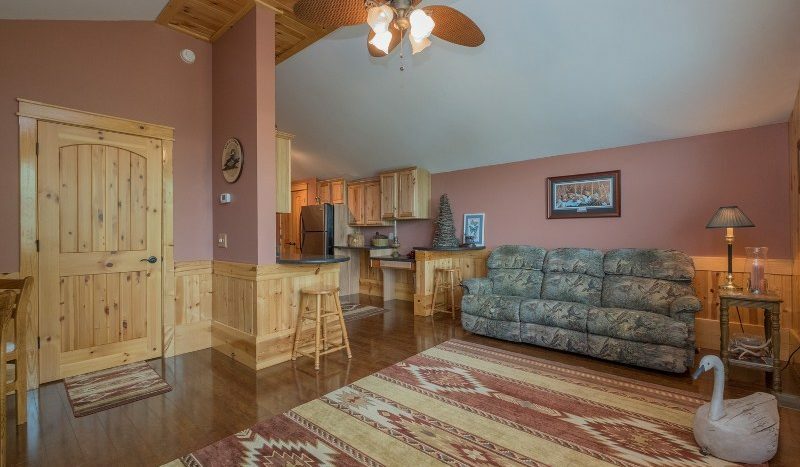 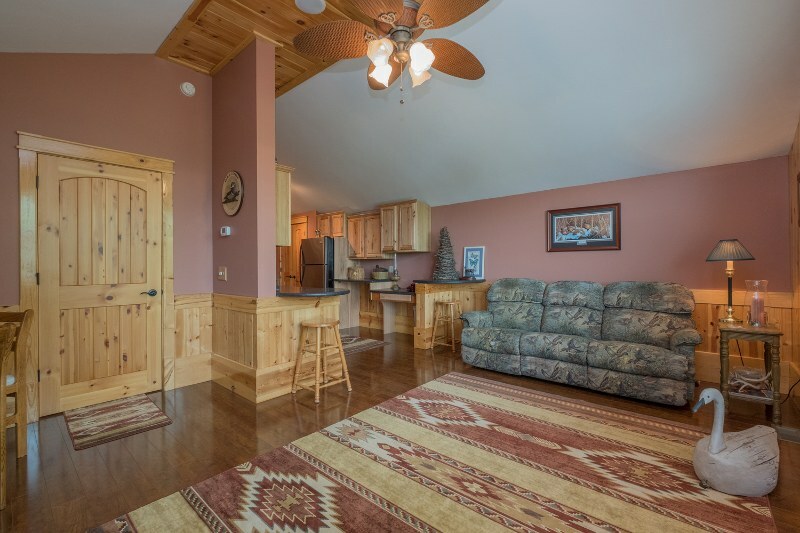 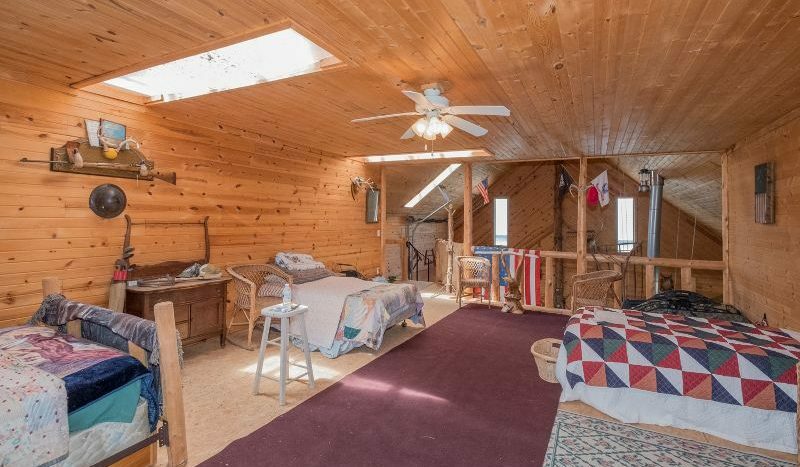 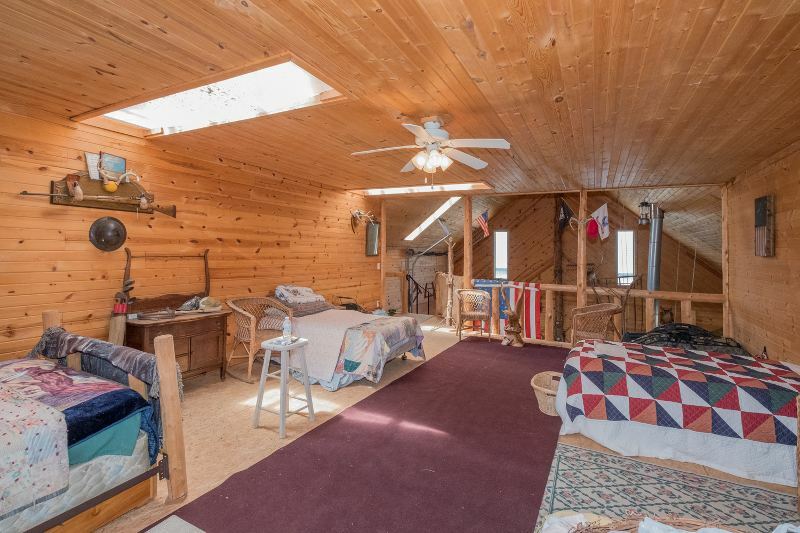 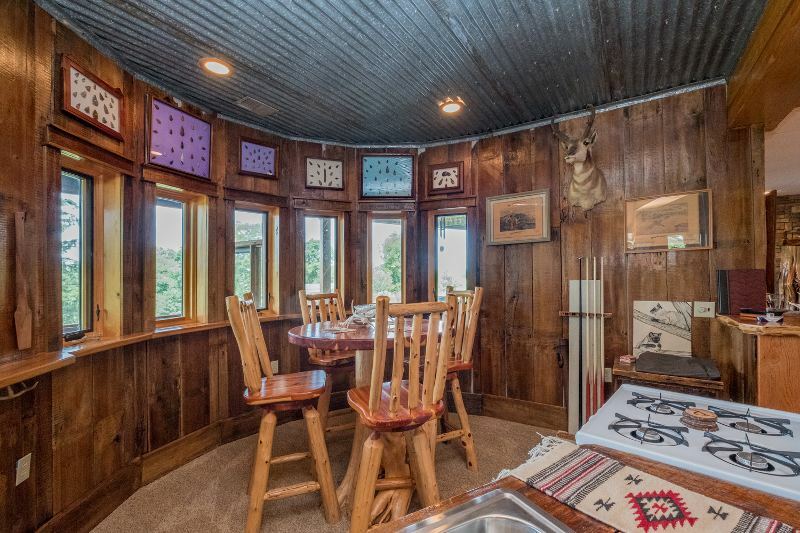 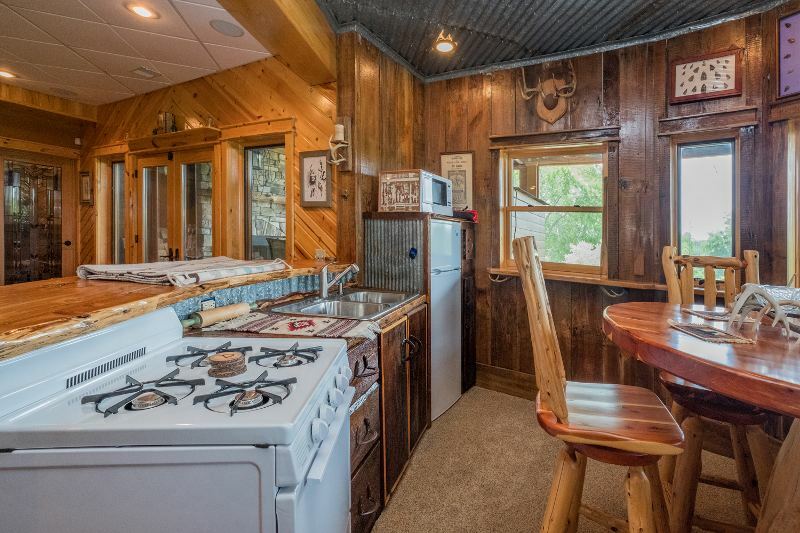 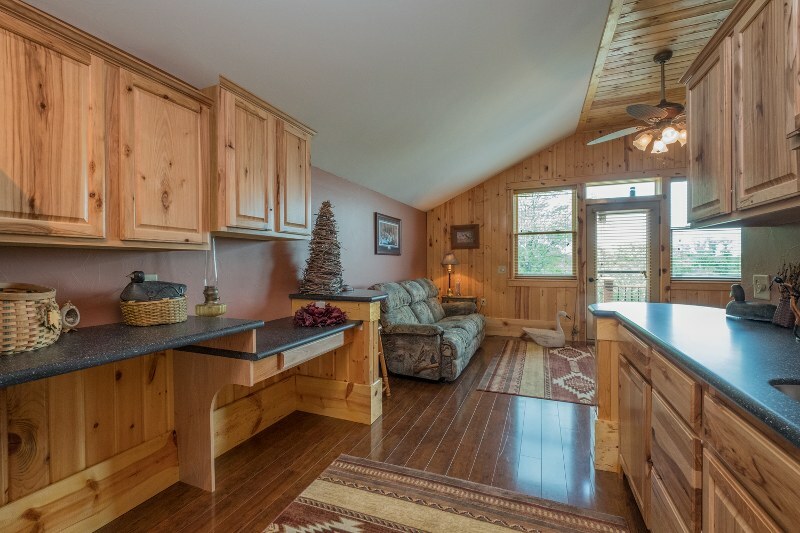 A finished interior of Knotty Pine the Lodge is Heated, has a Kitchenette, half bath & Spiral Stairs leading to the sleeping Loft. 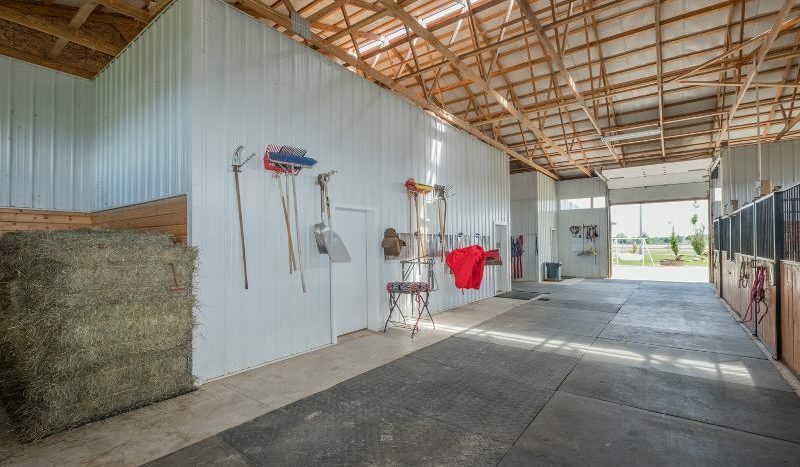 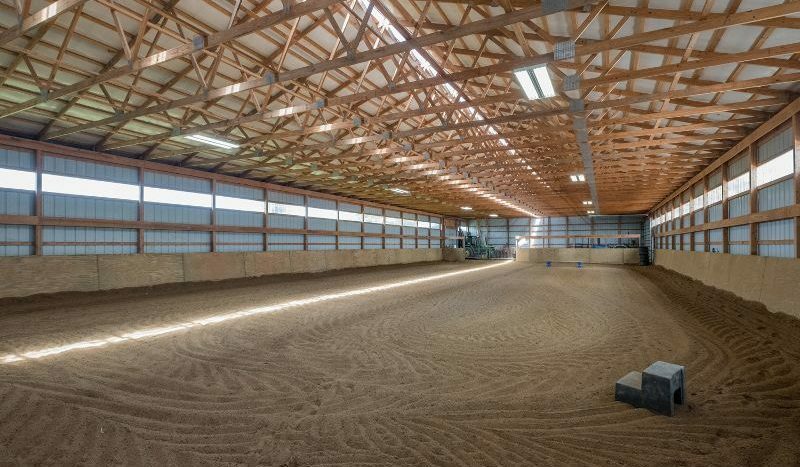 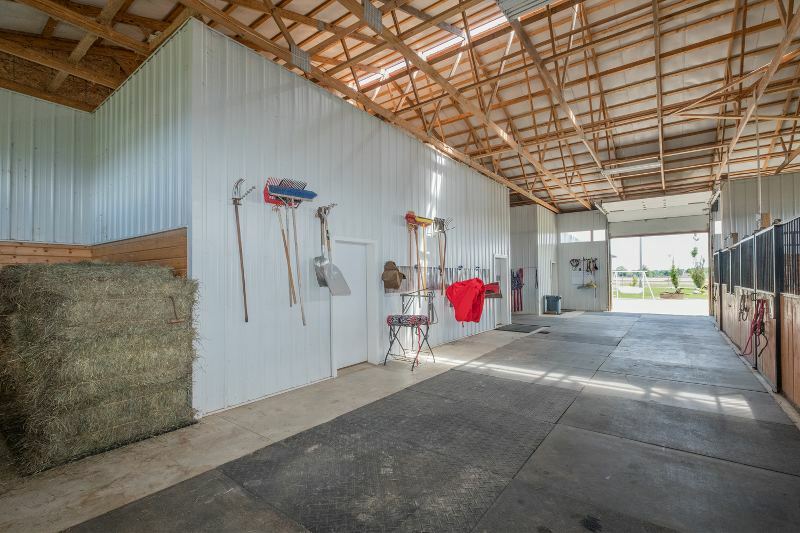 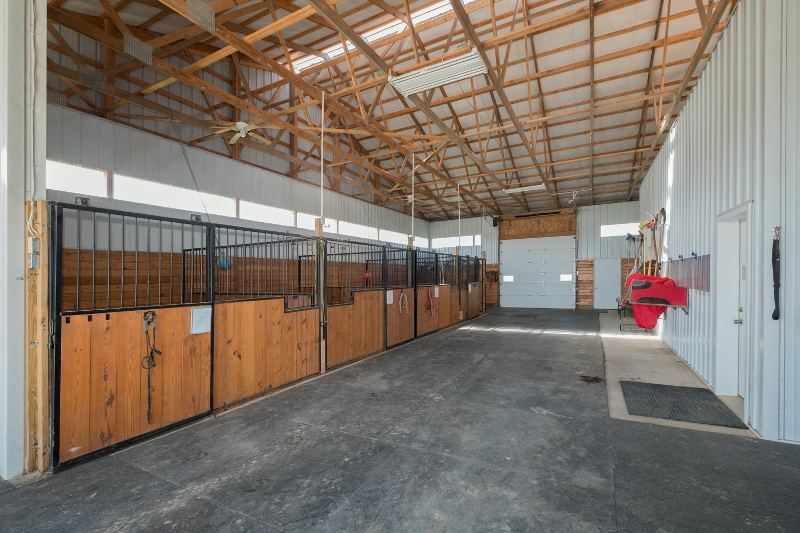 The attached Garage is easily adaptable to accommodate more stalls if desired. 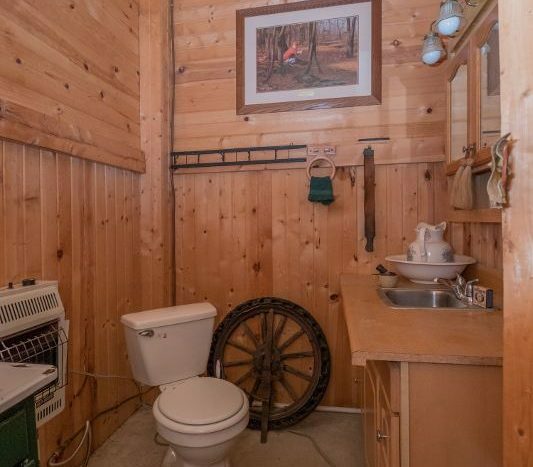 The potential uses are endless. 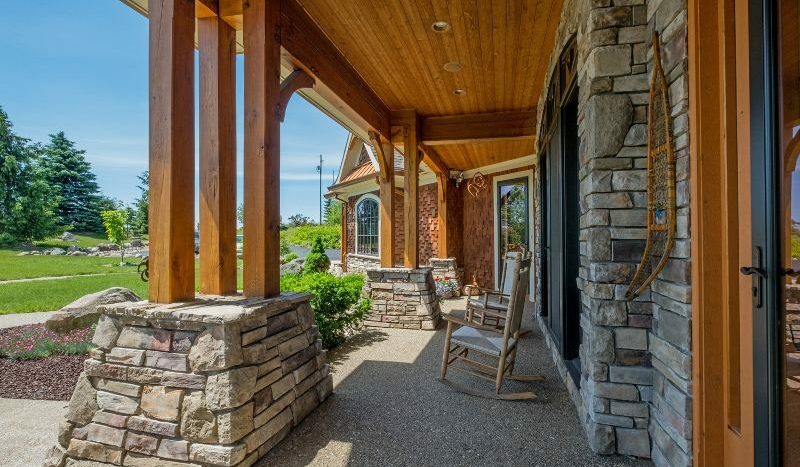 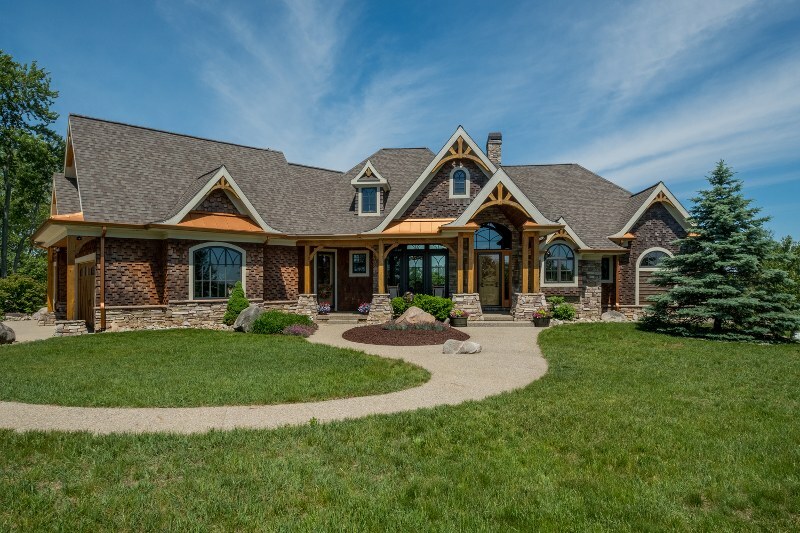 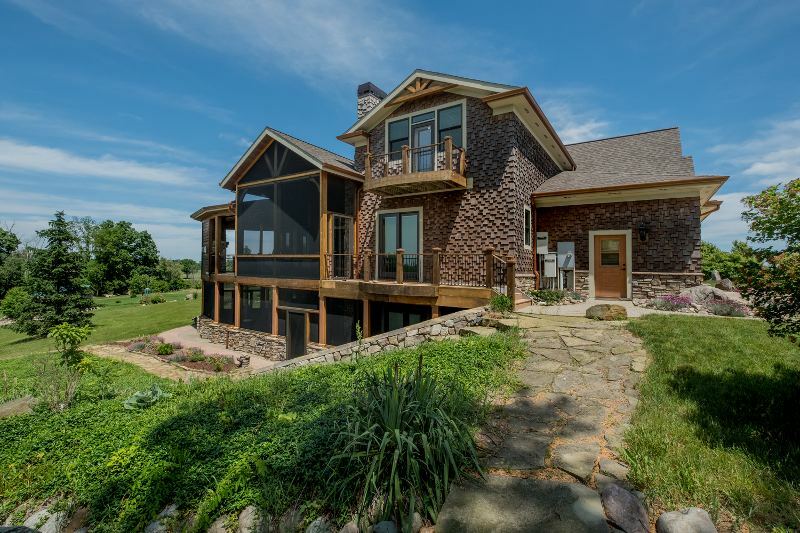 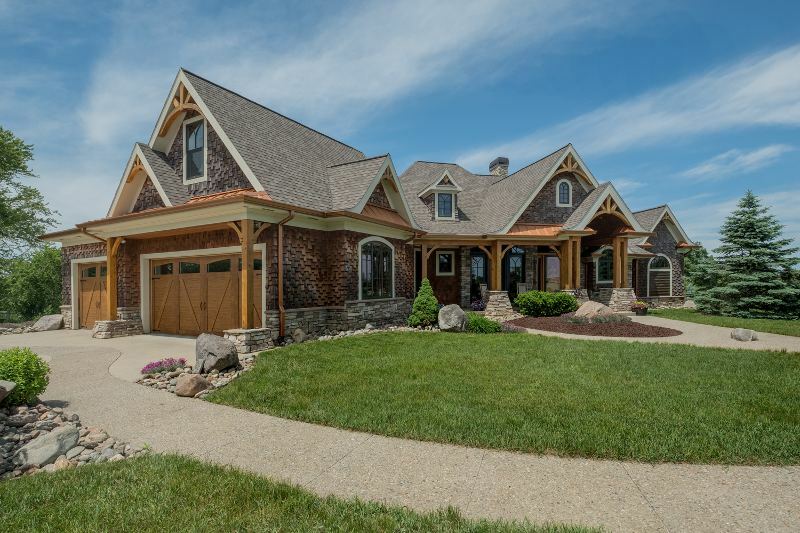 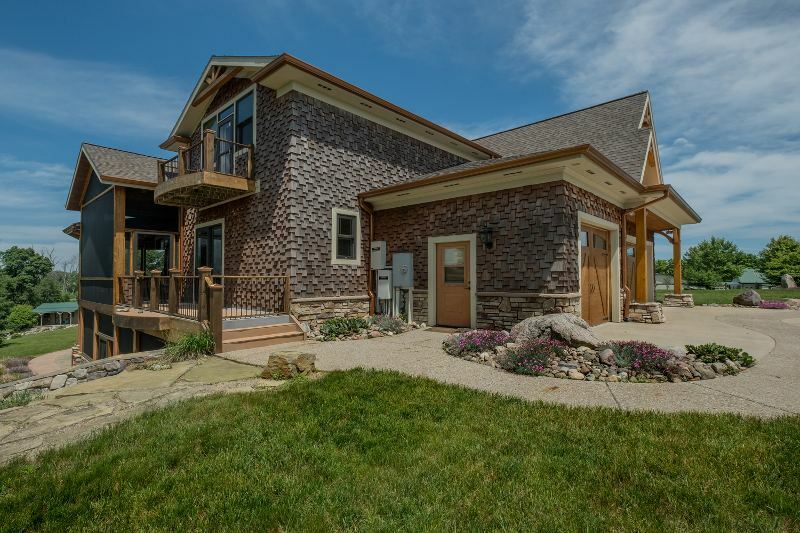 The Majestic Timber Frame Home lies at the end of a long tree lined drive. 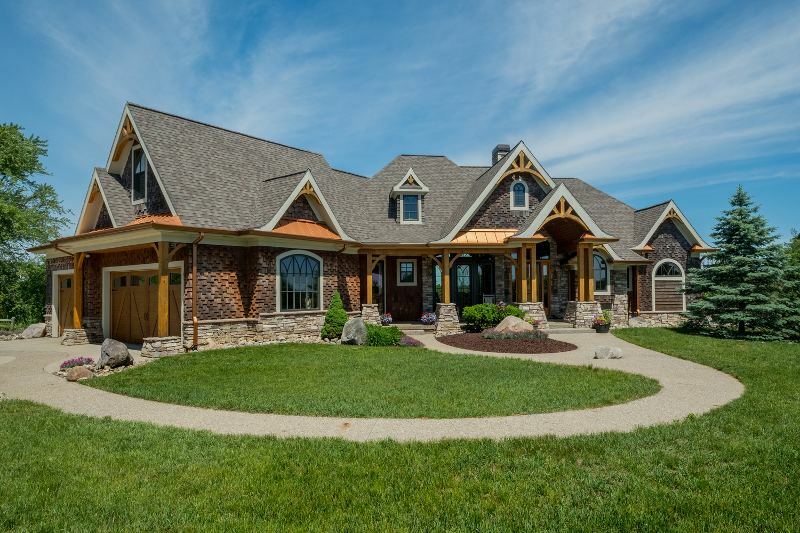 Impeccably designed with the best in Quality Amenities and Distinctive Features include Inlaid Copper Ceiling, Lighted Tray Ceilings, Hand Scraped Wood Flooring, Custom Hickory Cabinetry made by local Amish Craftsmen, Antler Chandeliers, Leaded Glass Doors, 5 Fireplaces. 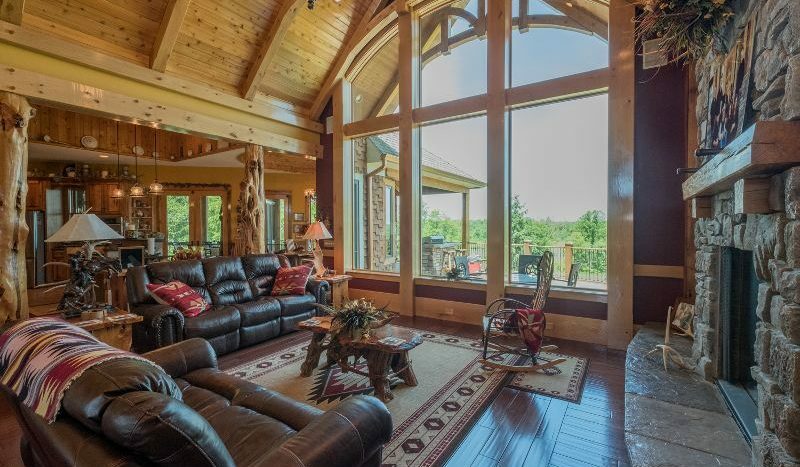 A well thought out floor plan brings in grand views from every room. 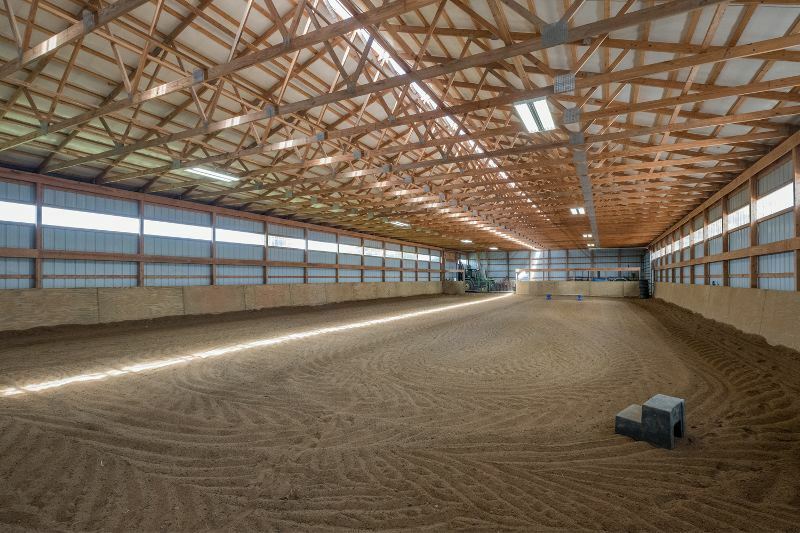 Nearly 7000 sq. 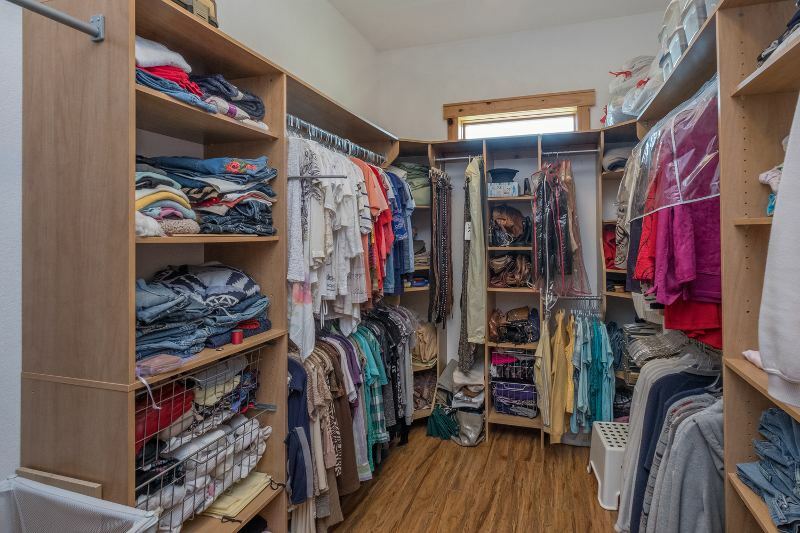 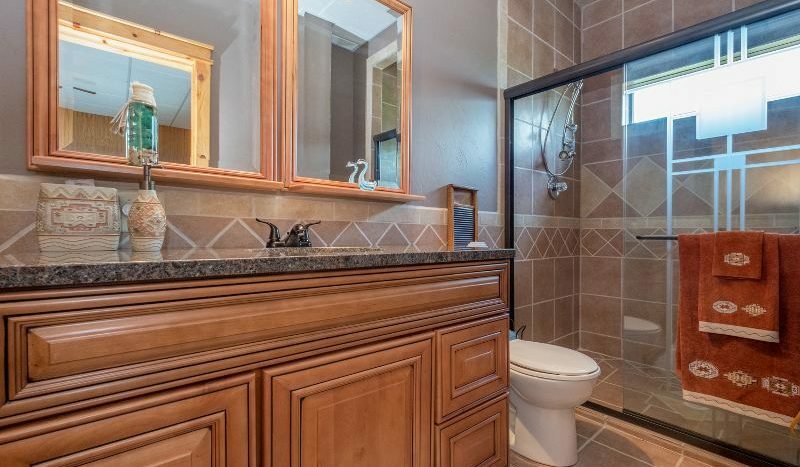 ft of living space including 5 bedrooms & 6 1/2 baths, (potential 6 bedroom suite). 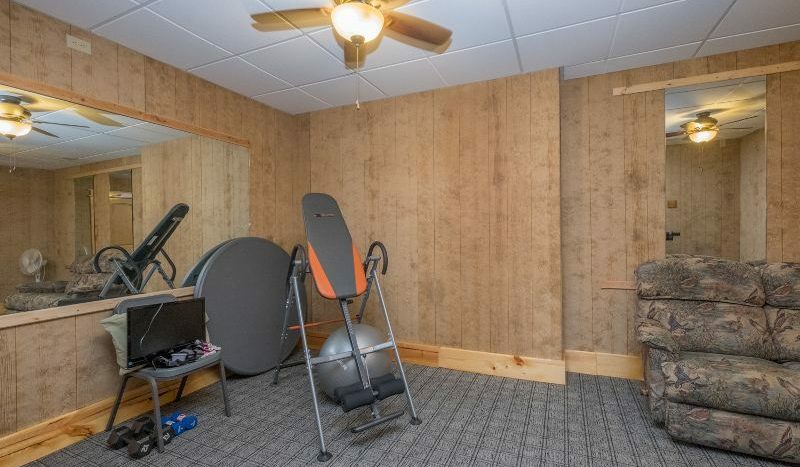 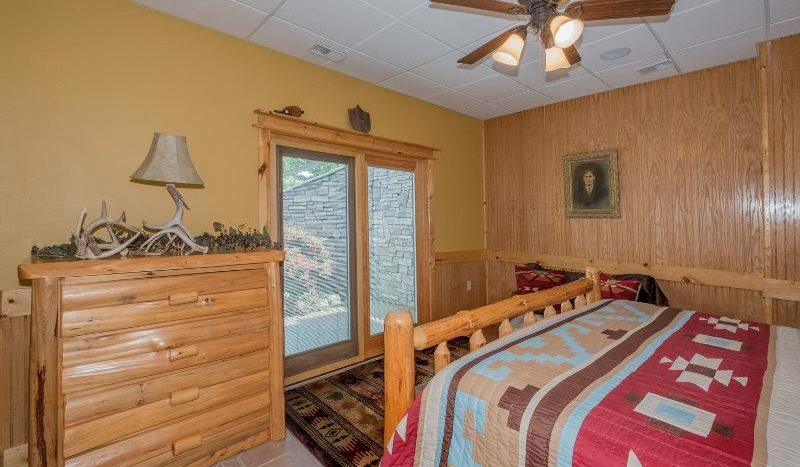 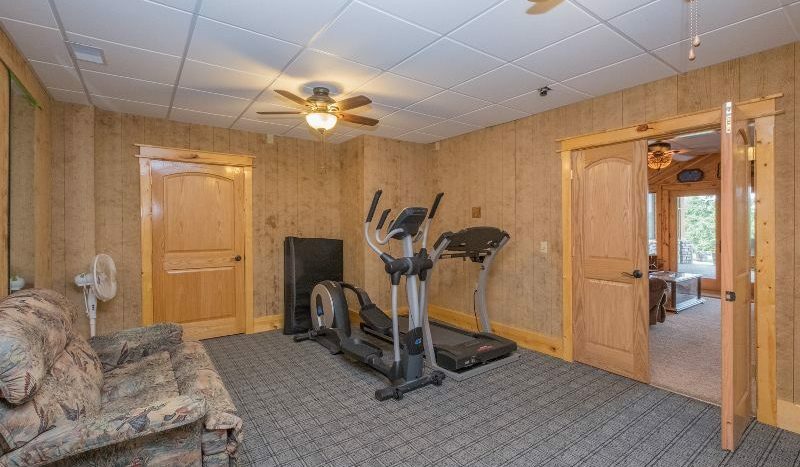 Potential for 2 additional master suites. 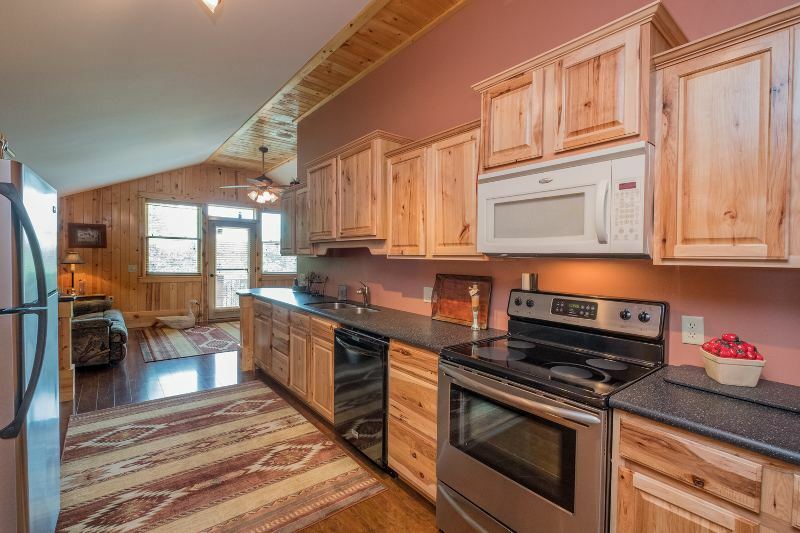 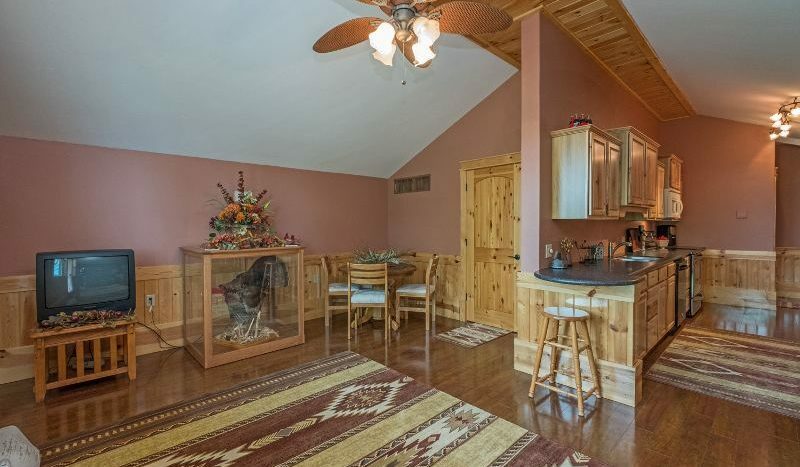 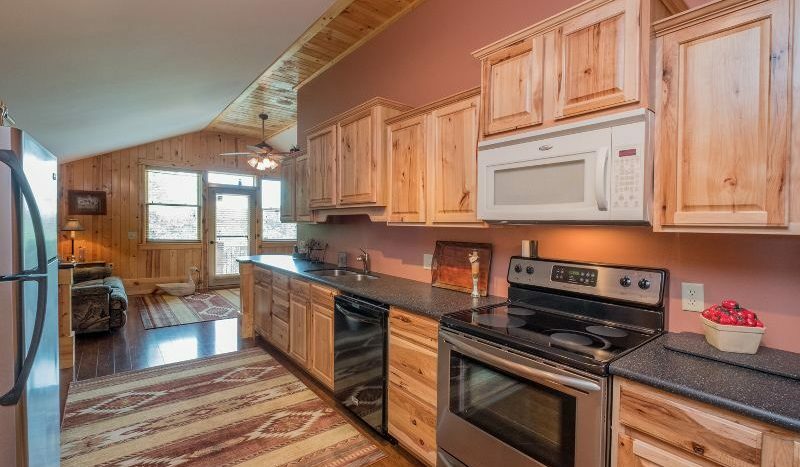 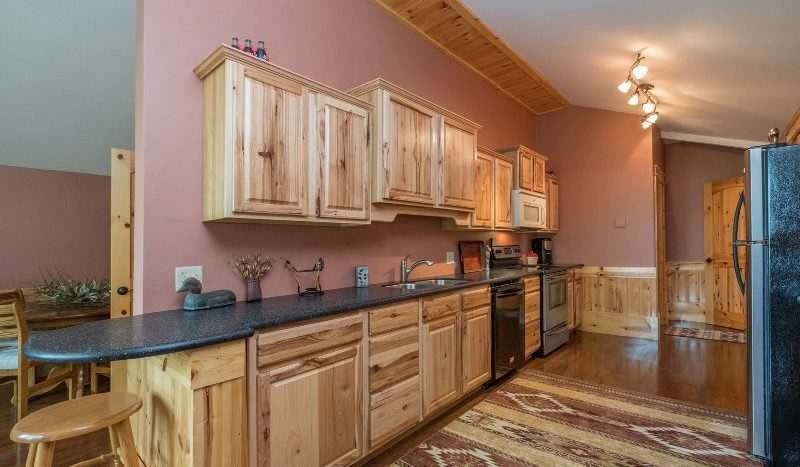 The open floor plan is ideal for large gatherings & today’s active family. 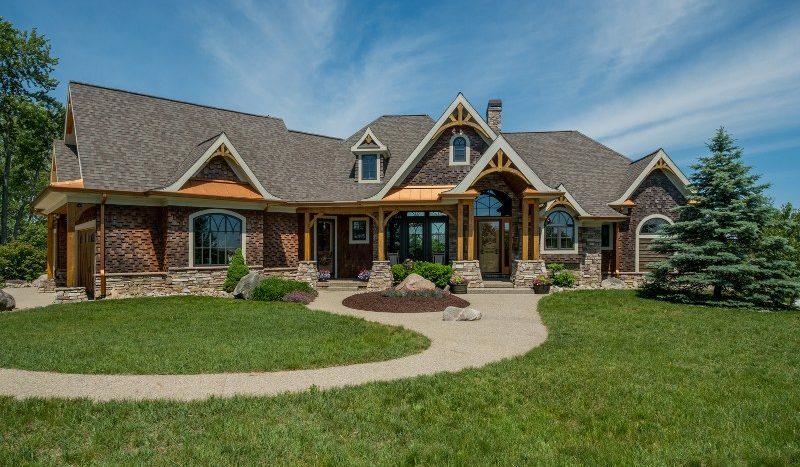 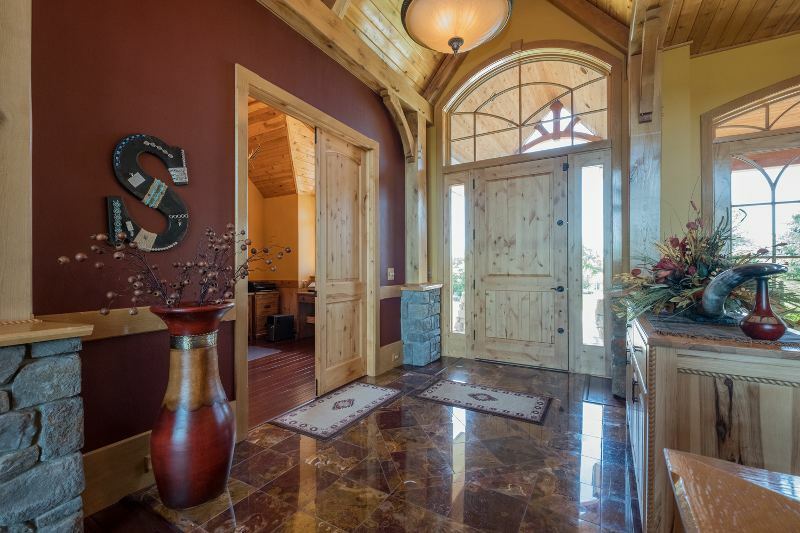 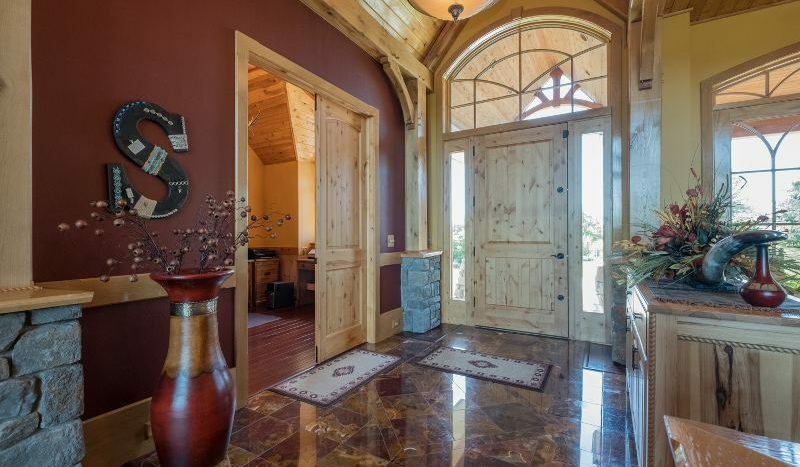 Main floor features Hand Carved Frazier End of the Trail Grand Entry Door, Foyer beset with imported Onyx floor & Formal Dining Room. 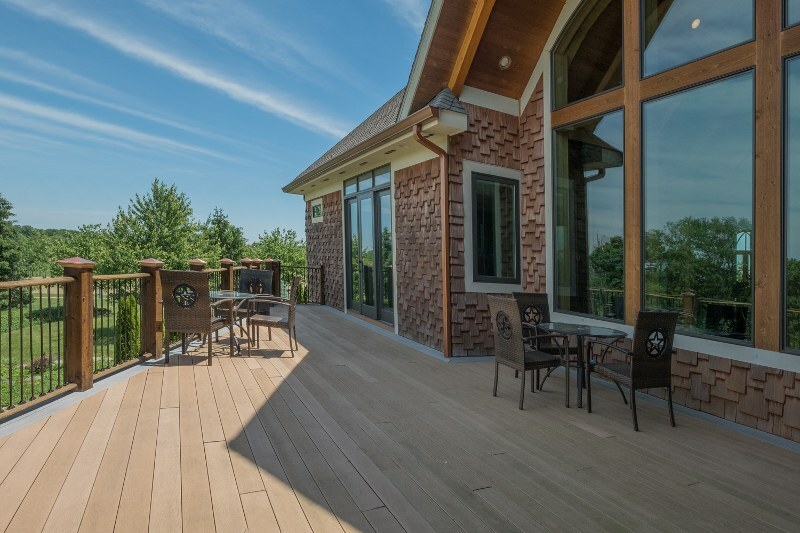 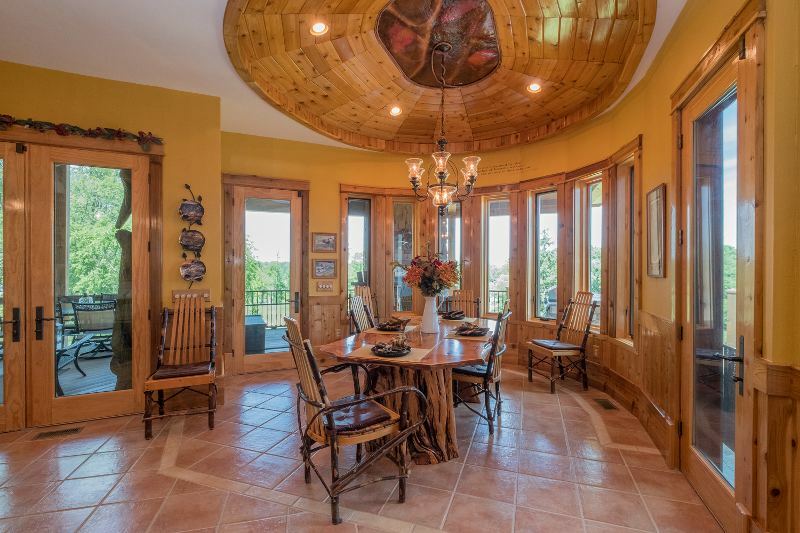 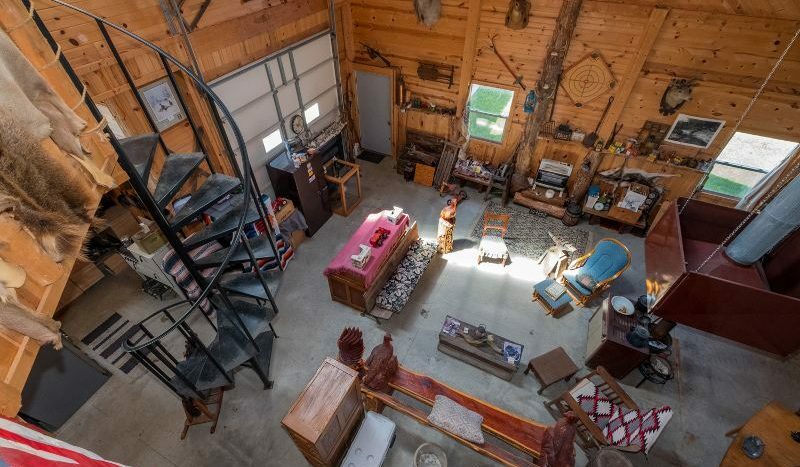 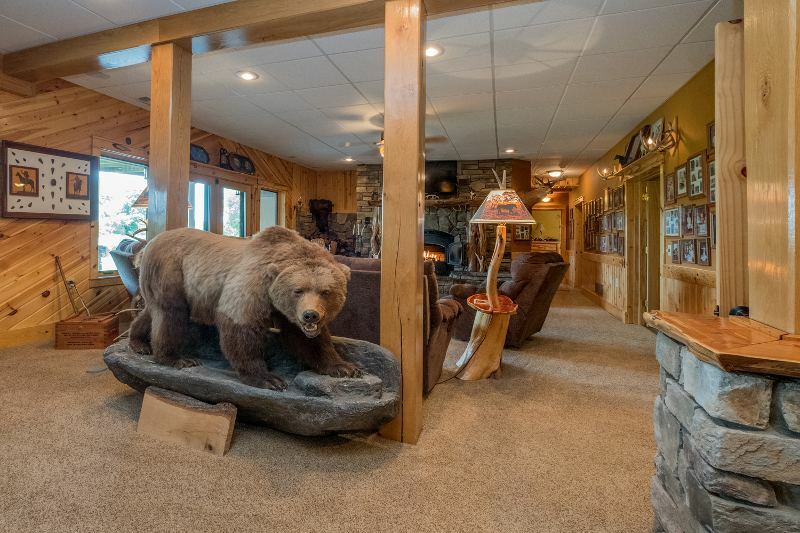 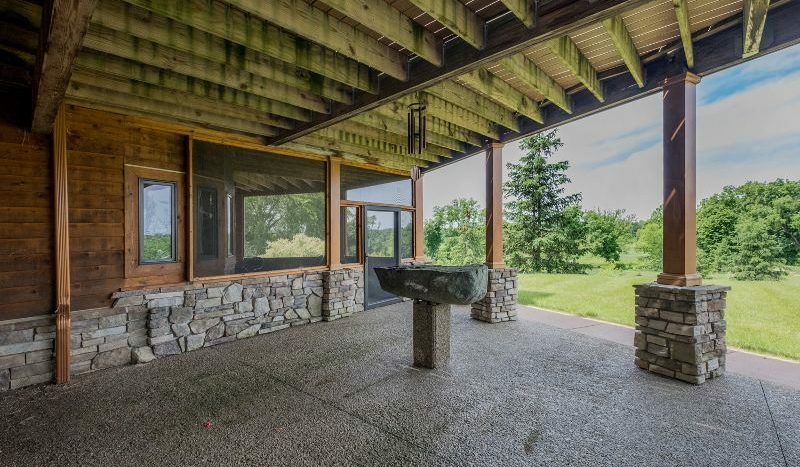 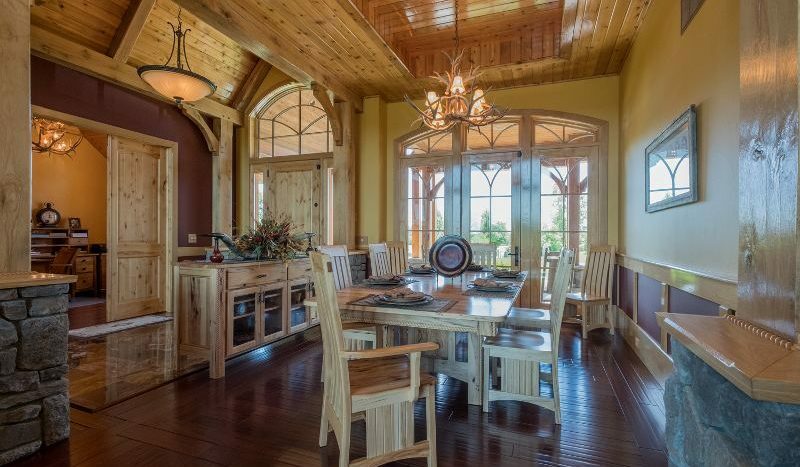 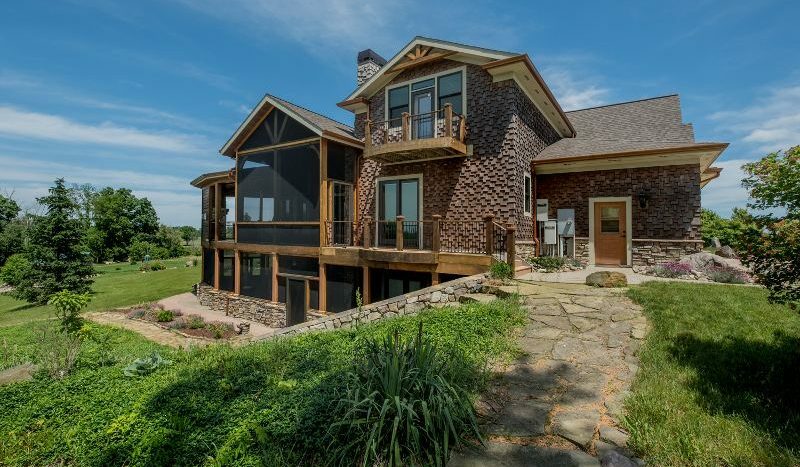 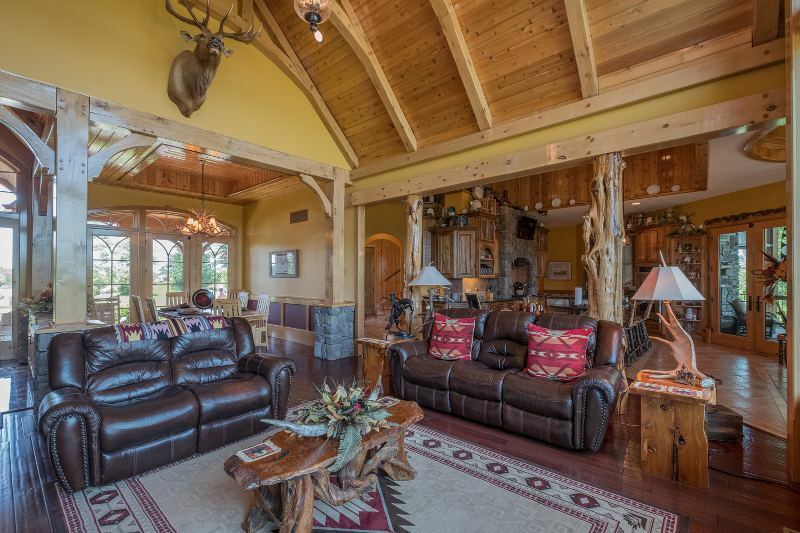 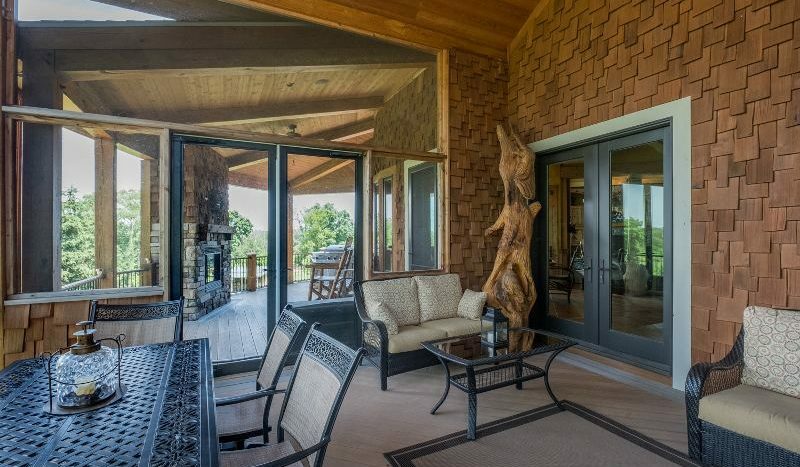 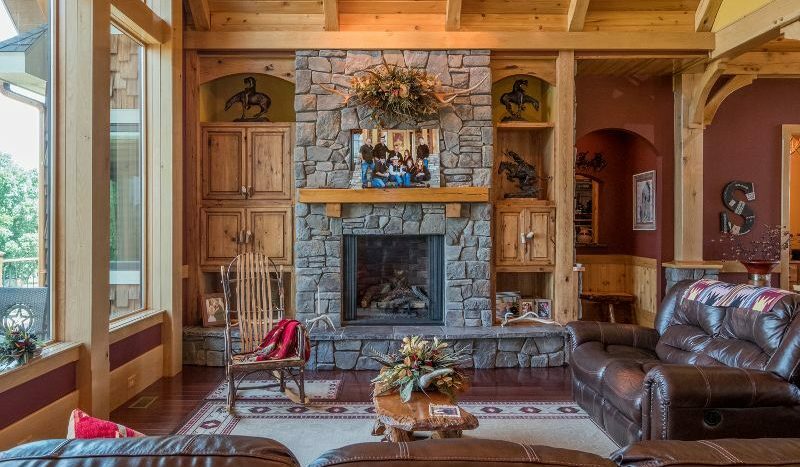 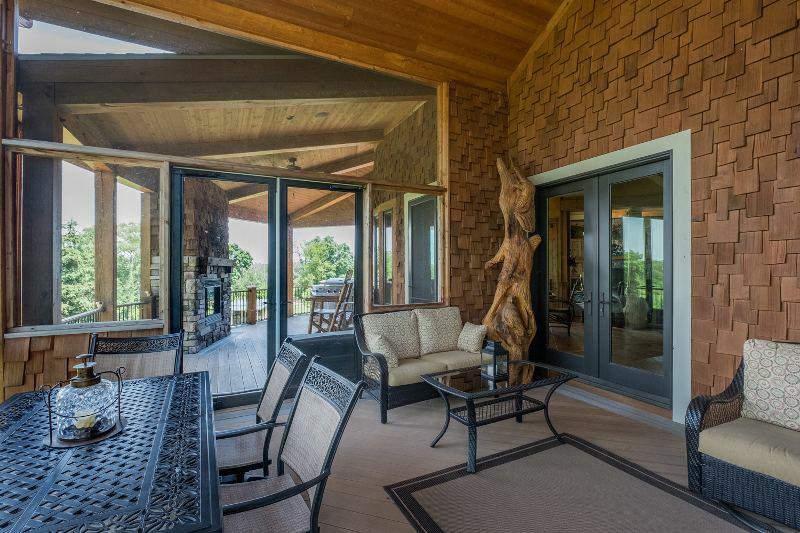 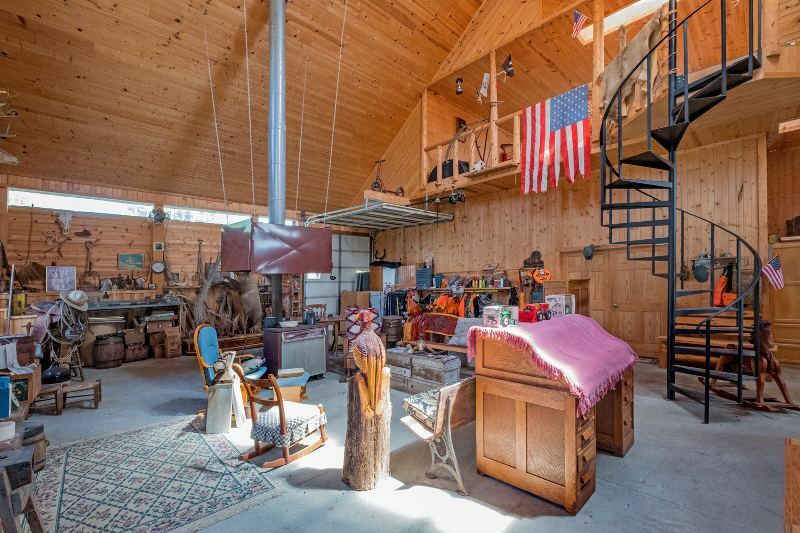 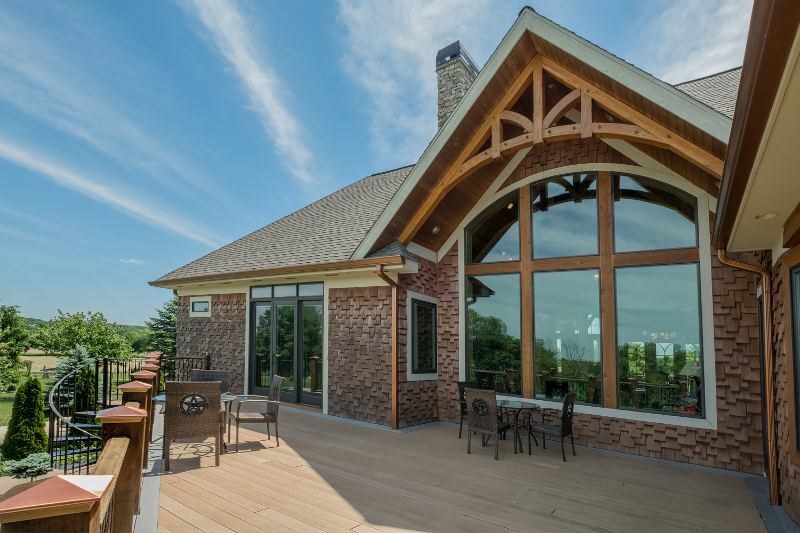 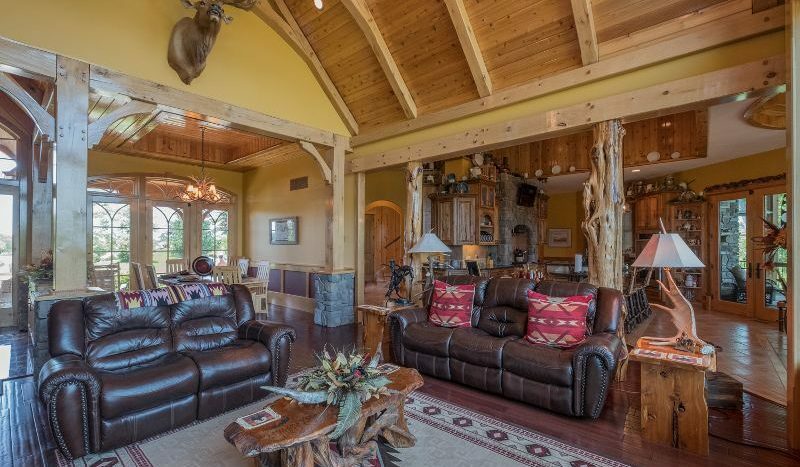 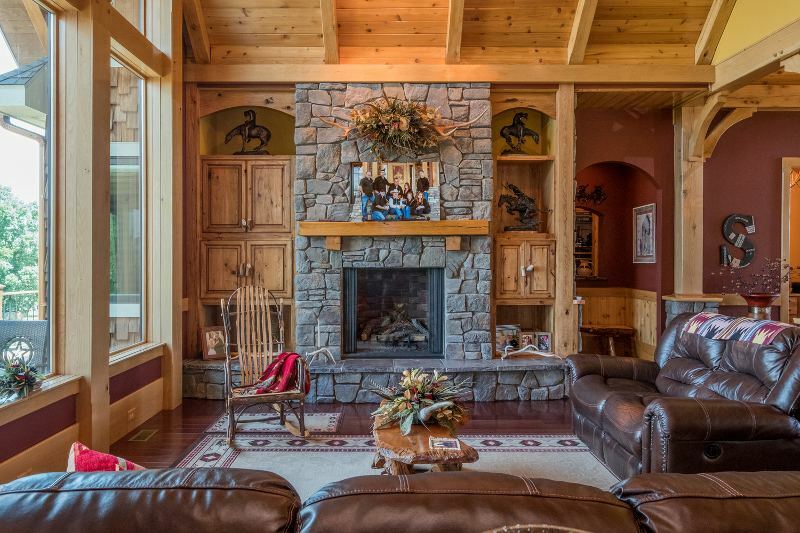 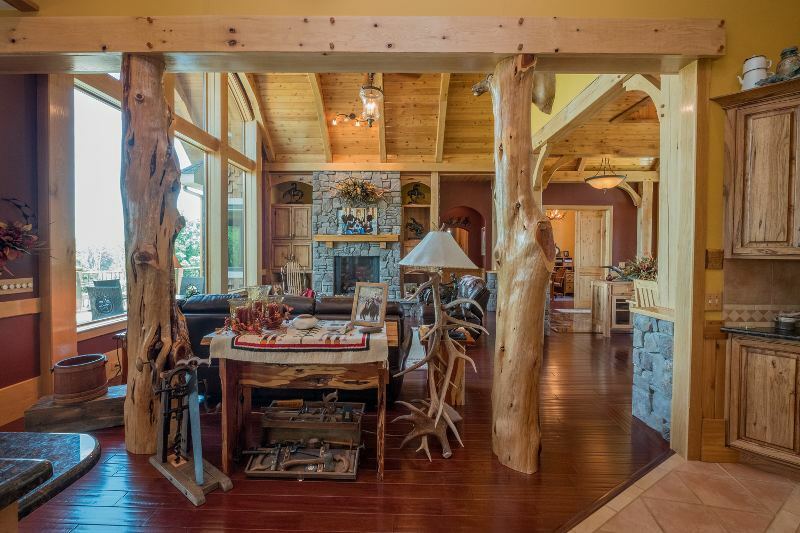 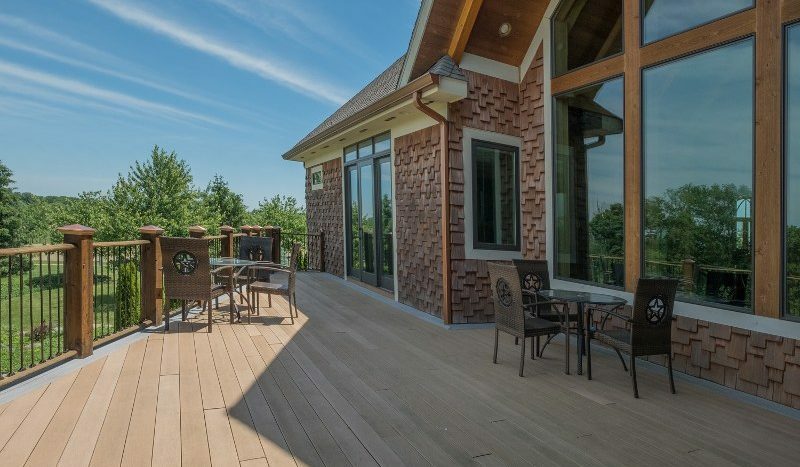 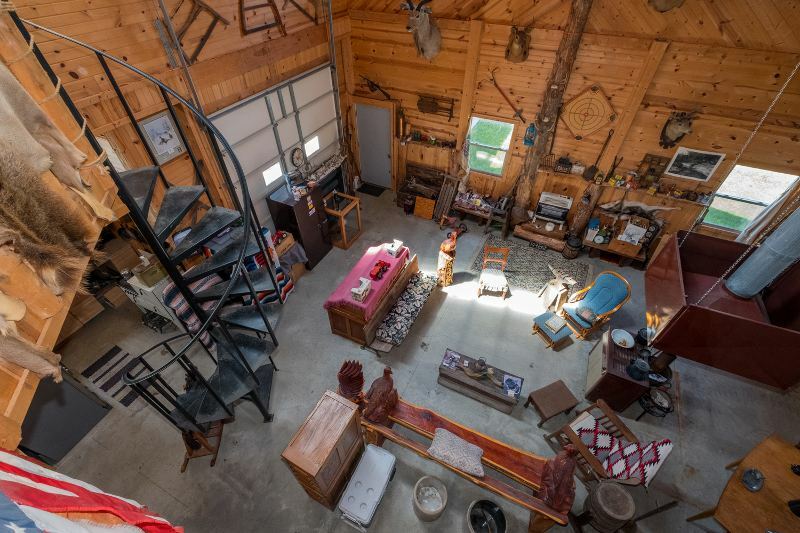 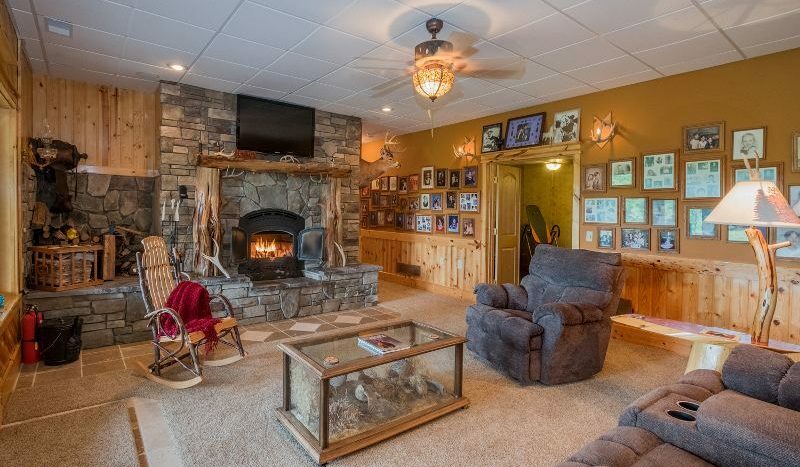 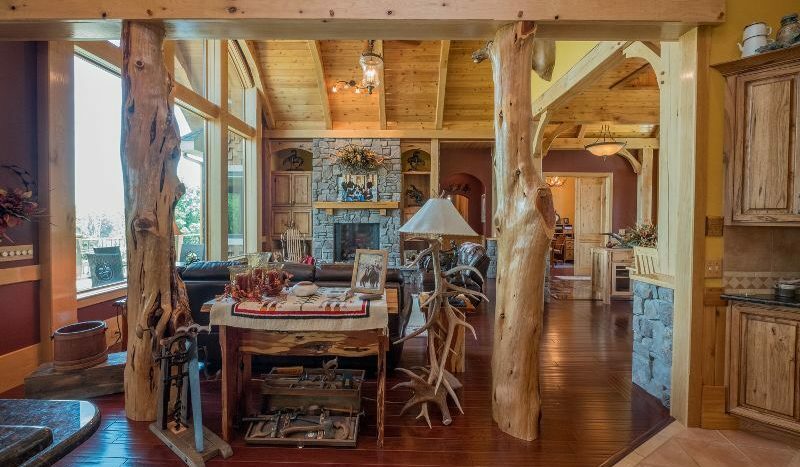 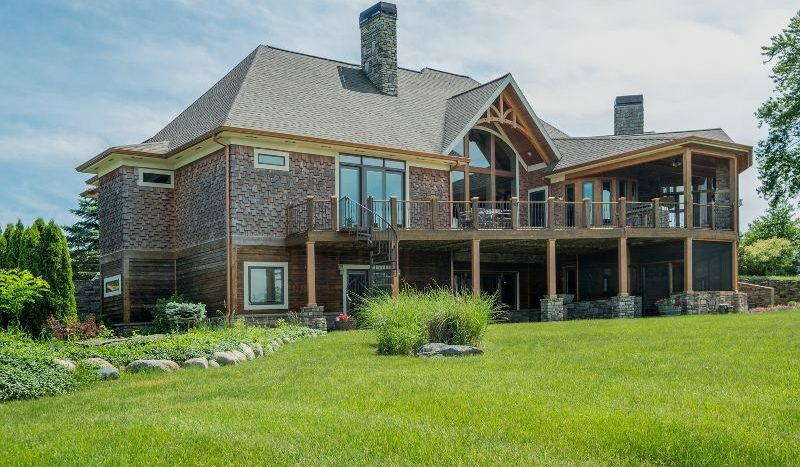 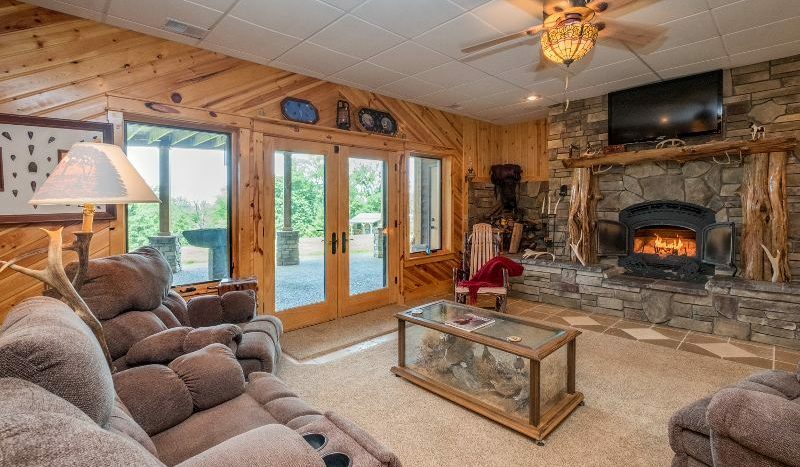 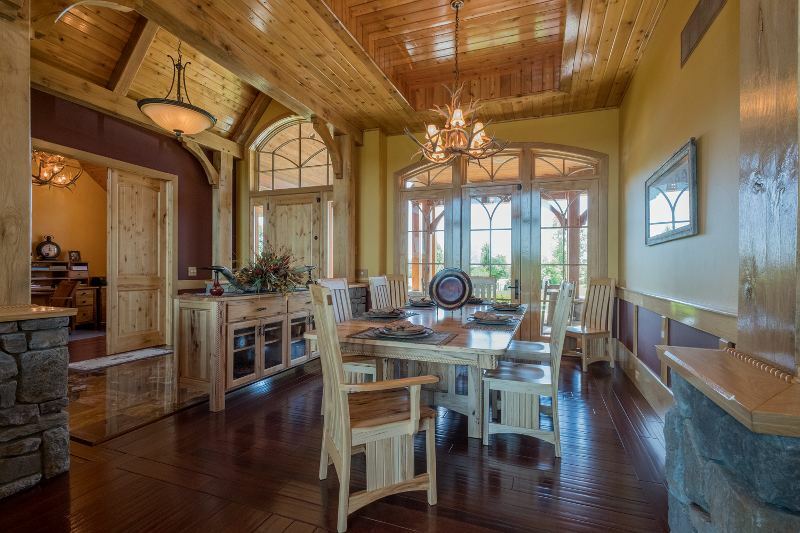 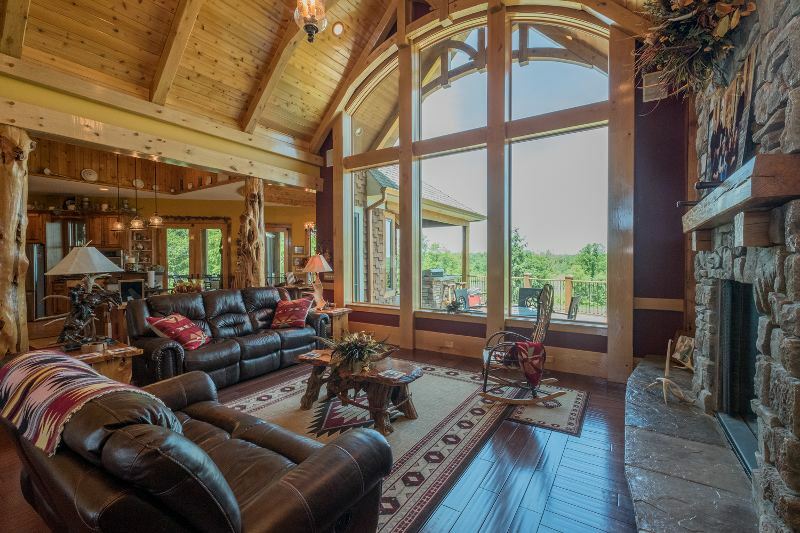 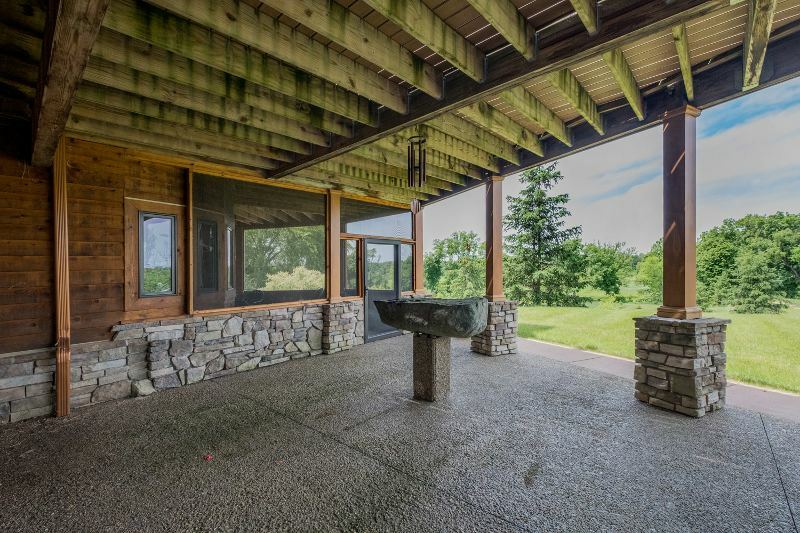 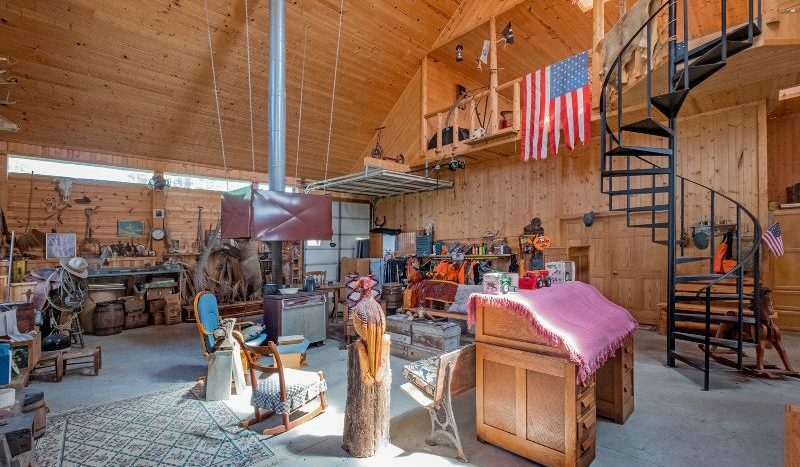 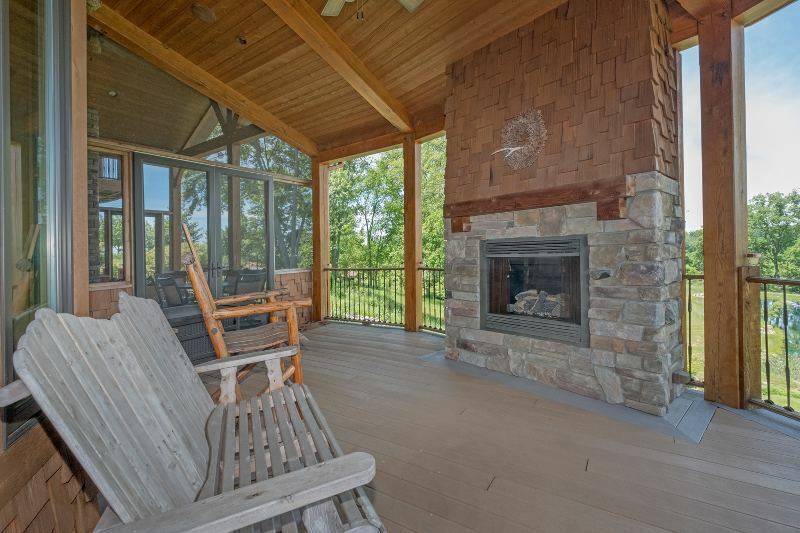 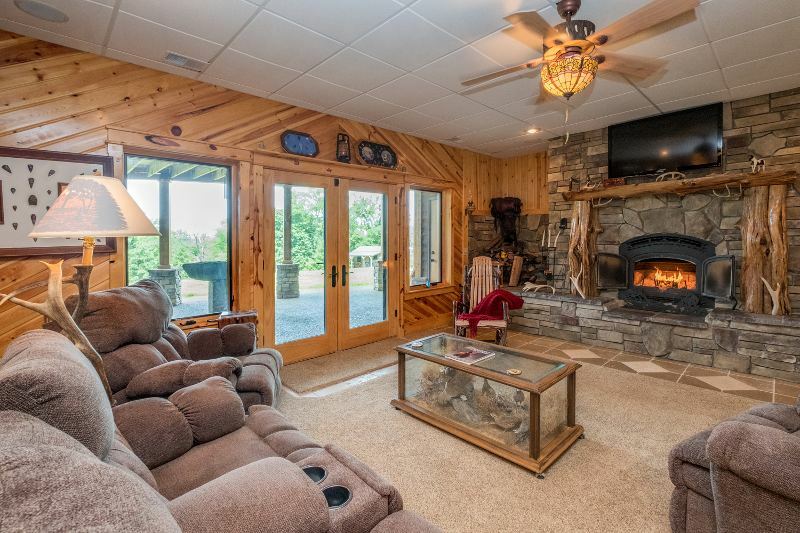 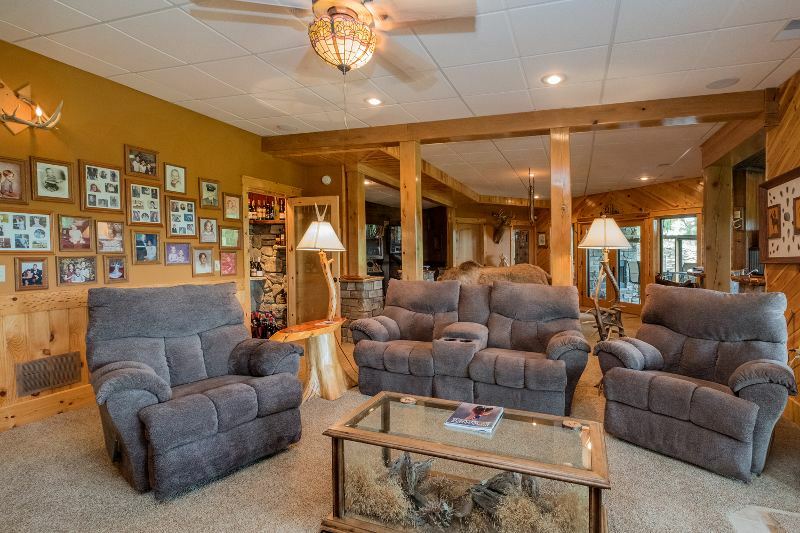 The Great Room features soaring 26′ wall of expansive windows, Fieldstone Fireplace, Unique Cedar Log Character Posts. 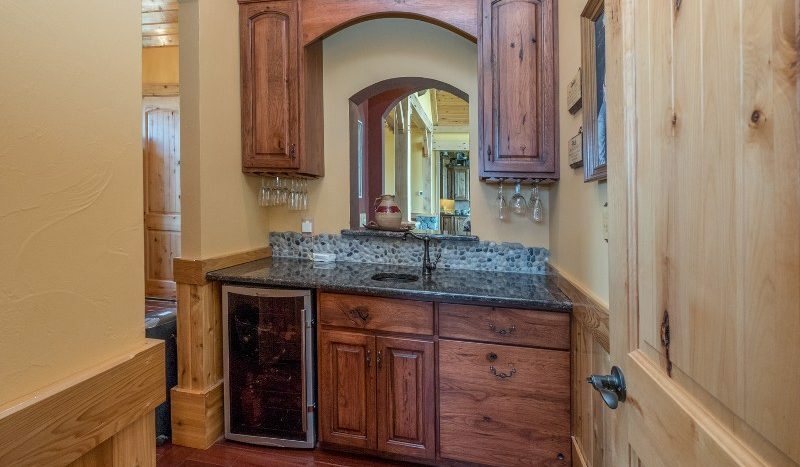 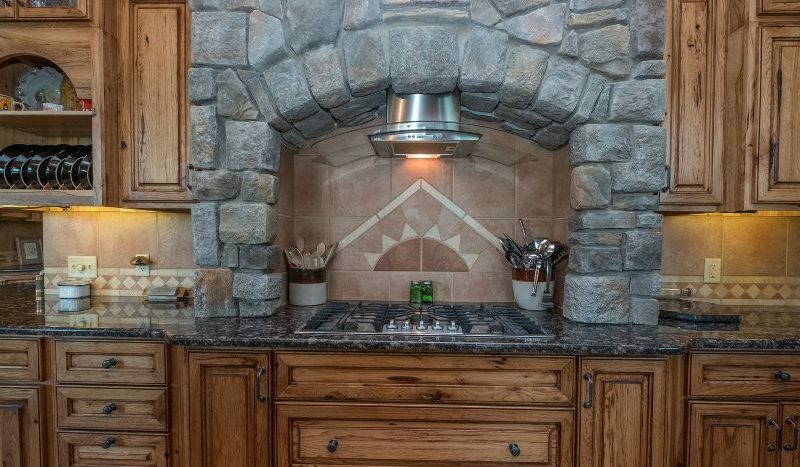 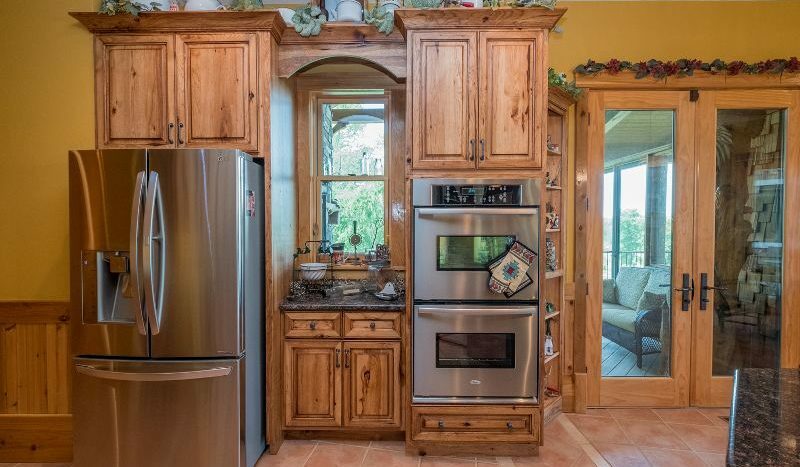 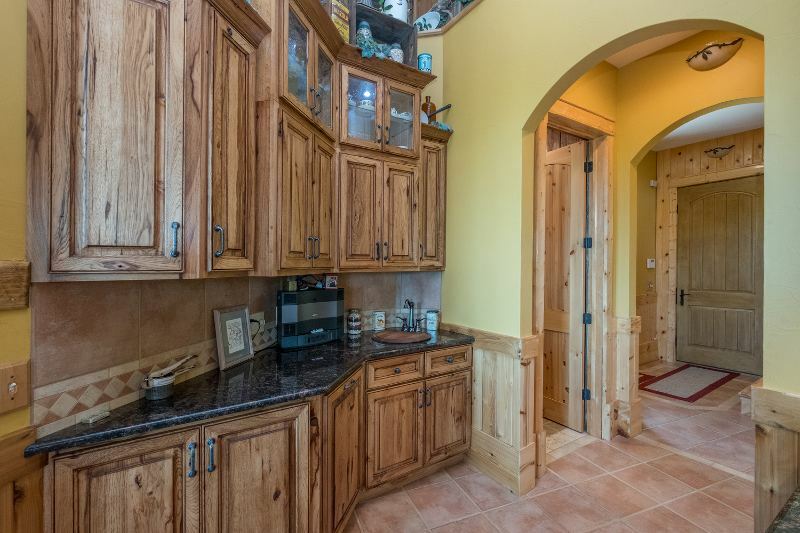 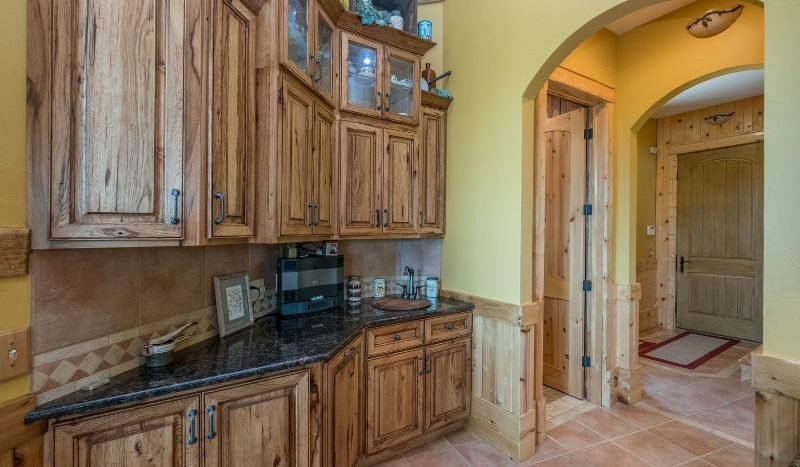 The dream kitchen with Granite Counters, Butler Prep area, large Walk in Pantry, Center Island & Snack Bar, Stainless Steel Appliances, eating area. 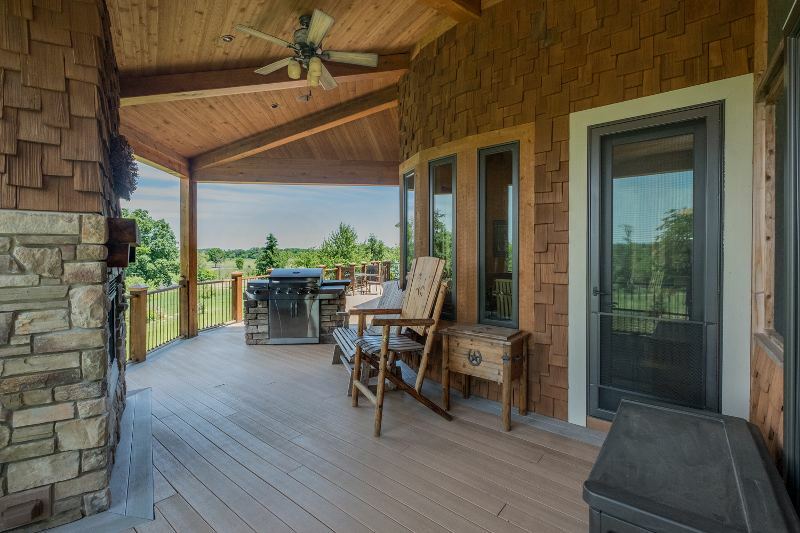 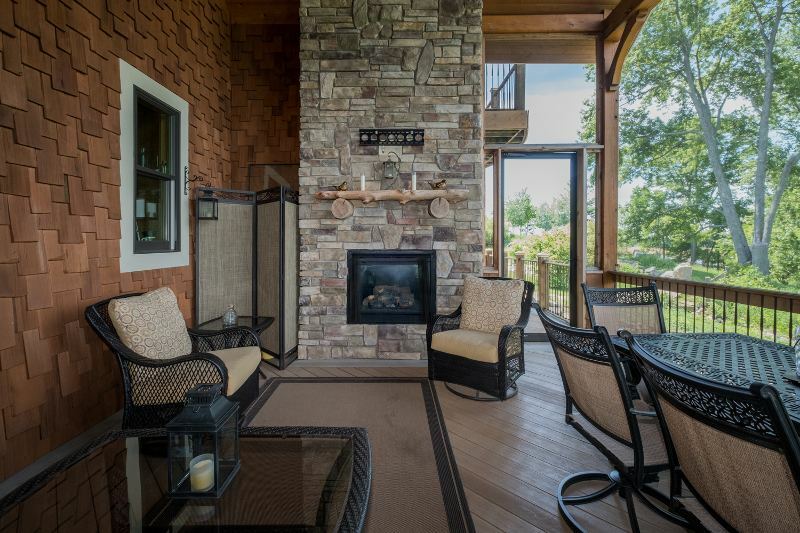 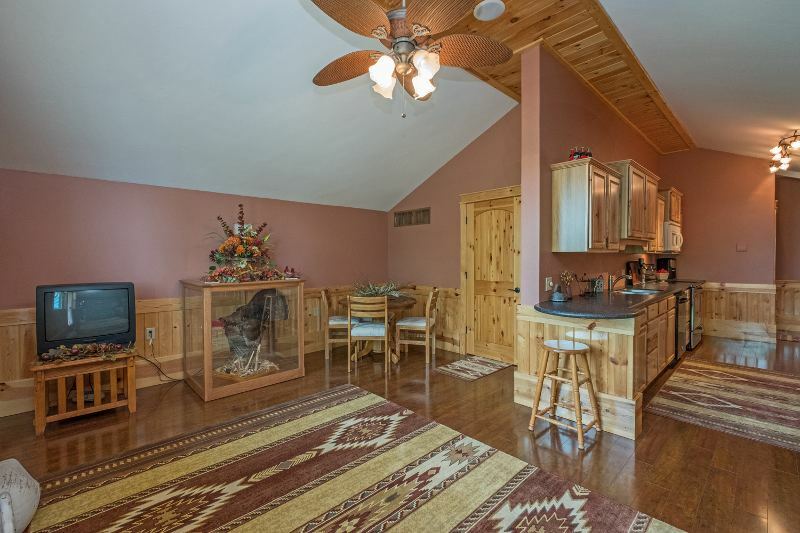 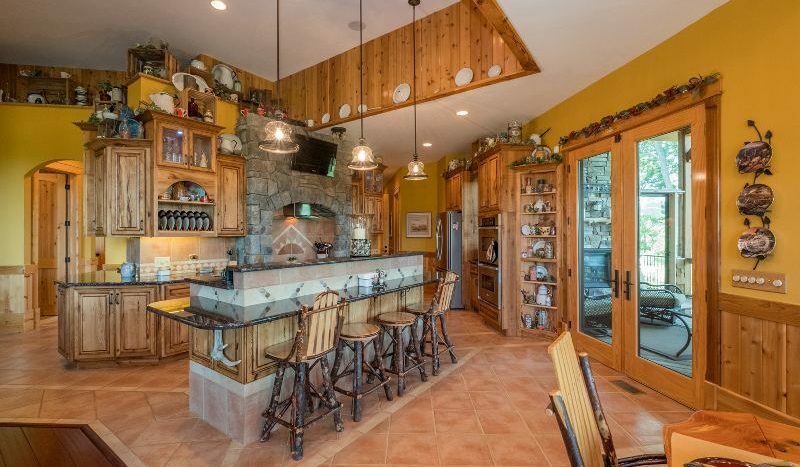 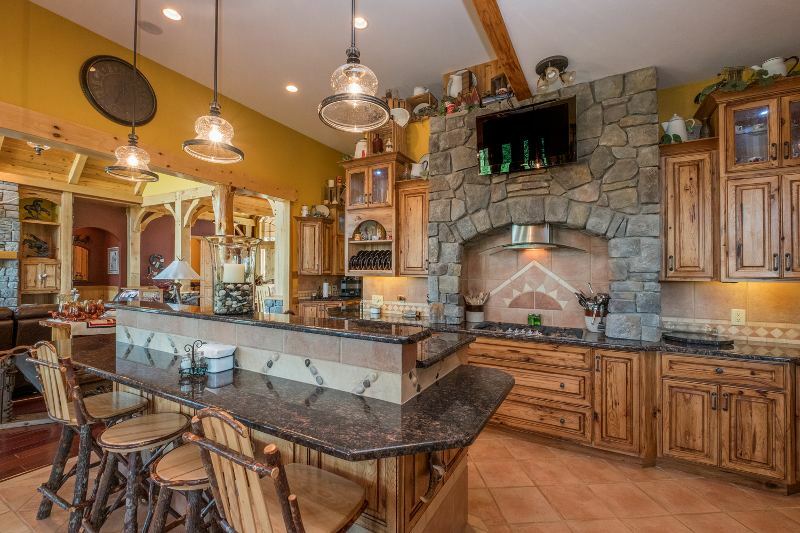 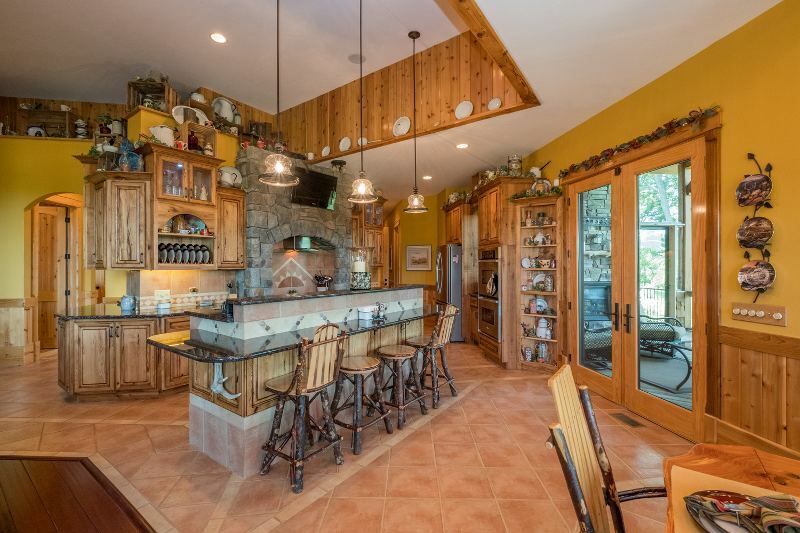 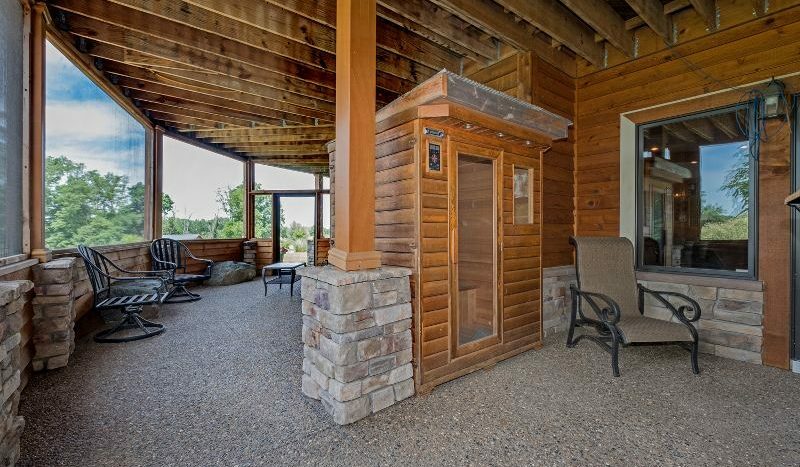 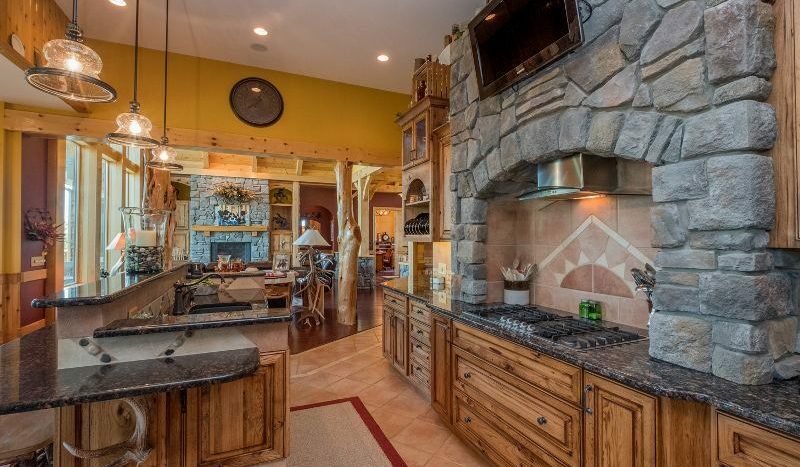 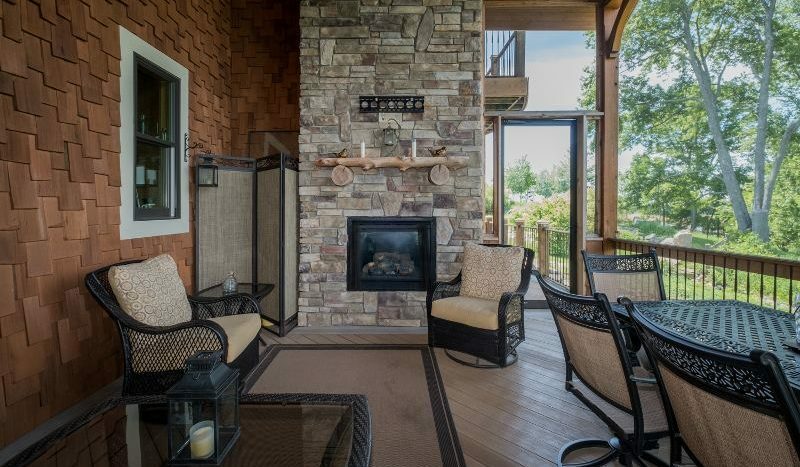 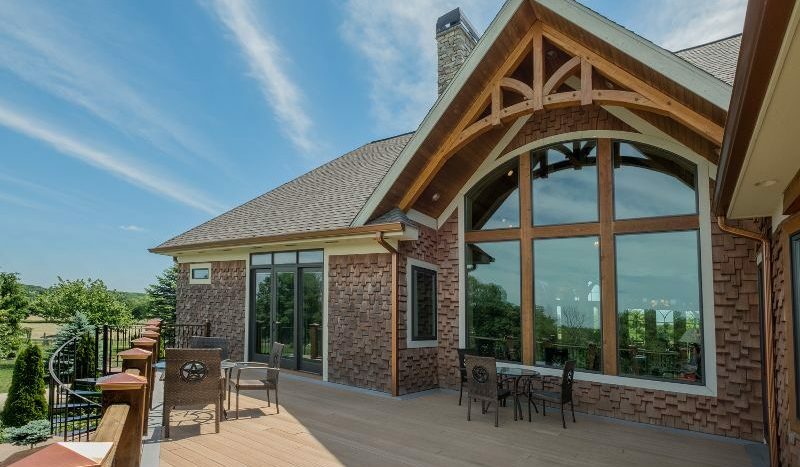 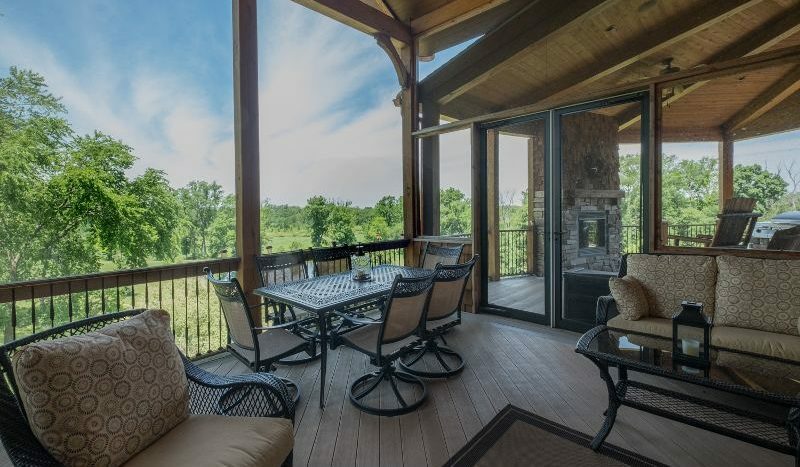 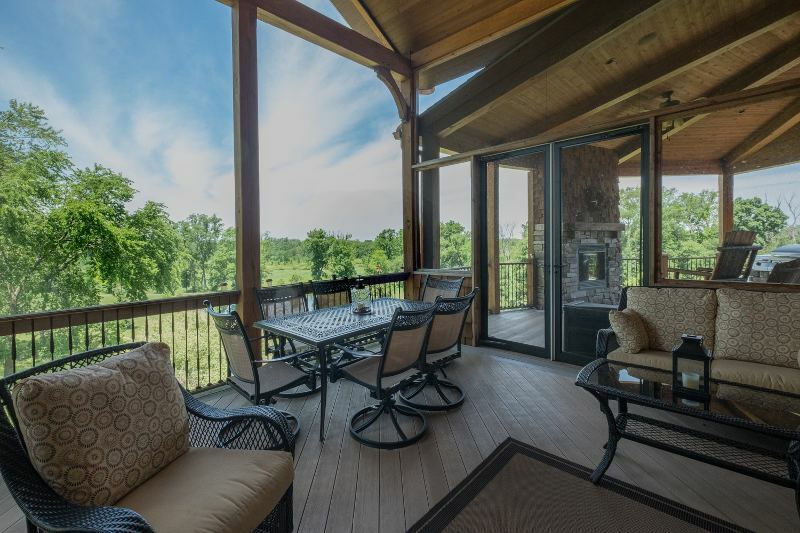 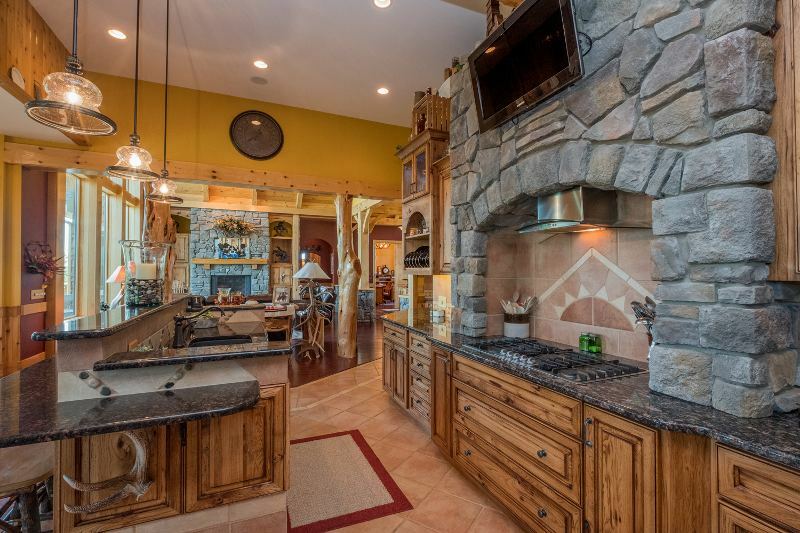 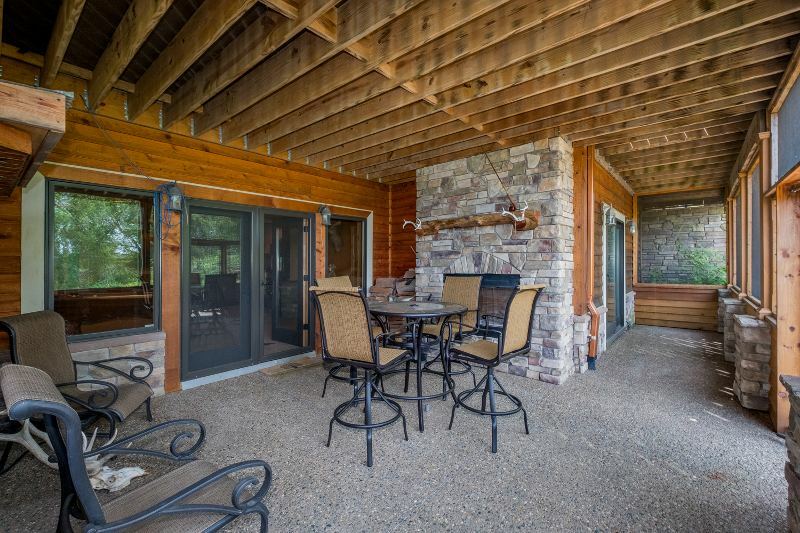 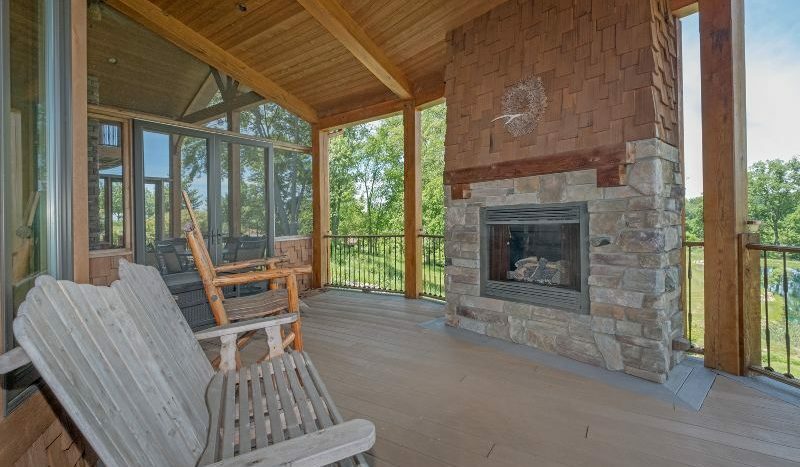 Exit the kitchen through the French Doors to the Screened in porch with Fieldstone Fireplace! 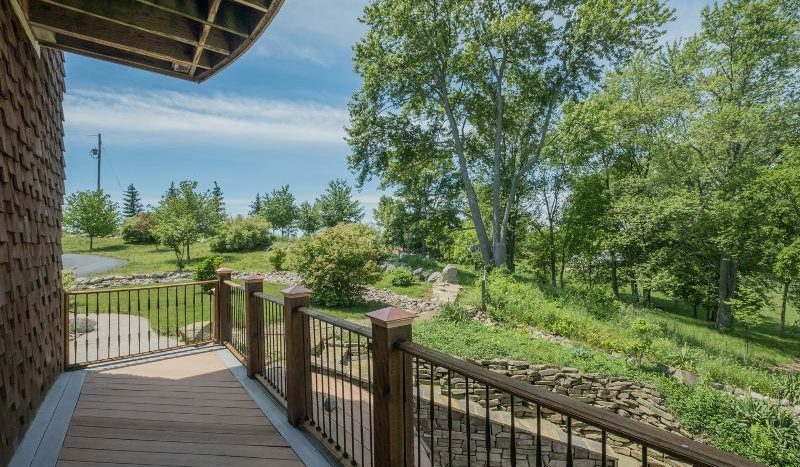 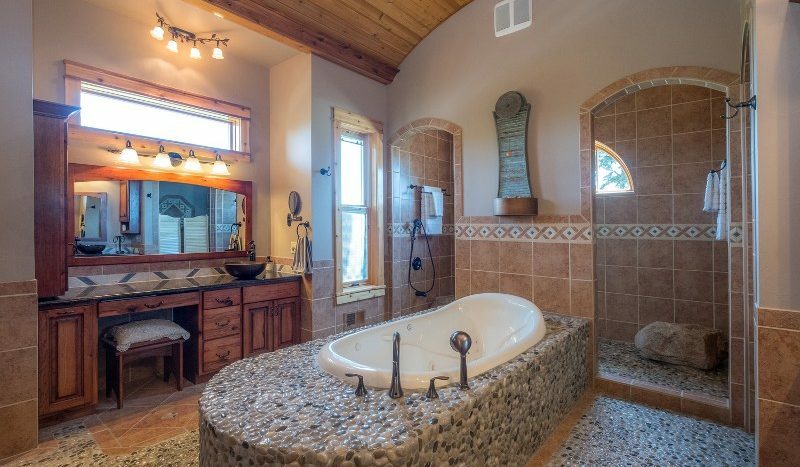 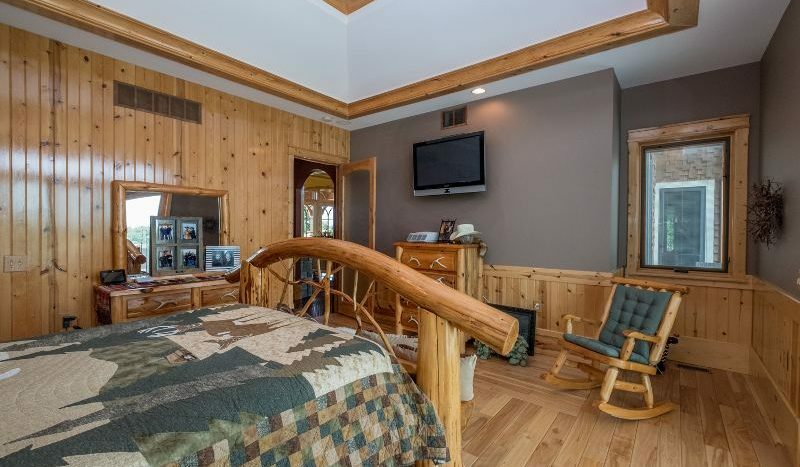 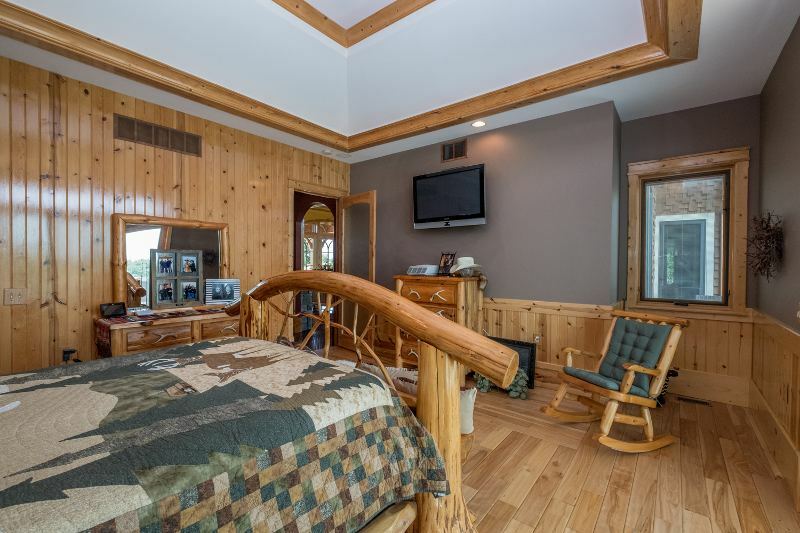 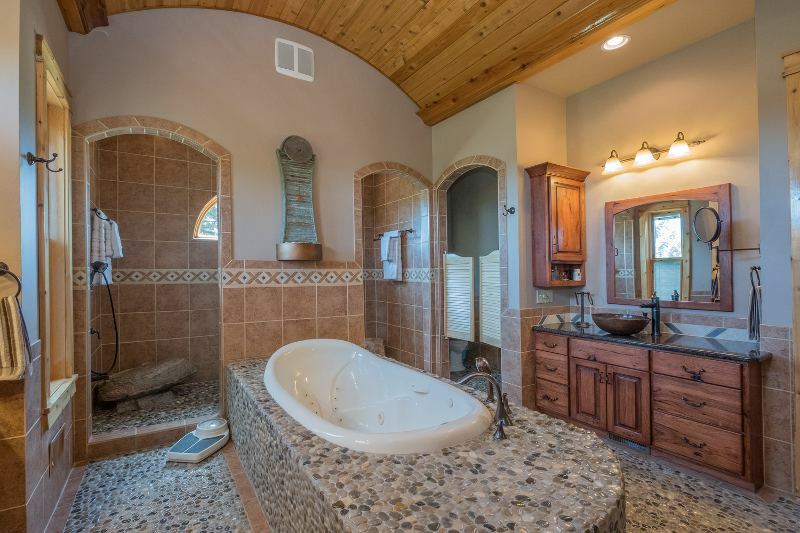 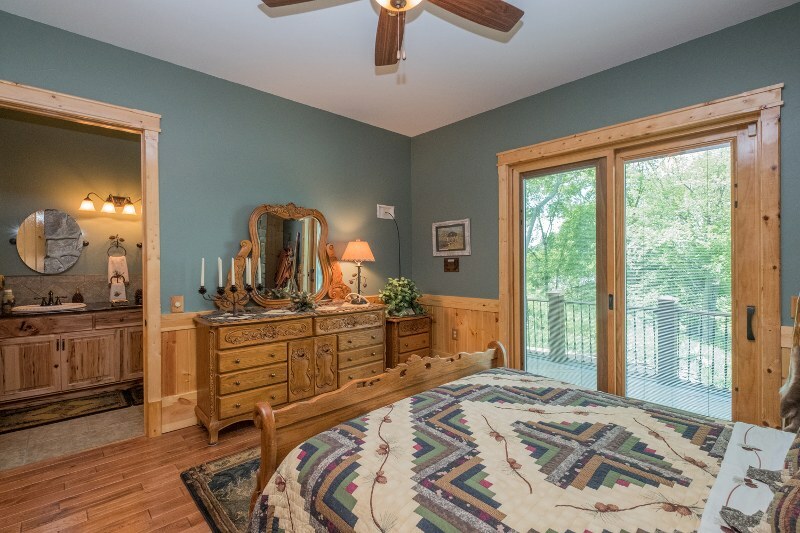 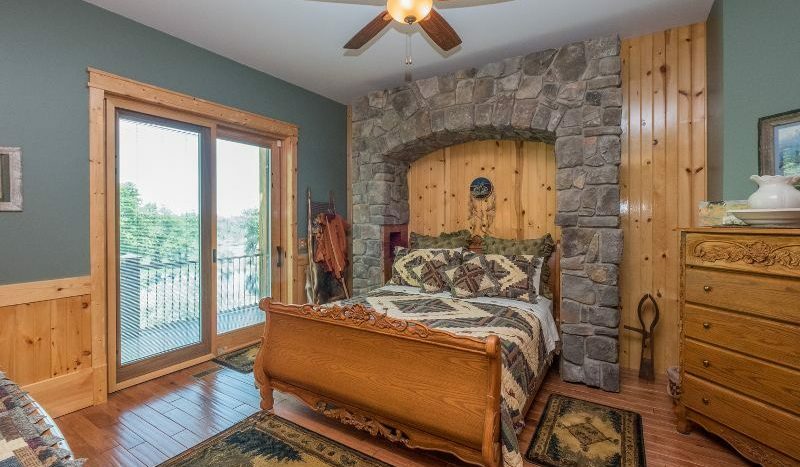 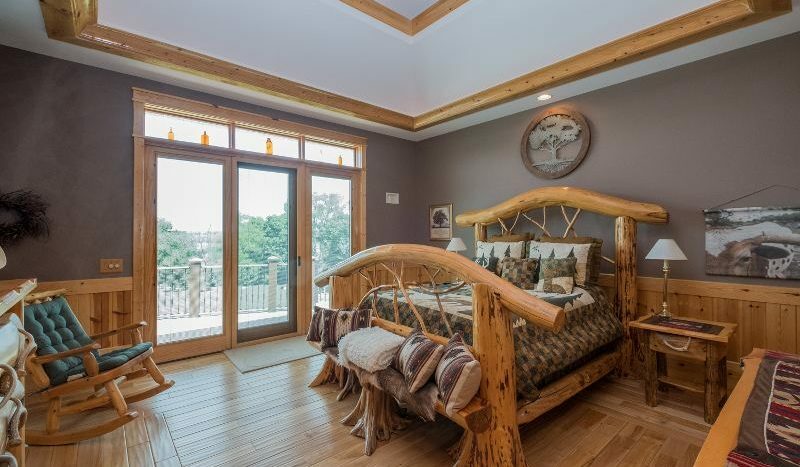 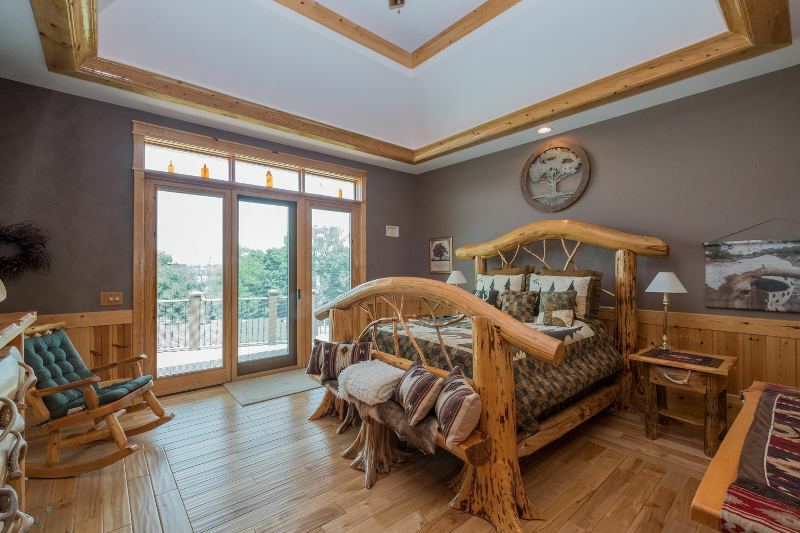 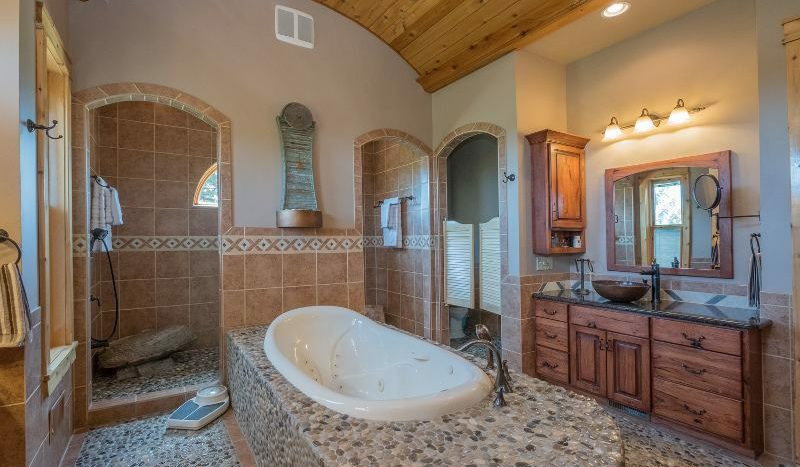 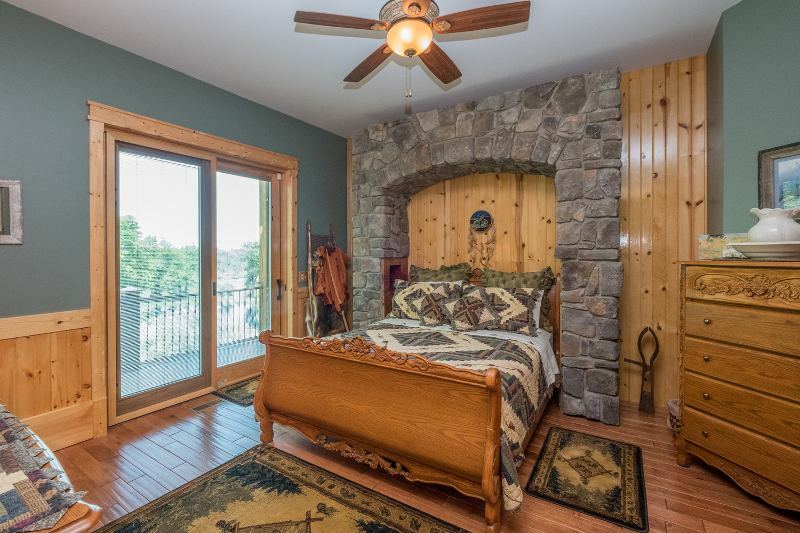 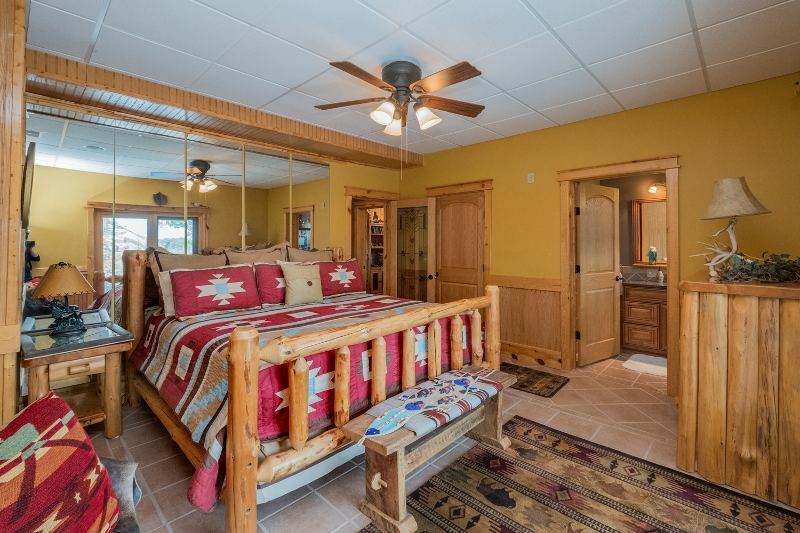 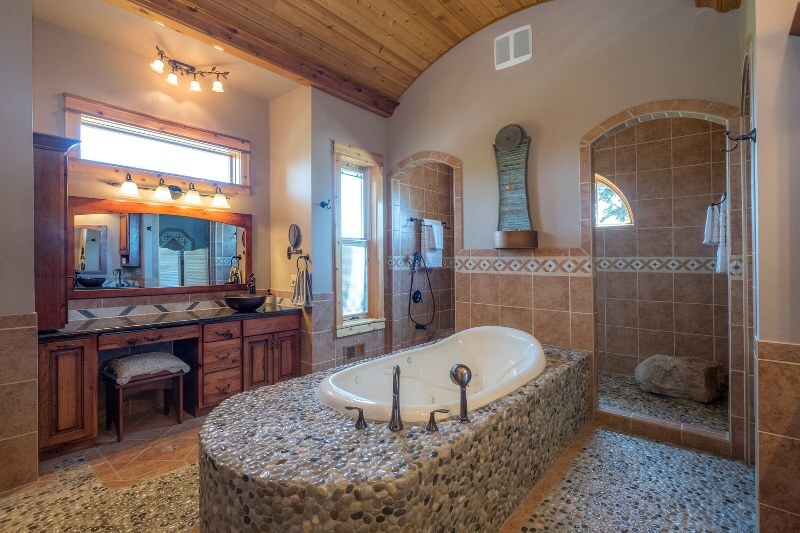 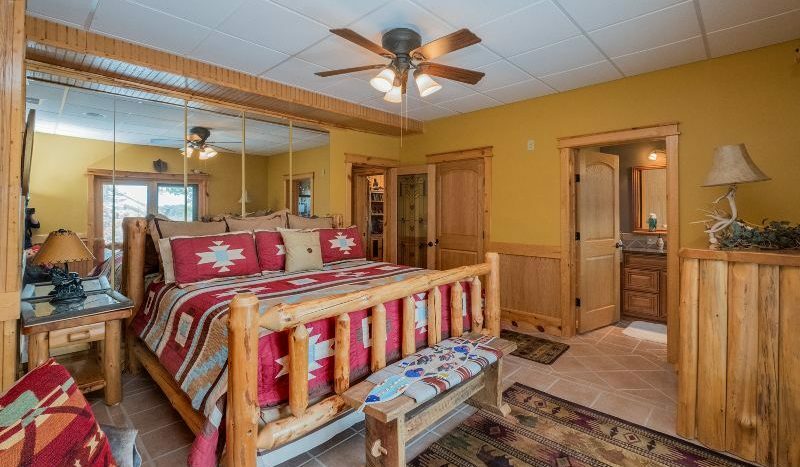 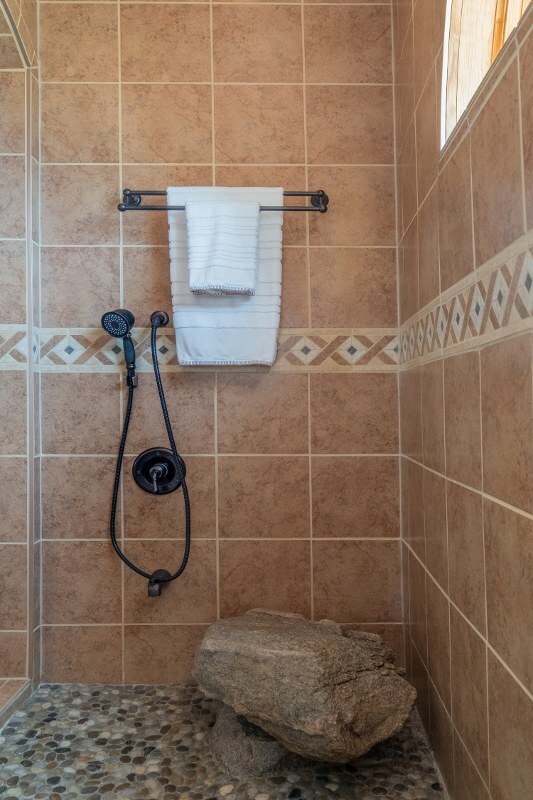 At the end of a long day retreat to the Master Bedroom with spa like Master Bath, River Rock Floor, Sunken Soaker Tub, Double Entrance Shower with 2 Granite Boulders, 2 Walk in Closets and Slider Doors to an amazing deck! 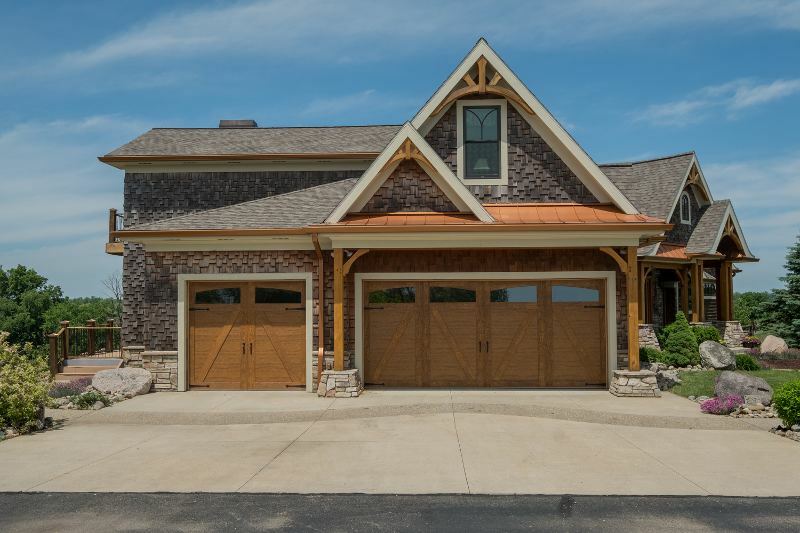 In addition you’ll also find the first floor has a Guest Suite accented with a Fieldstone Arch, Slider Doors to the deck, Oversized Laundry Room, Library/Office & Wet Bar. 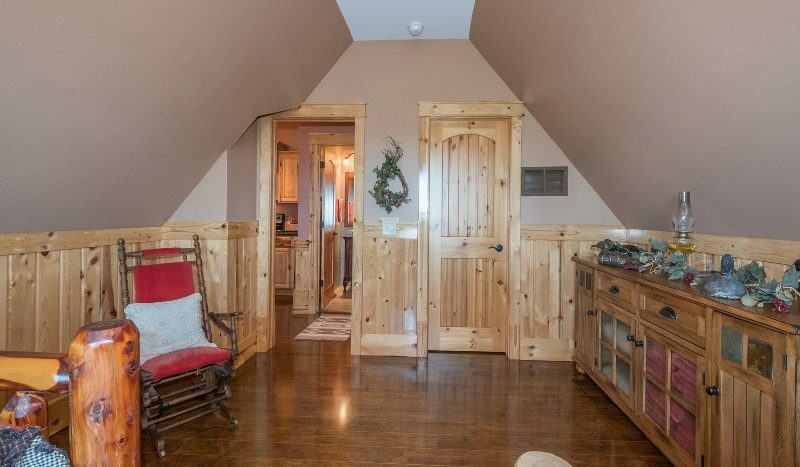 The Walkout Lower Level is finished & what a great living space! 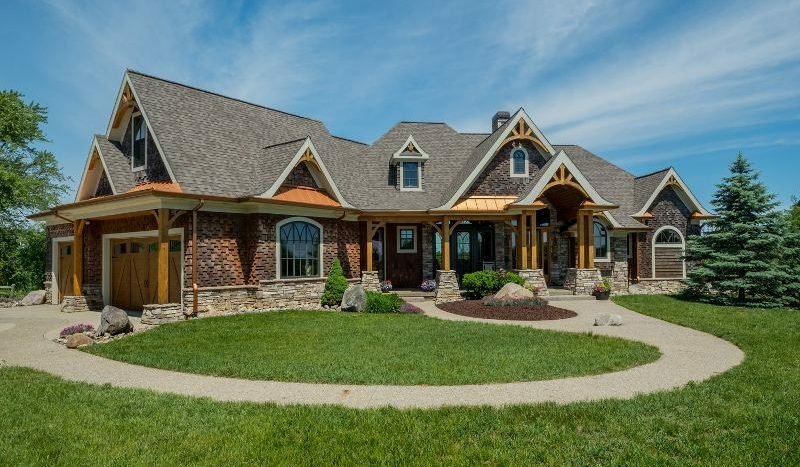 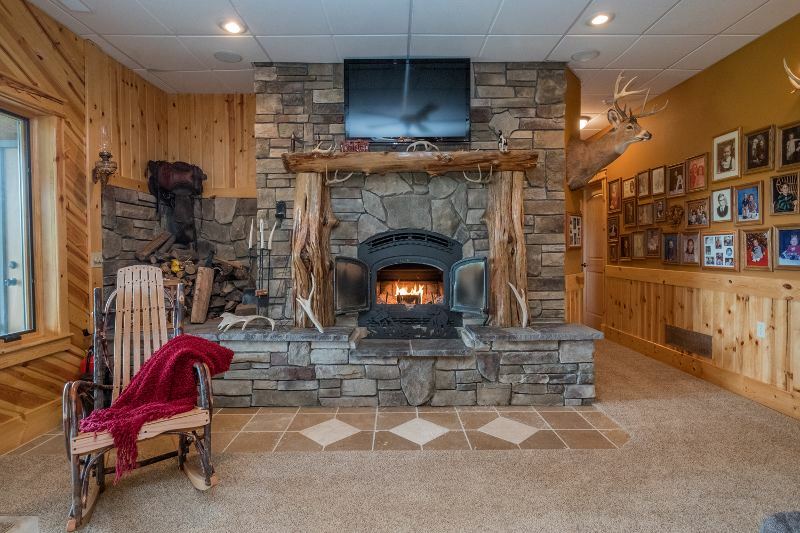 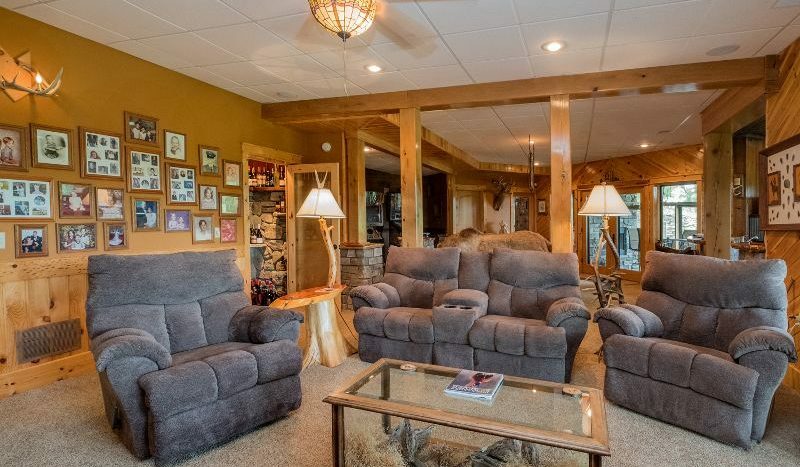 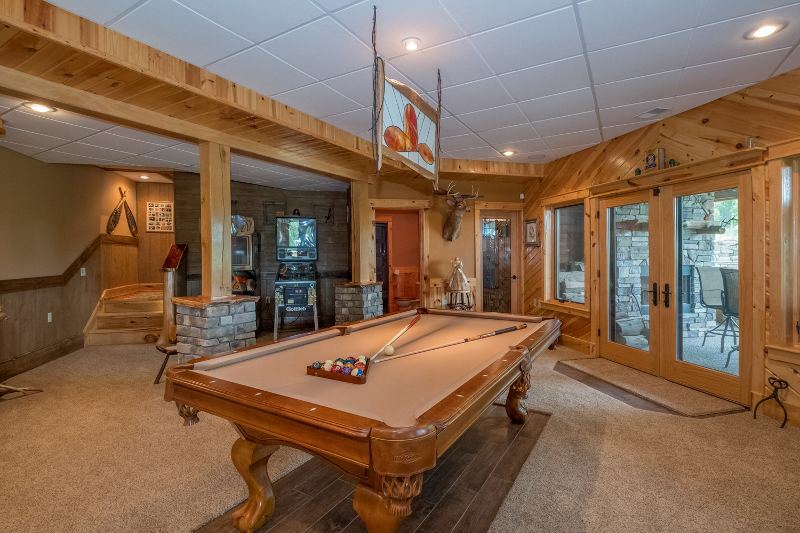 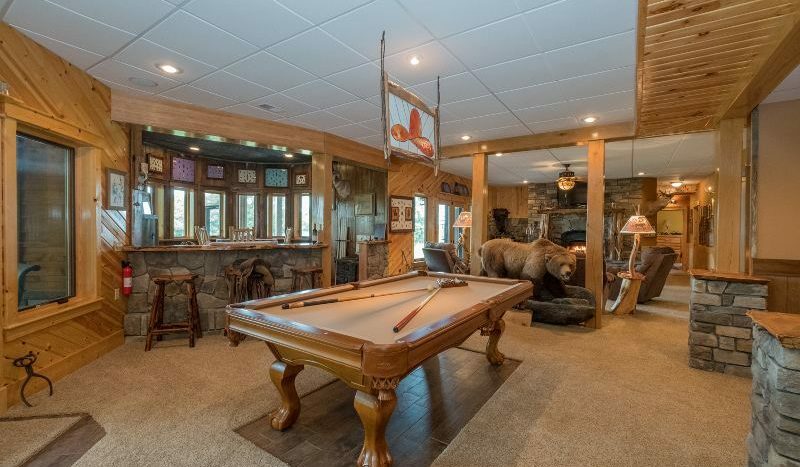 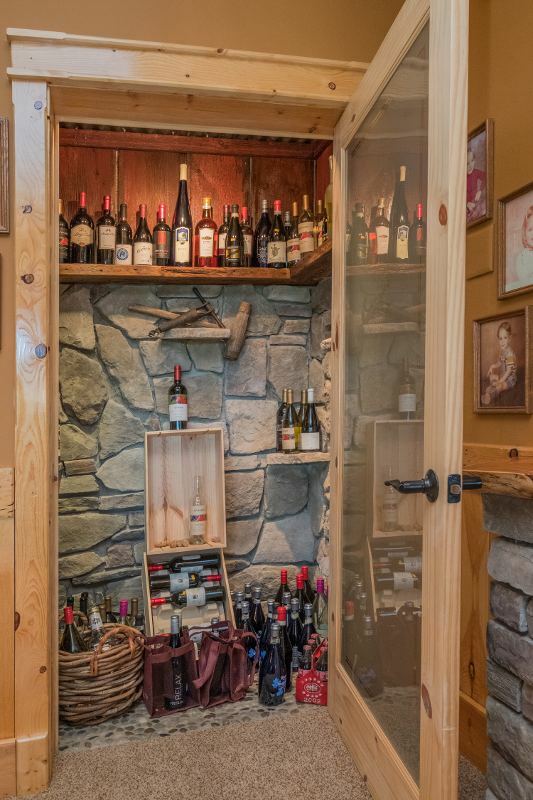 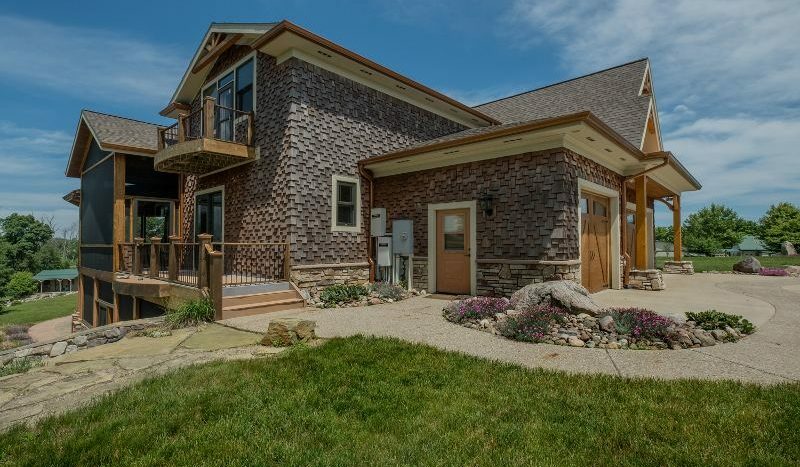 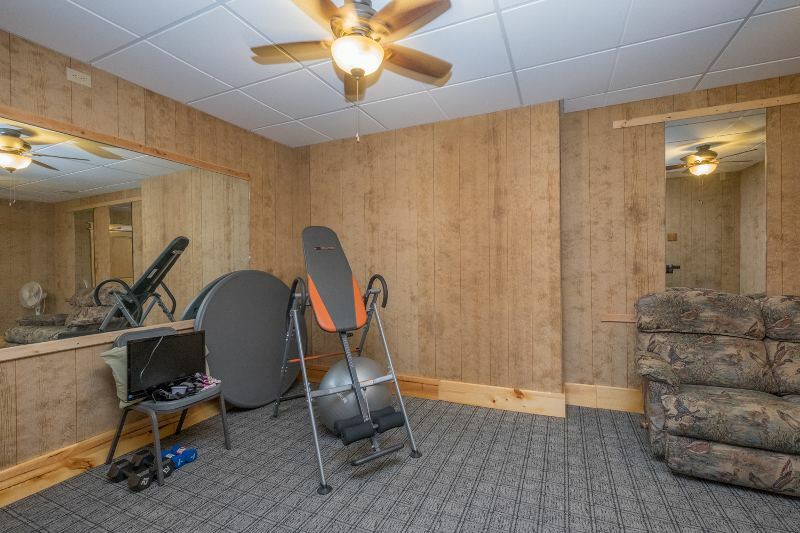 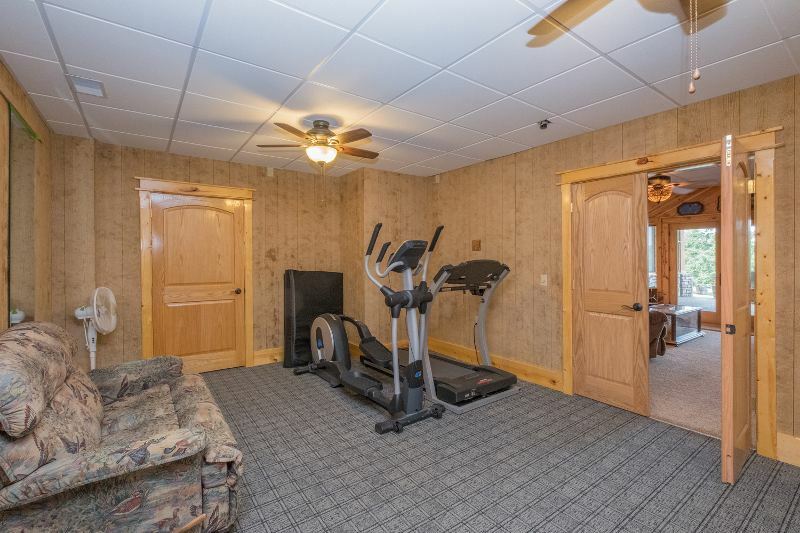 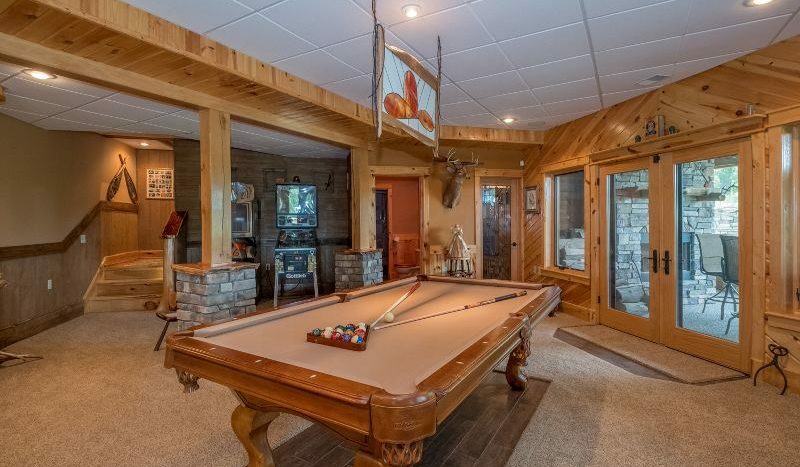 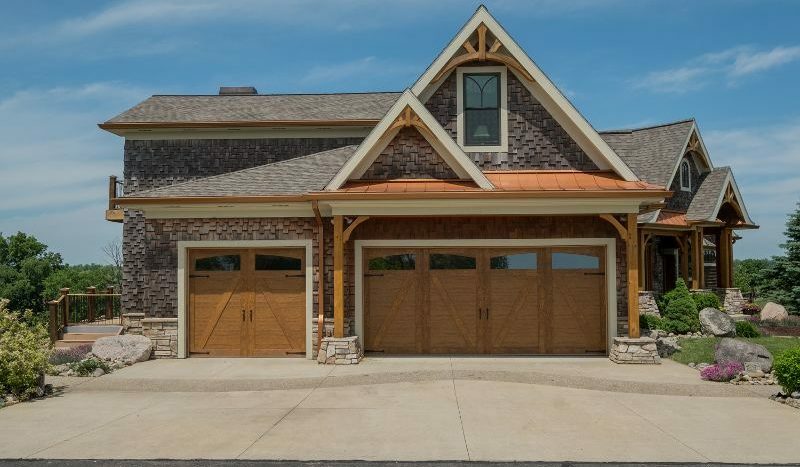 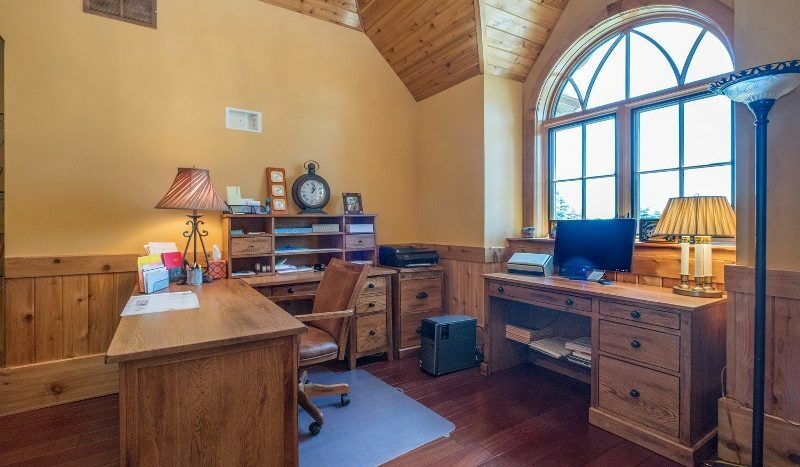 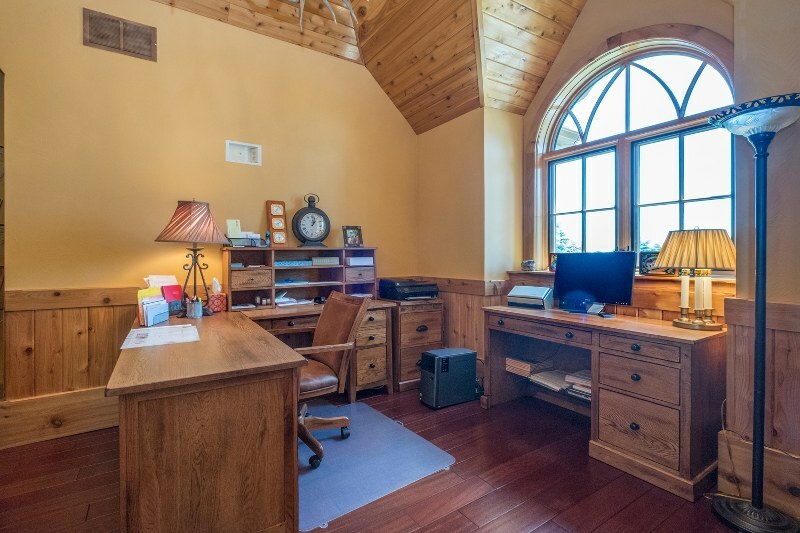 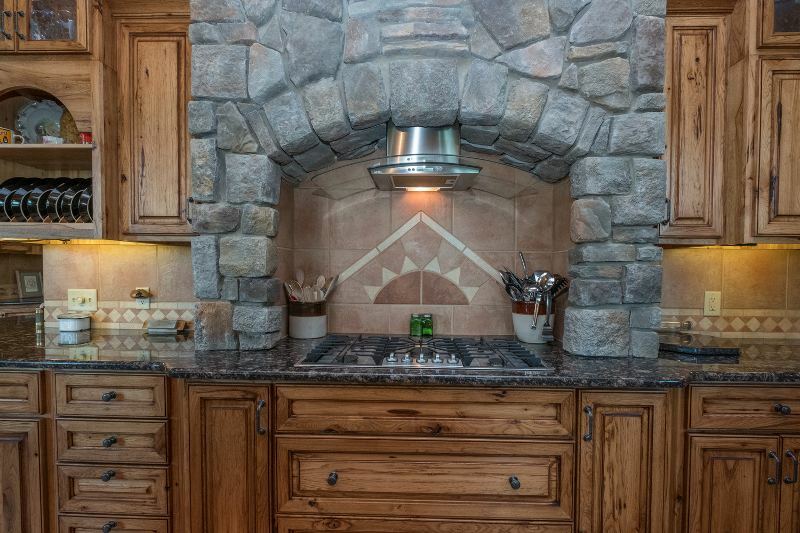 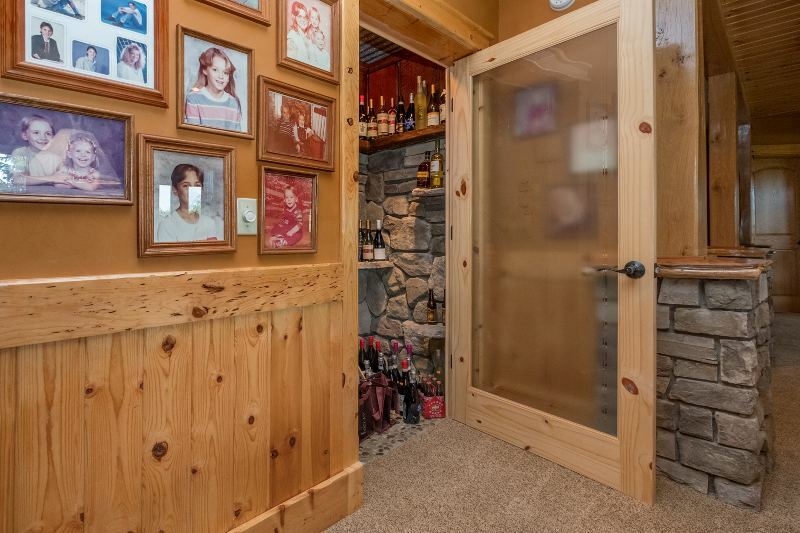 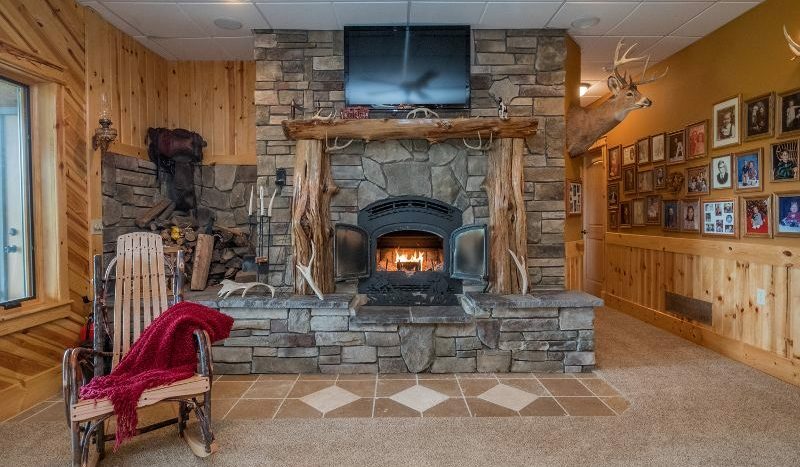 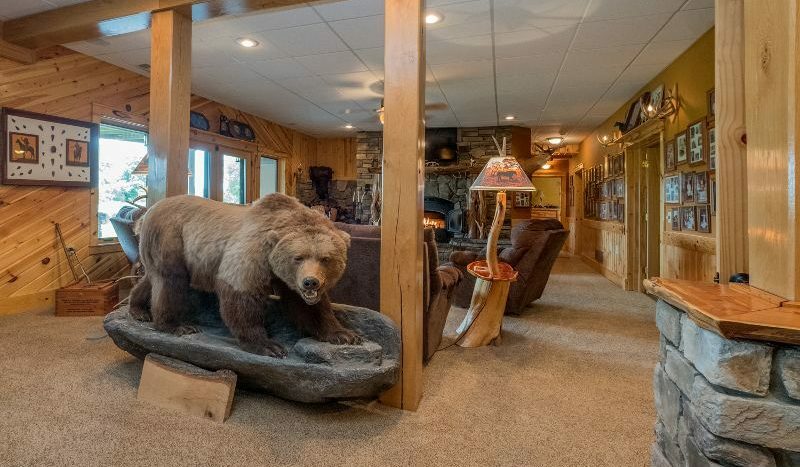 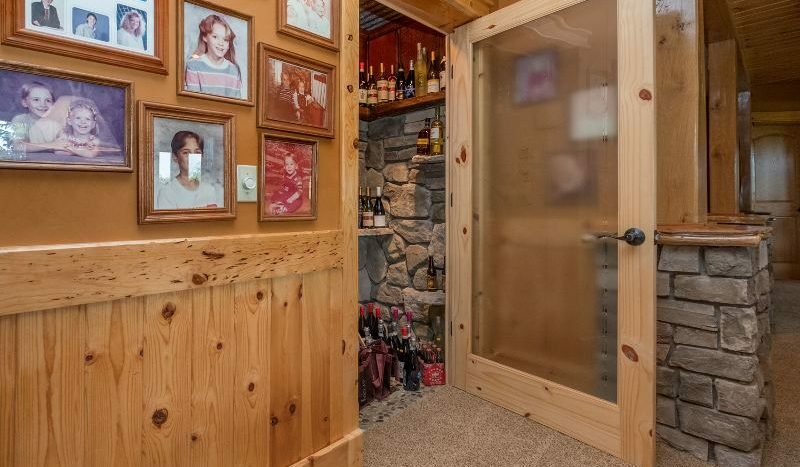 It features a Family Room with Fieldstone Fireplace, Game Room, Fitness Room, Full Kitchen, Snack Bar, Guest Suite with private patio, Wine Closet, Office with Rustic Finishes. 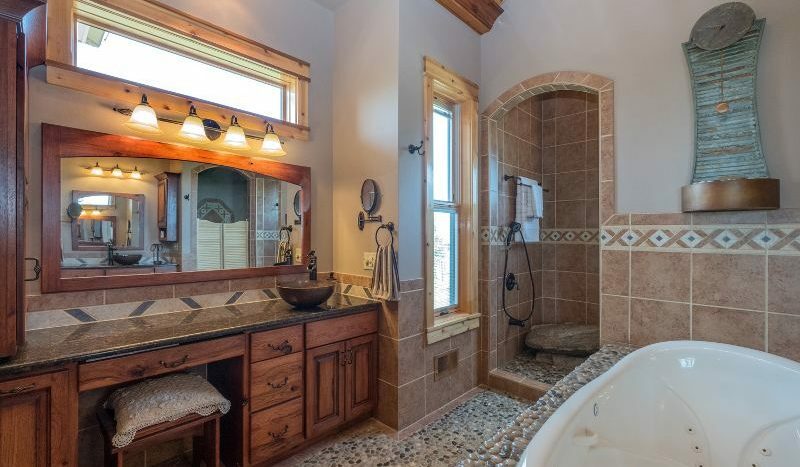 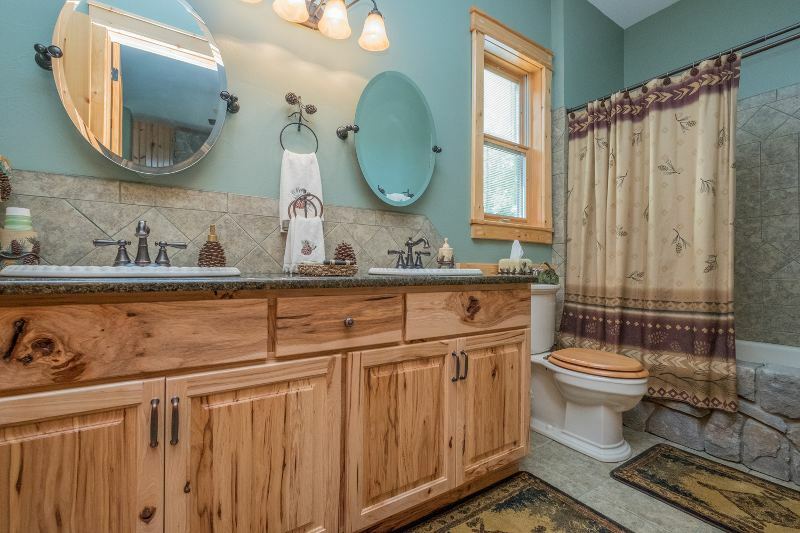 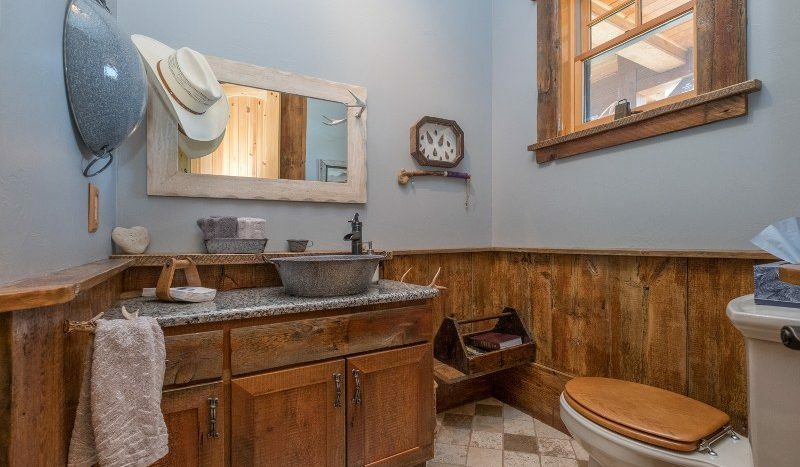 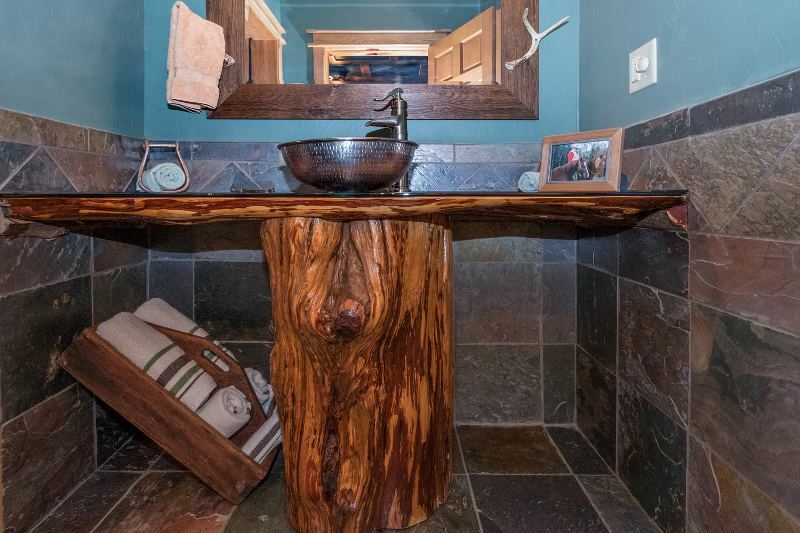 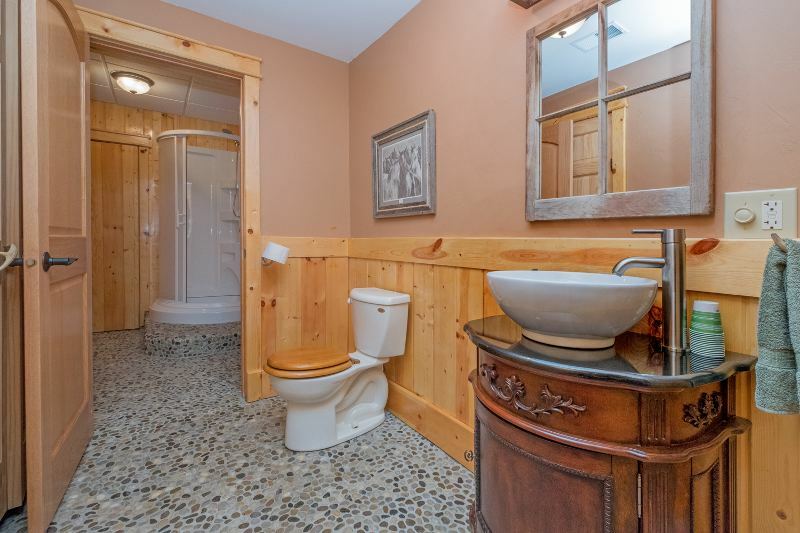 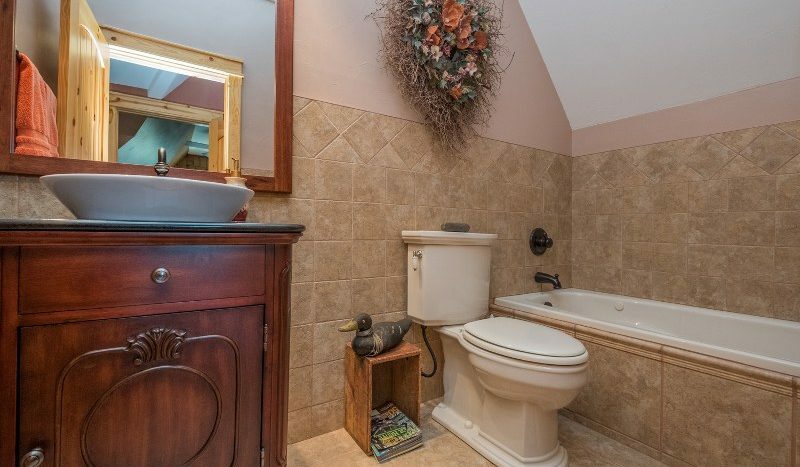 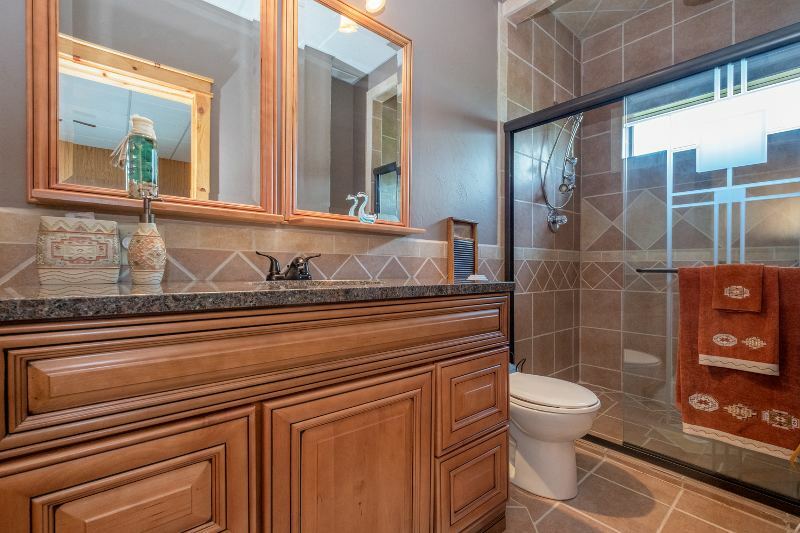 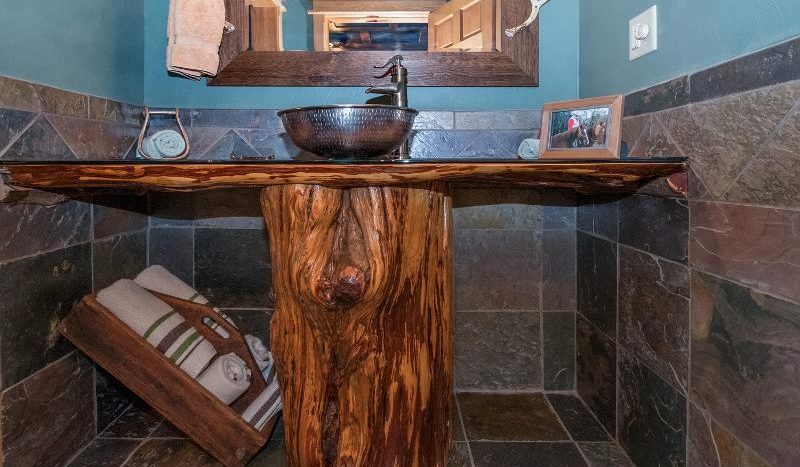 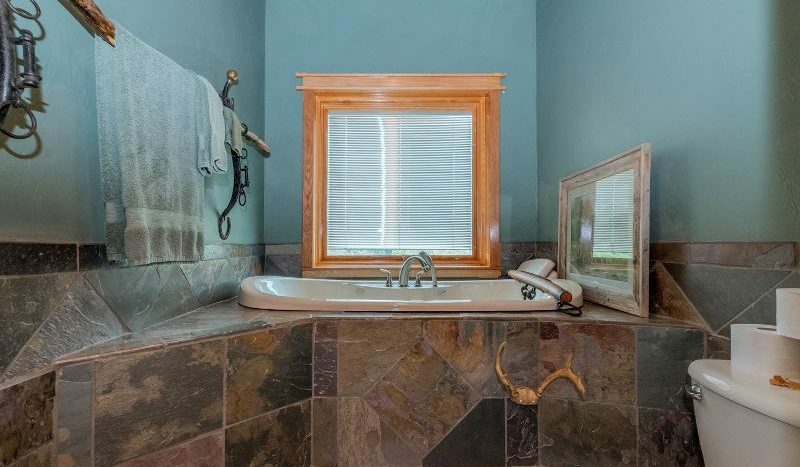 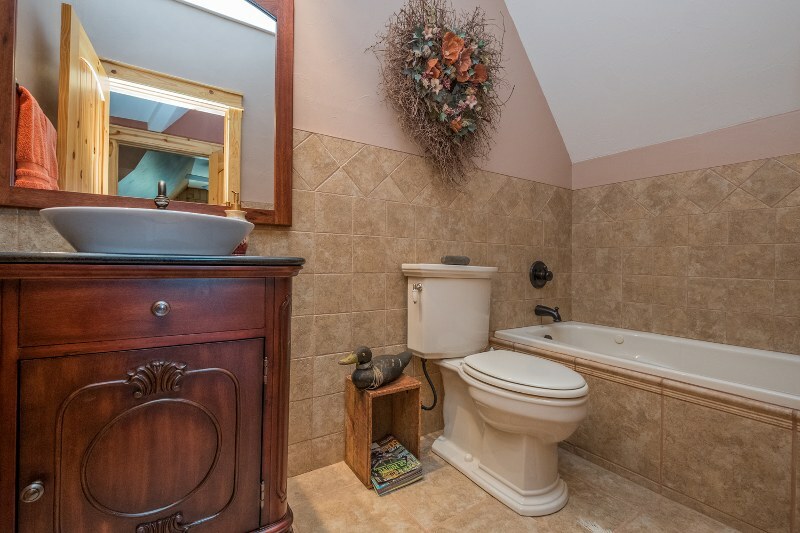 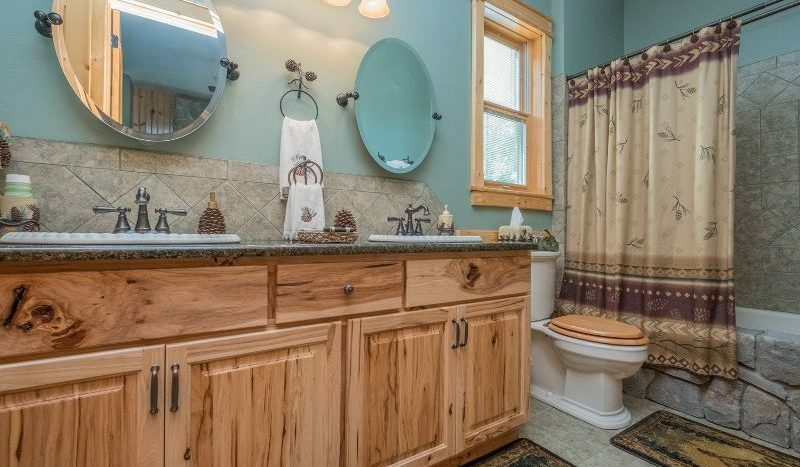 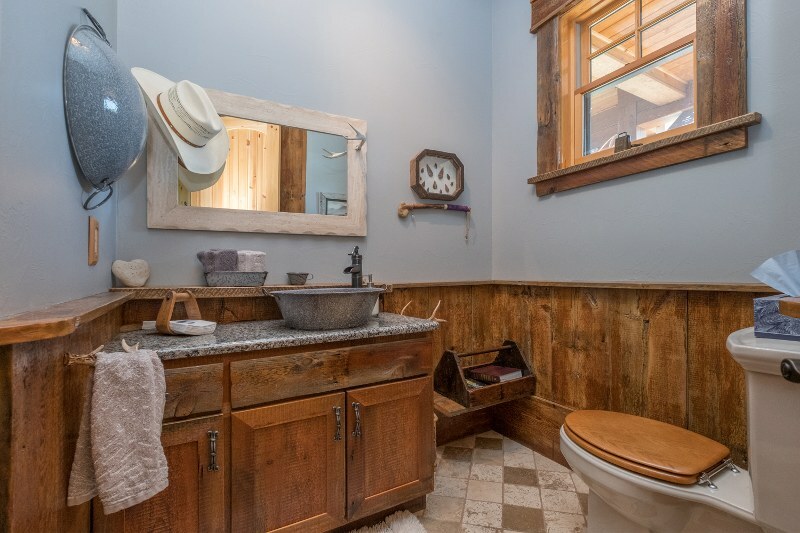 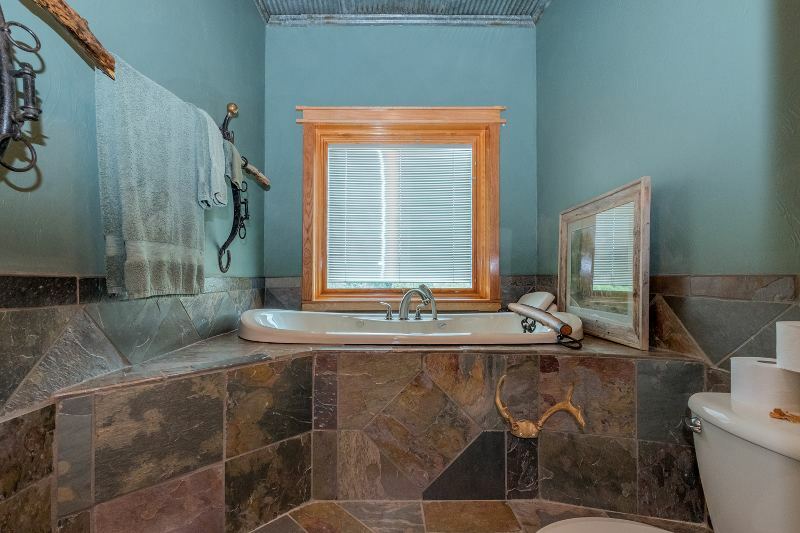 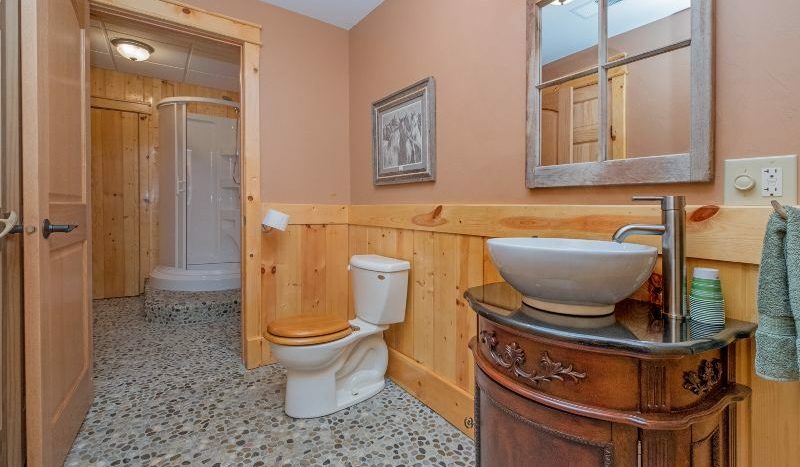 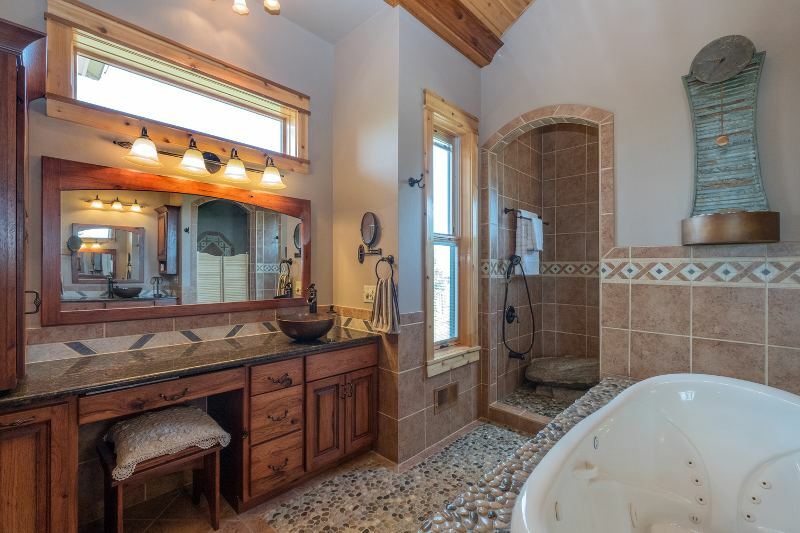 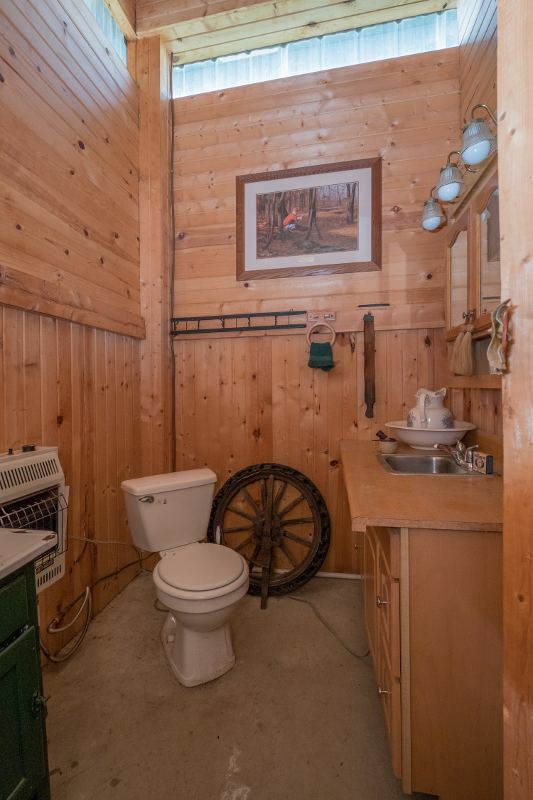 The Office has a full Bath with Unique Wood Pedestal Sink/Counter, Sunken Soaker Tub. 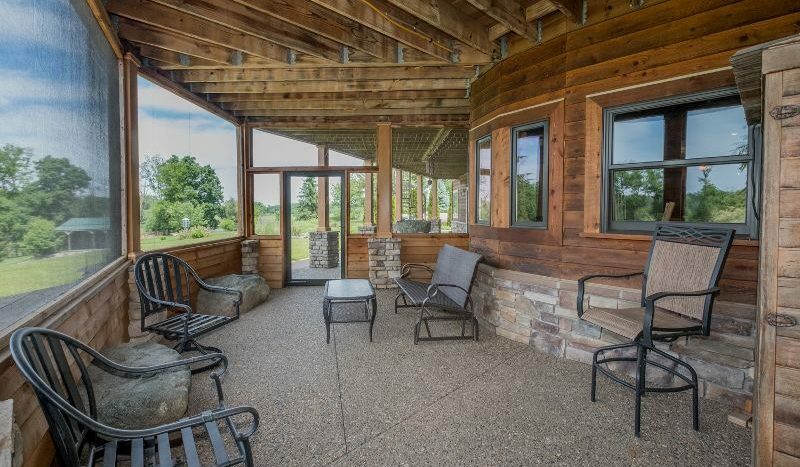 From the Office access the covered patio & enjoy the scenery. 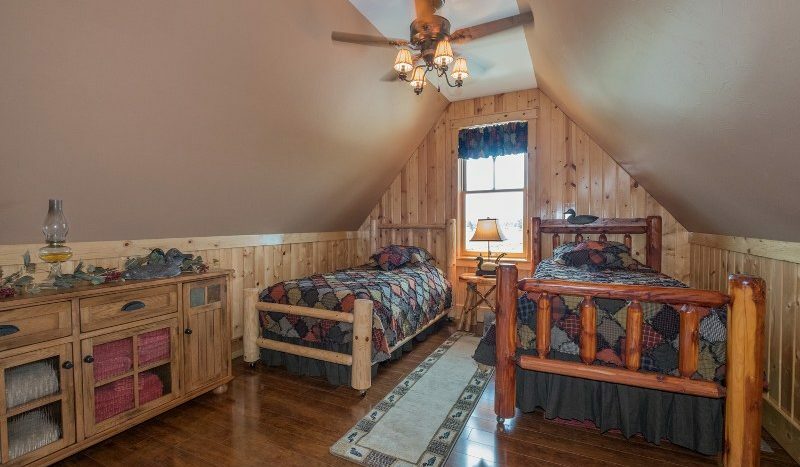 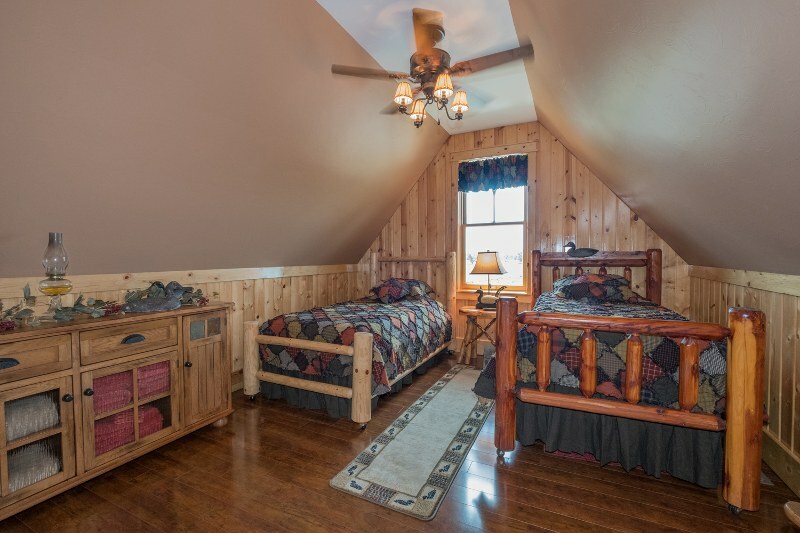 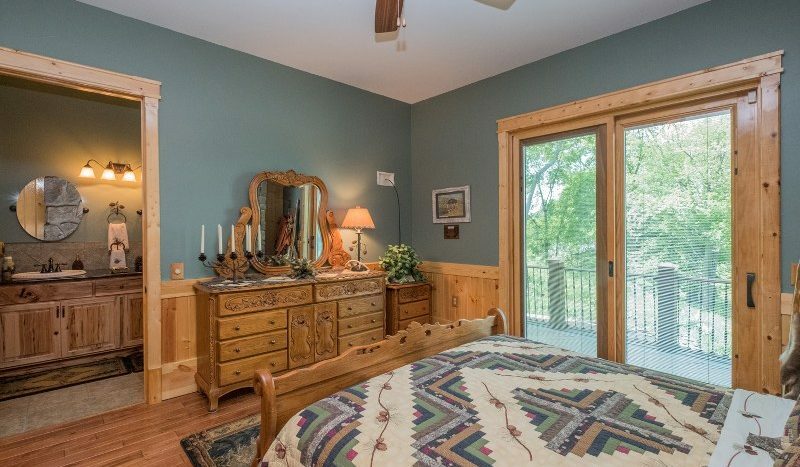 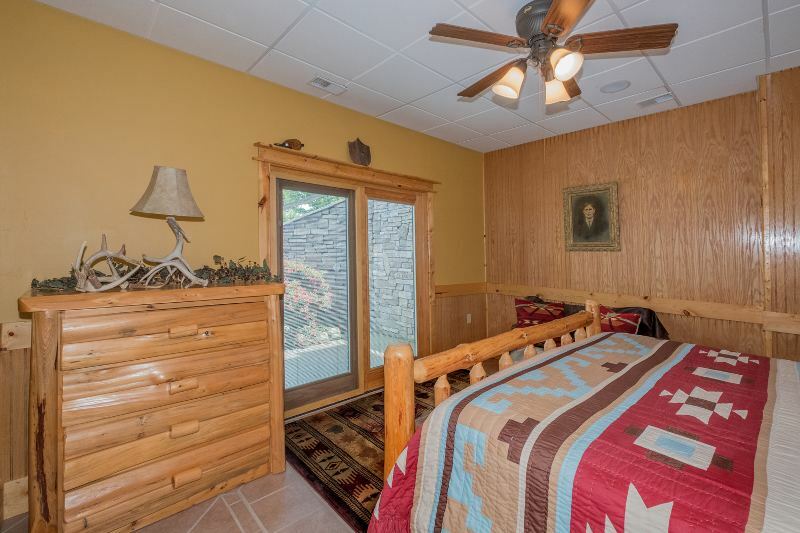 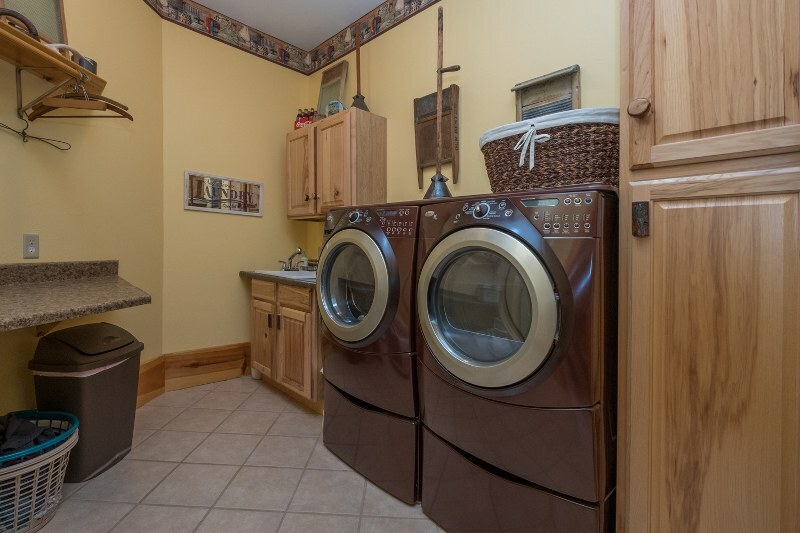 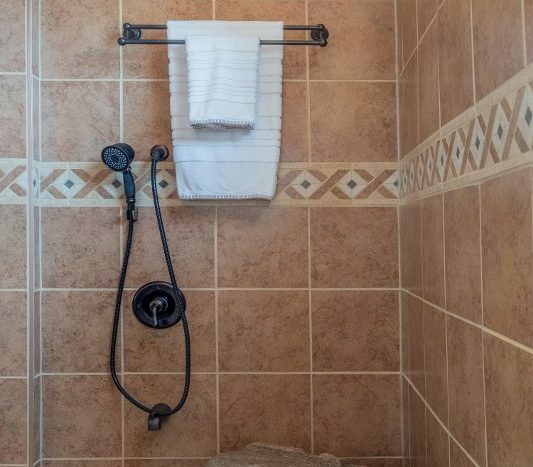 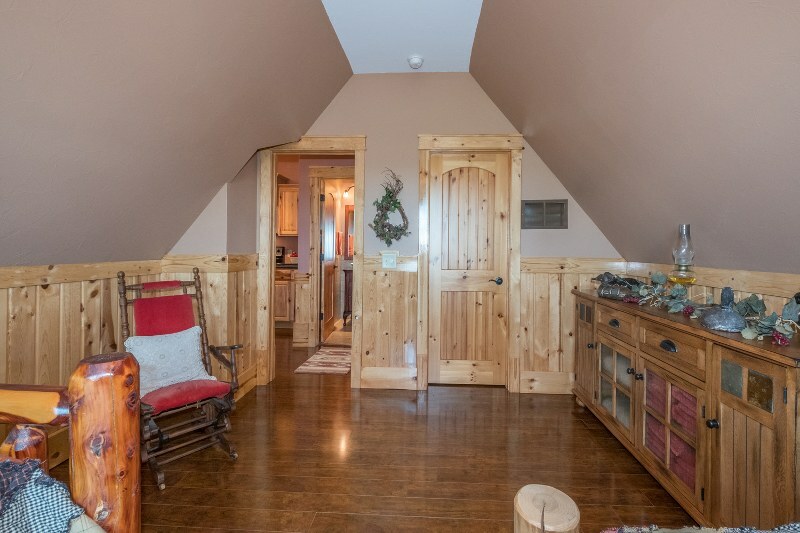 On the Second Floor of the home you’ll find an In Law or Extended Stay Guest Suite. 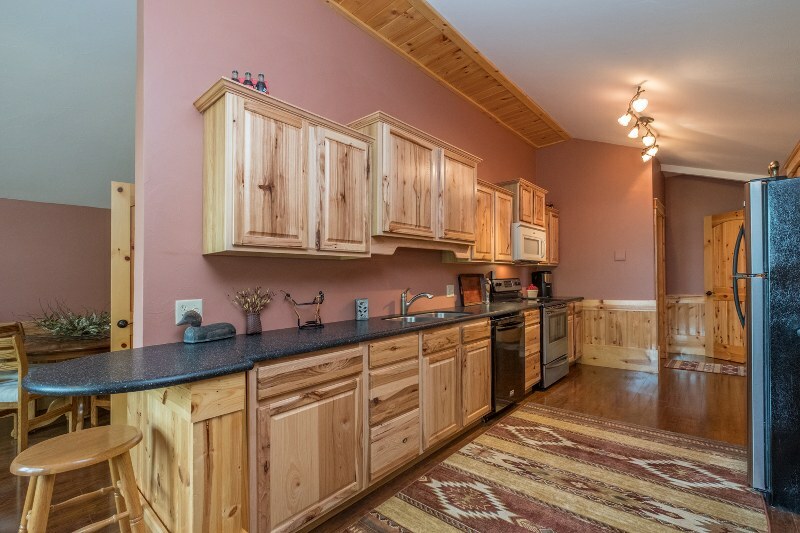 A full kitchen with Stainless Steel Appliances, living room with entrance to a private sitting Balcony, large bedroom & full Bath. 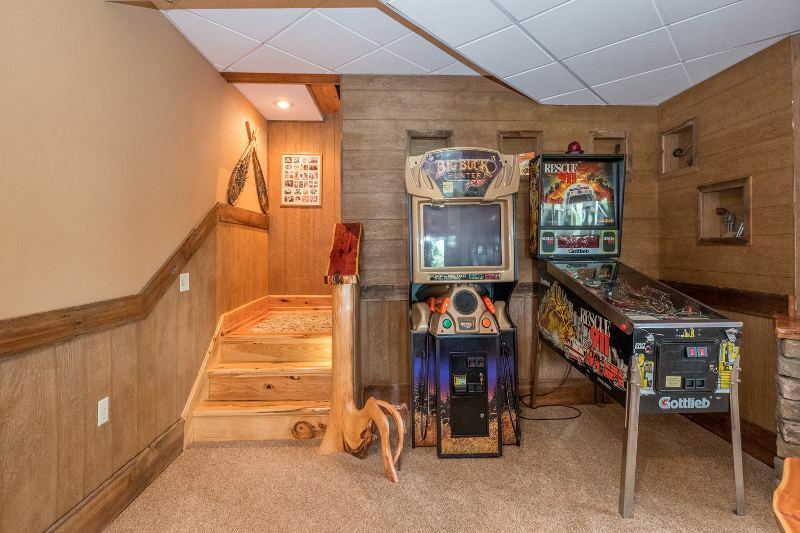 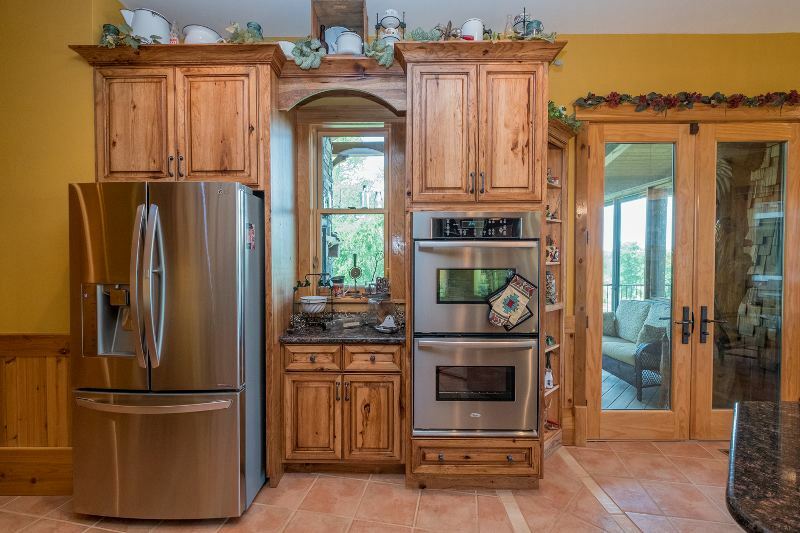 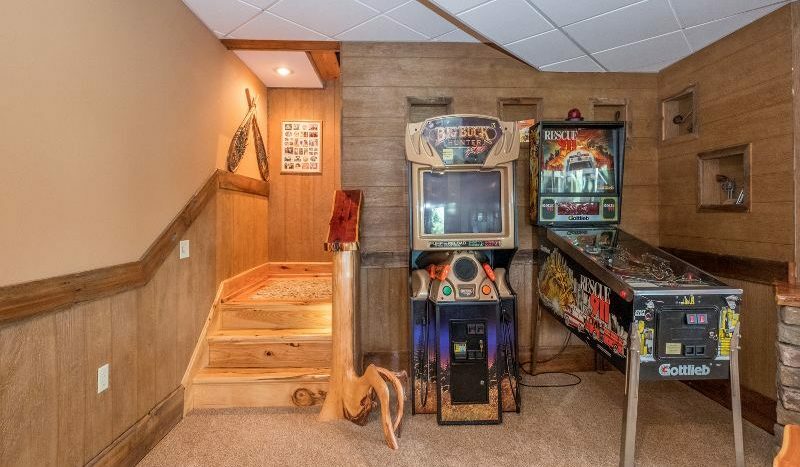 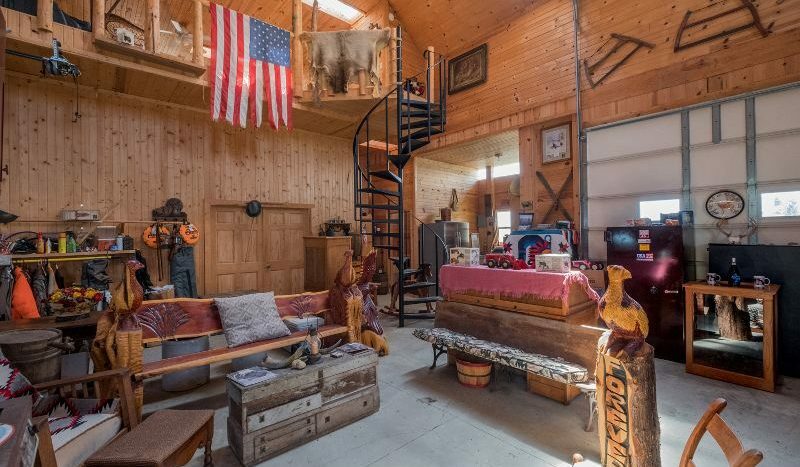 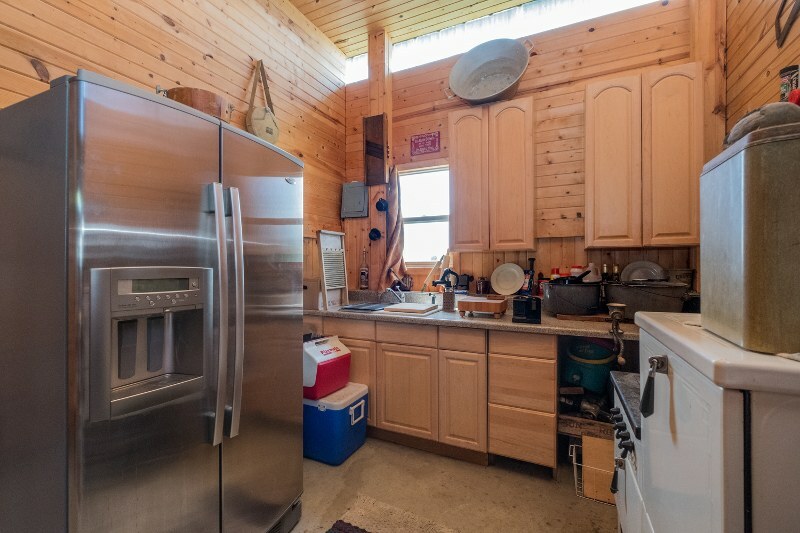 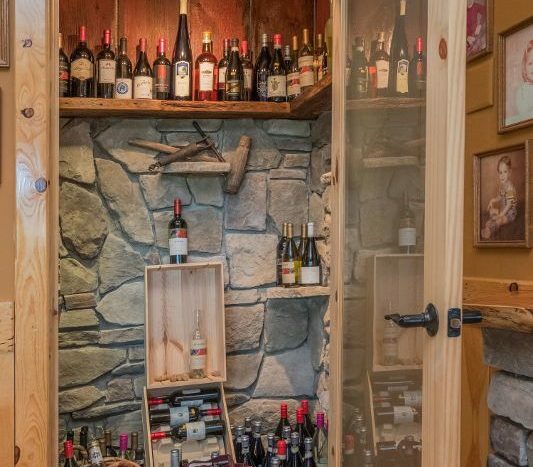 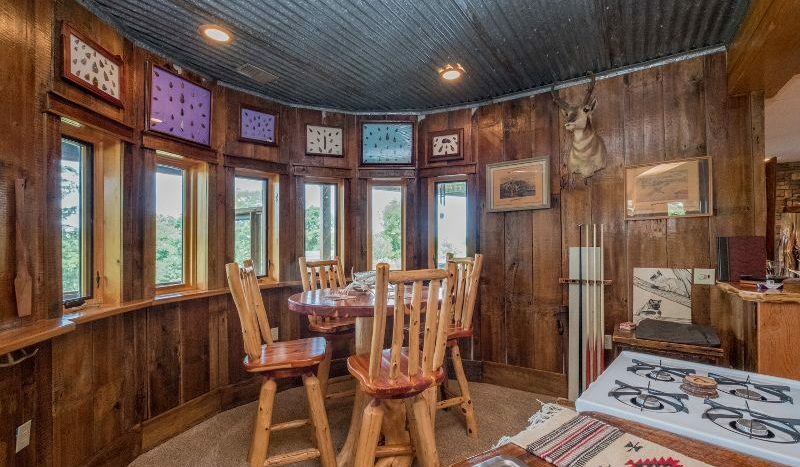 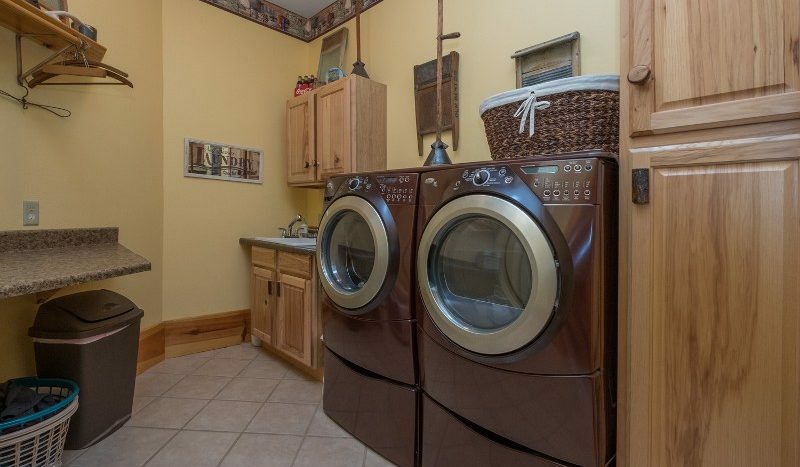 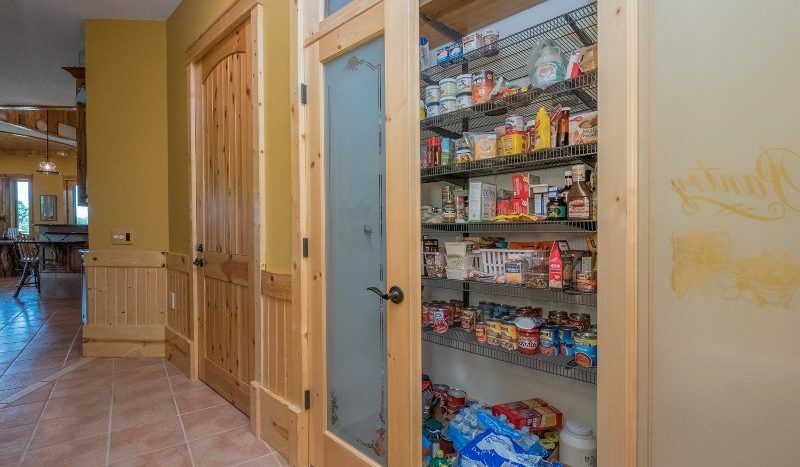 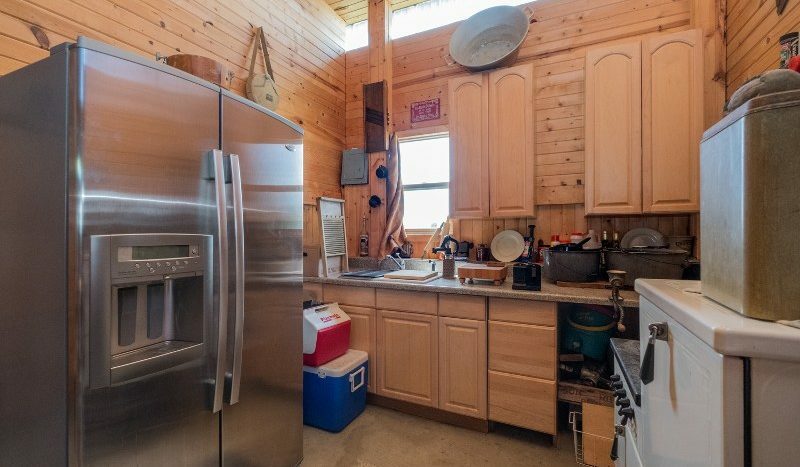 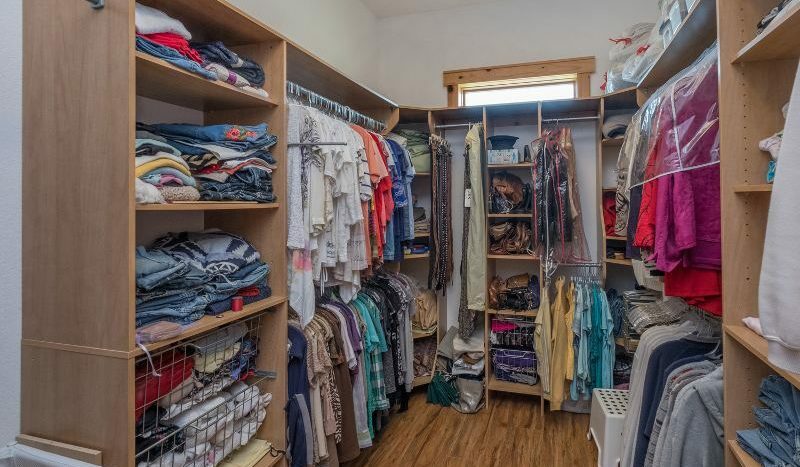 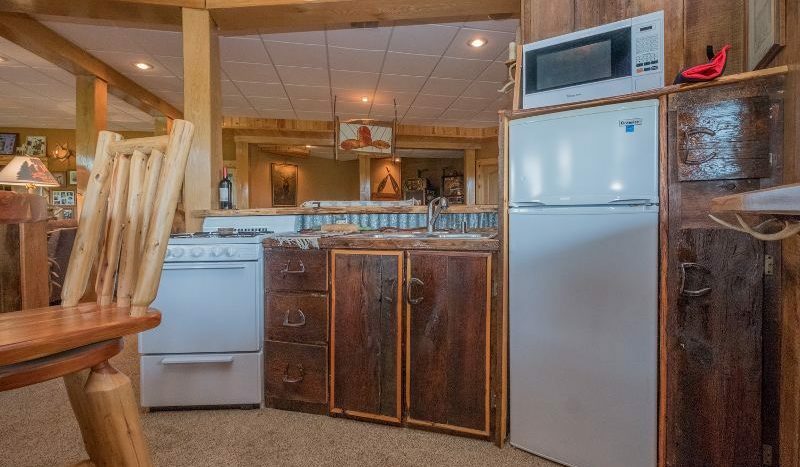 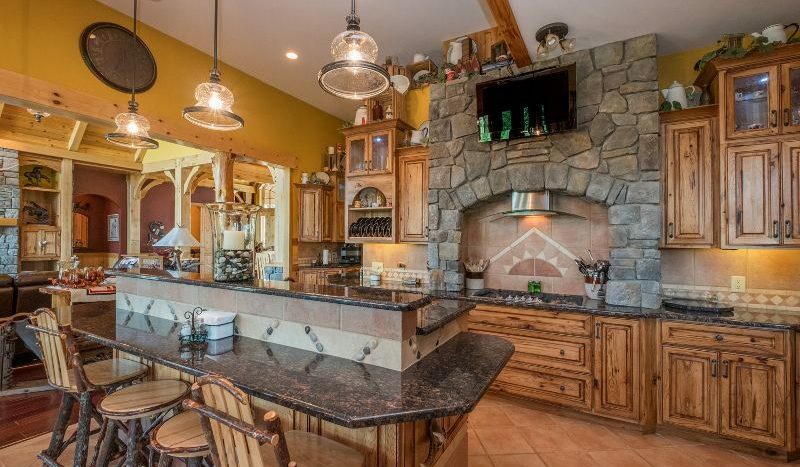 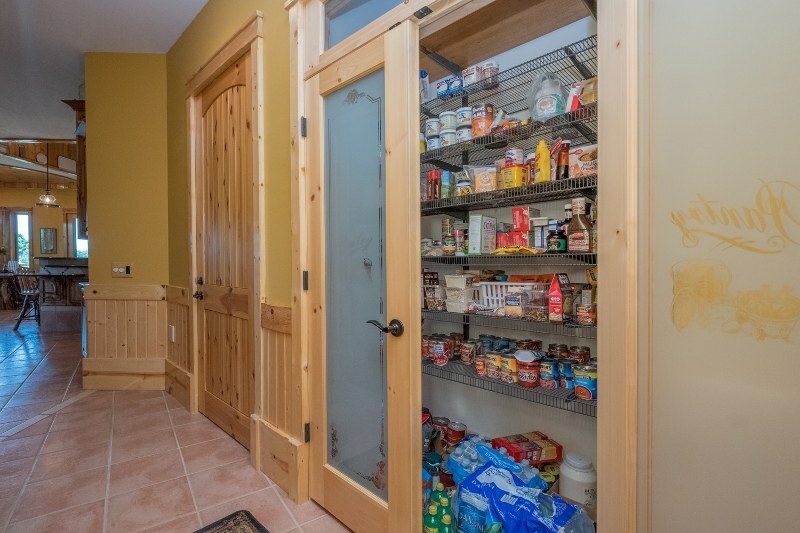 This home is filled with many more surprises! 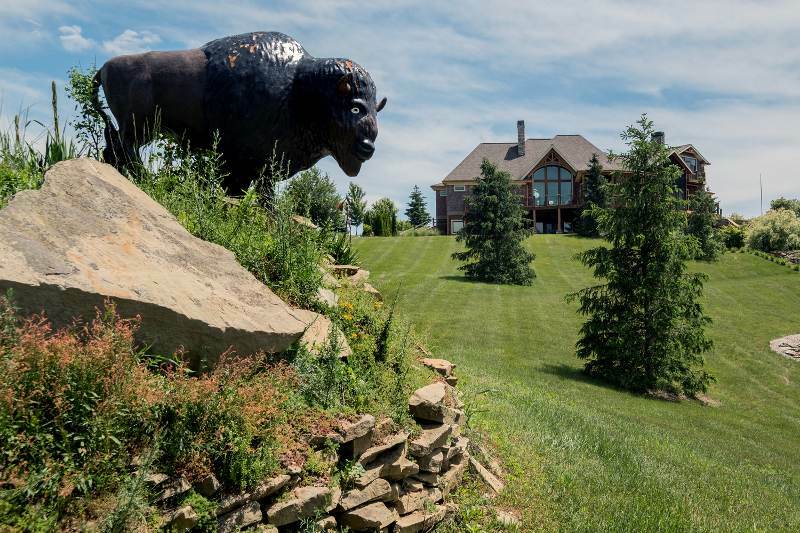 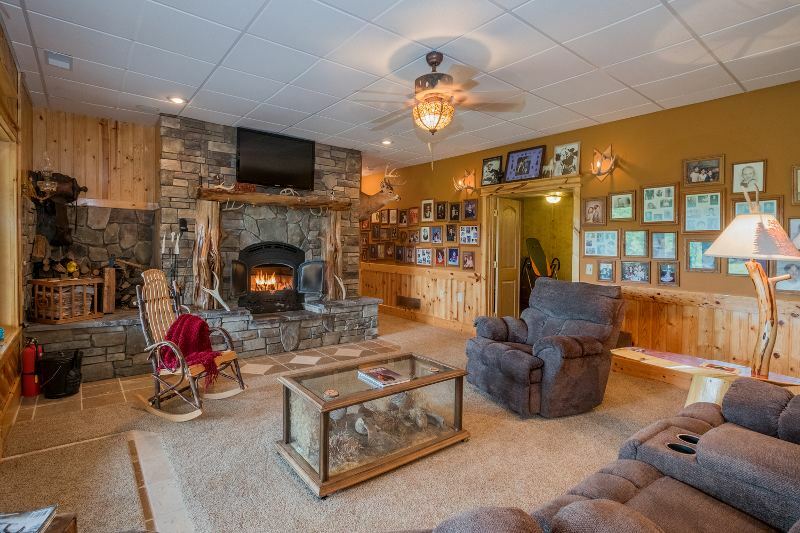 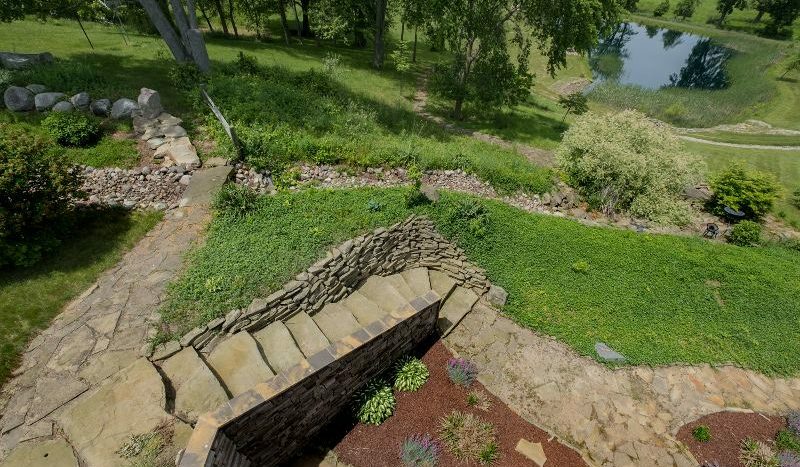 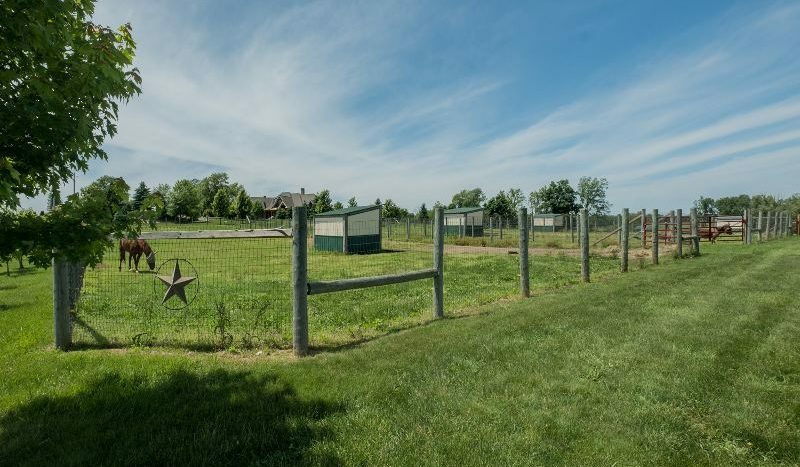 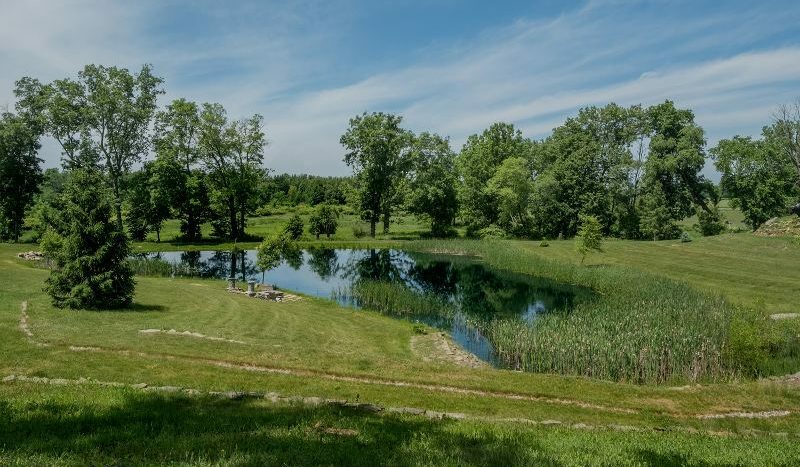 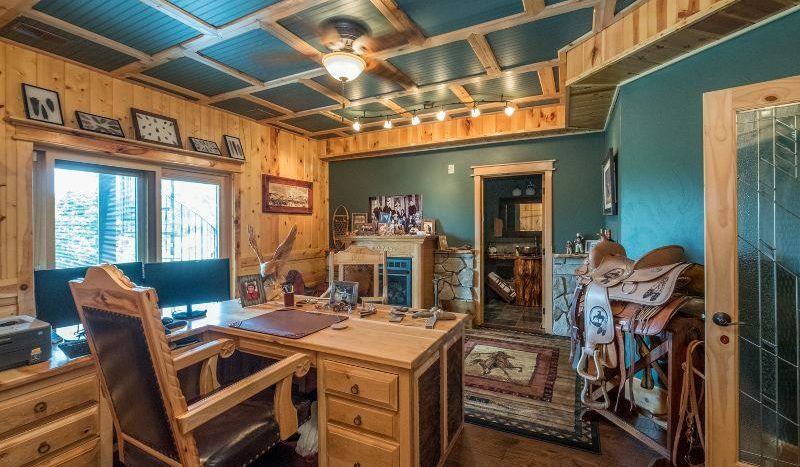 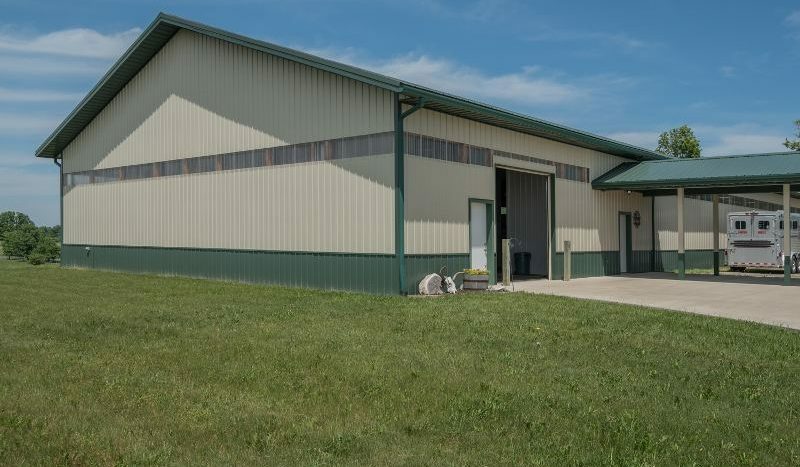 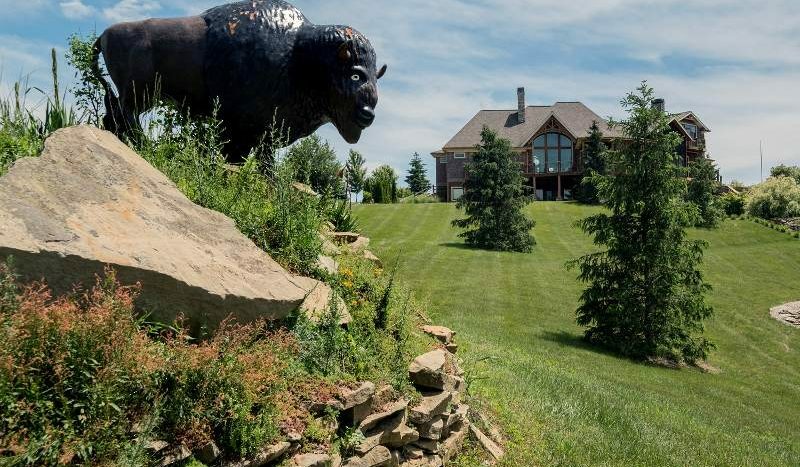 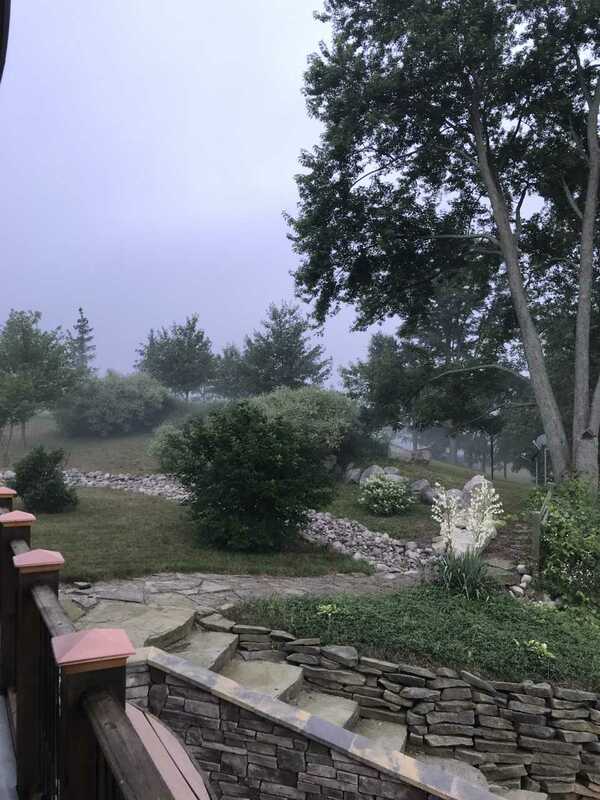 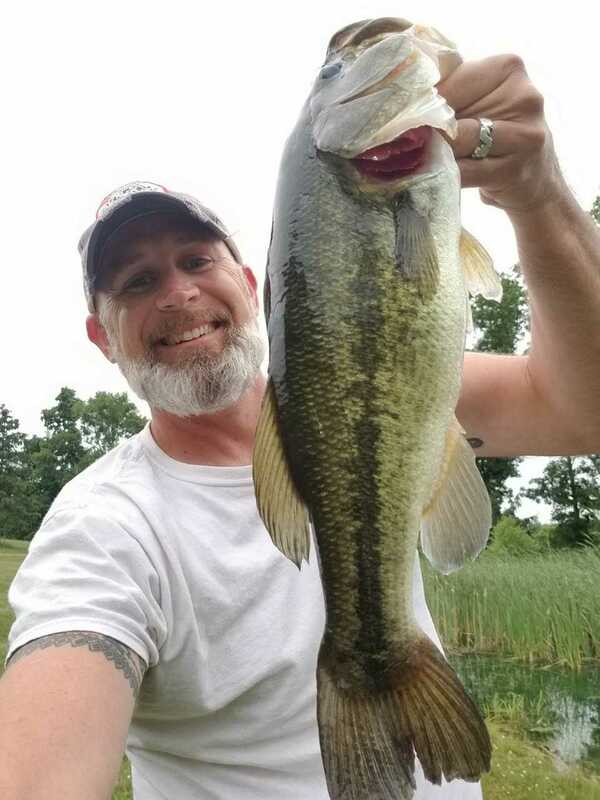 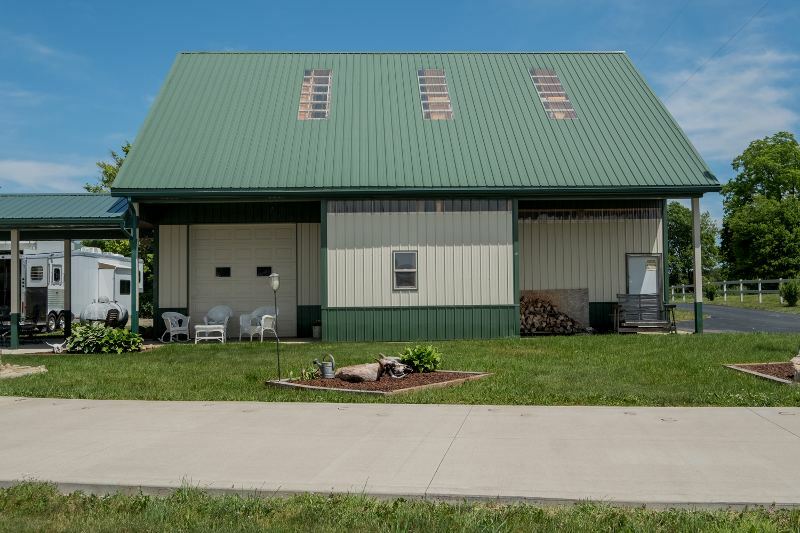 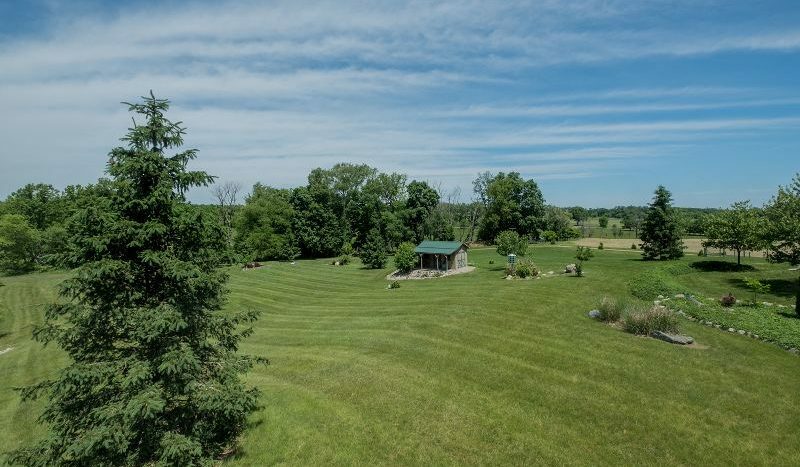 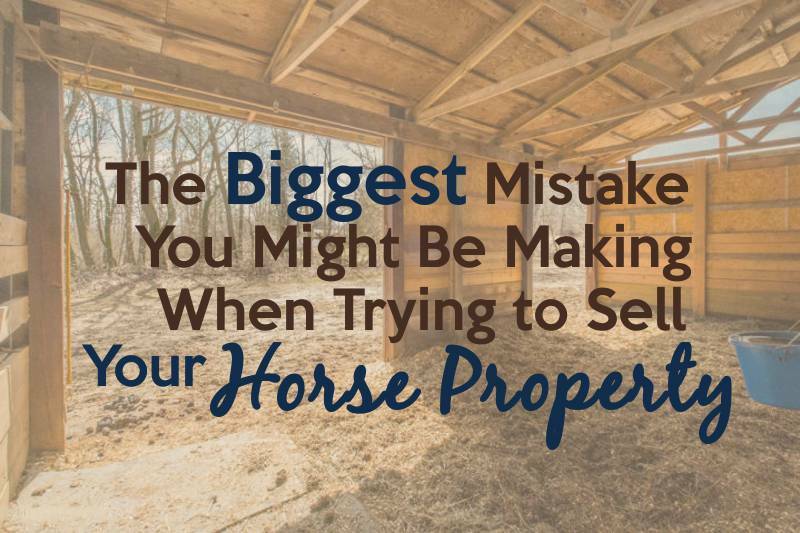 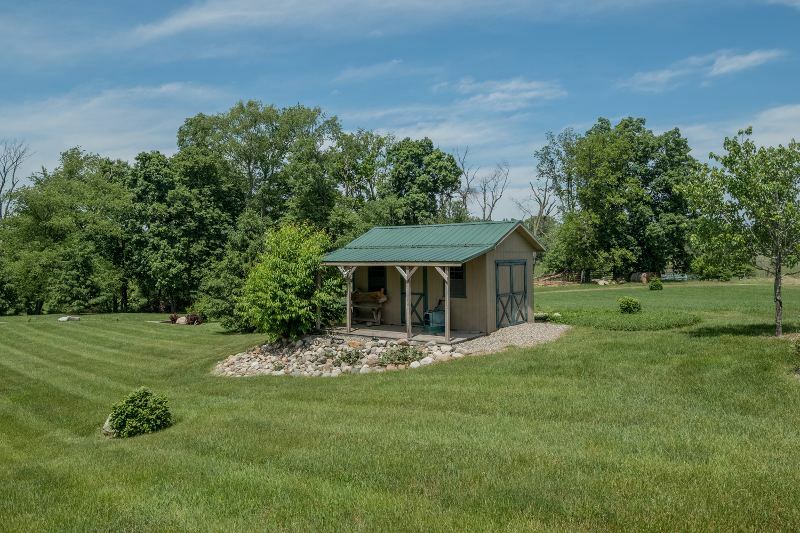 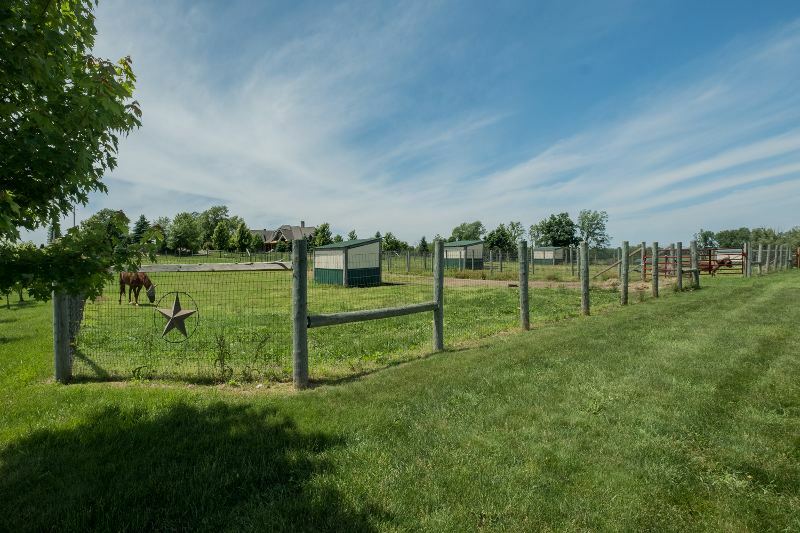 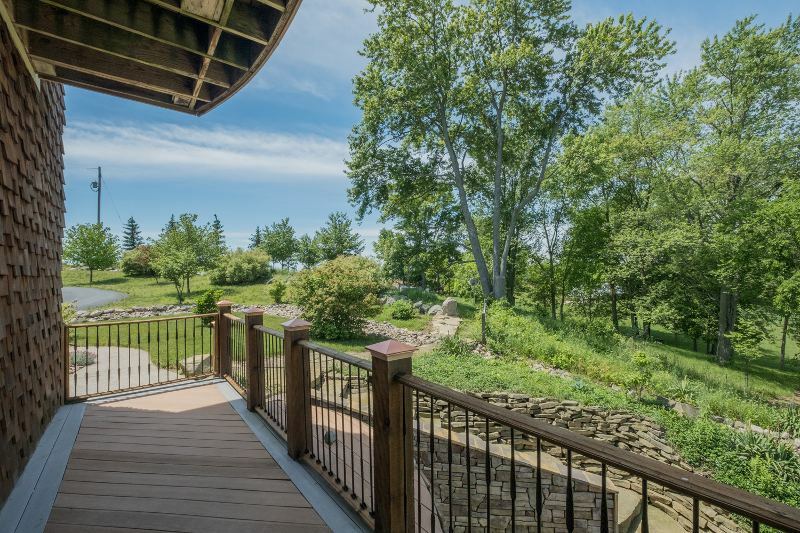 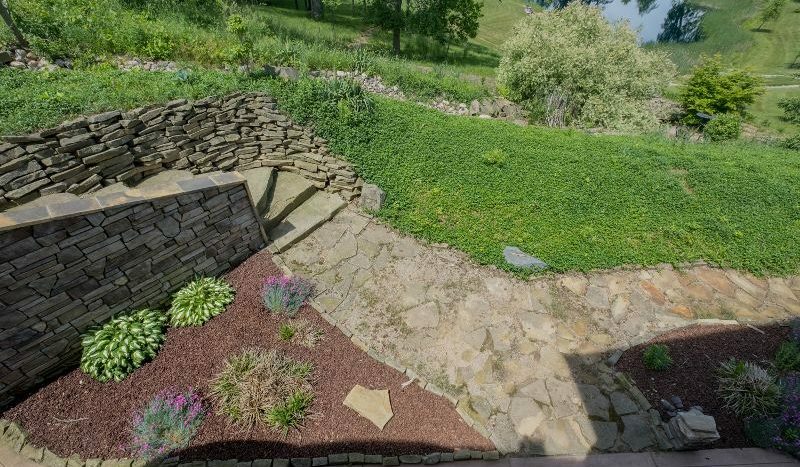 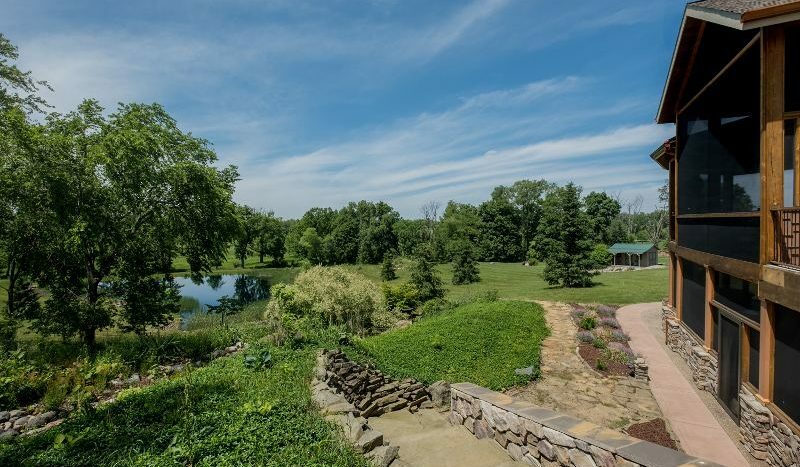 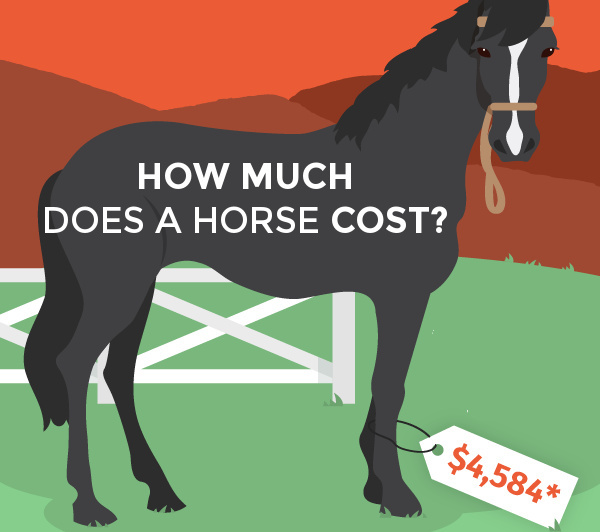 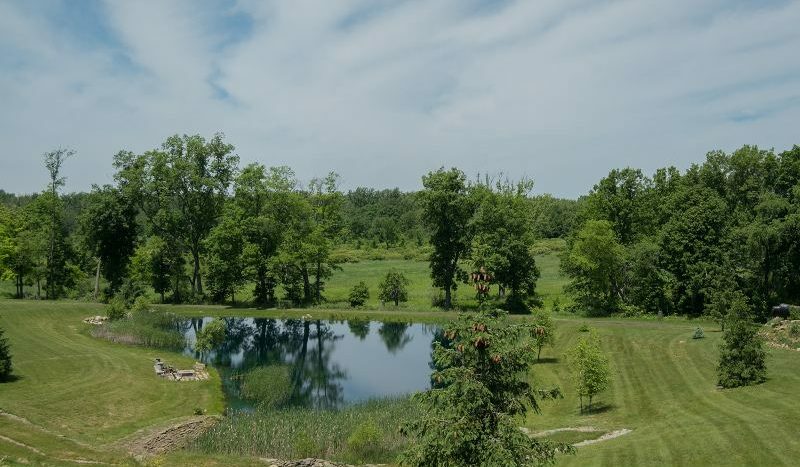 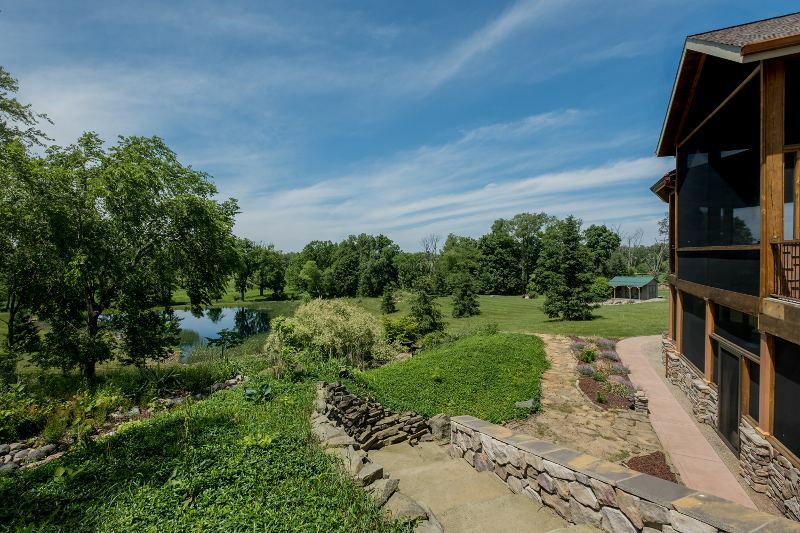 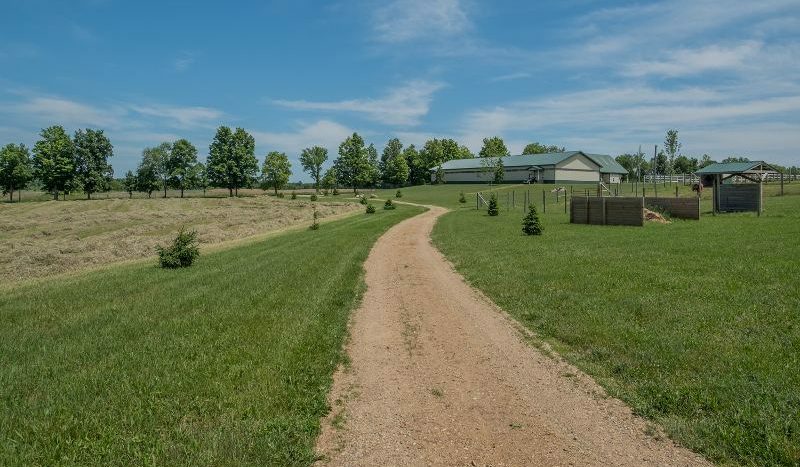 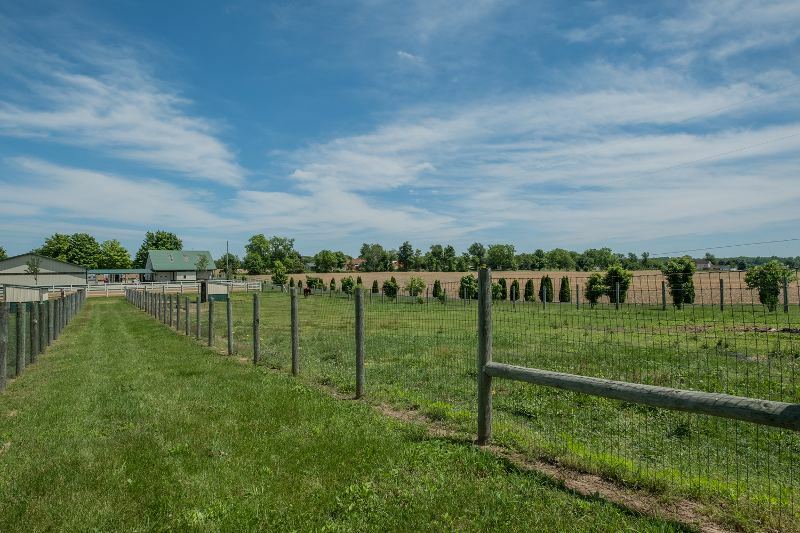 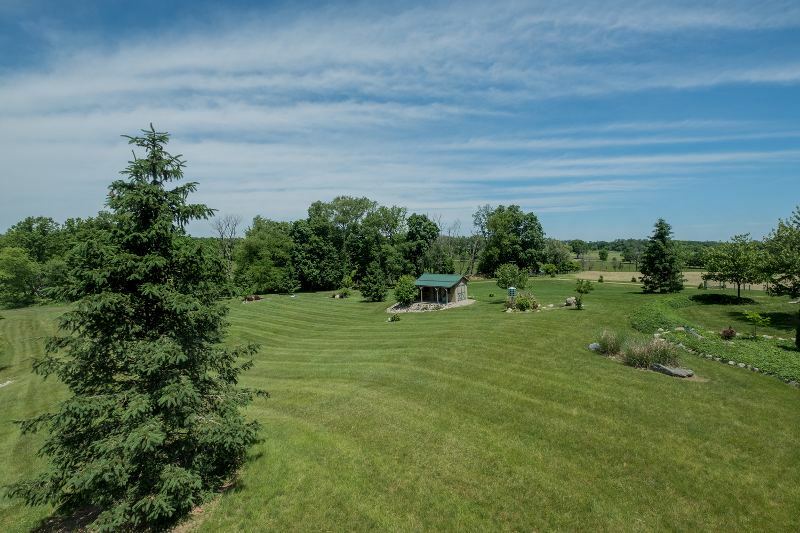 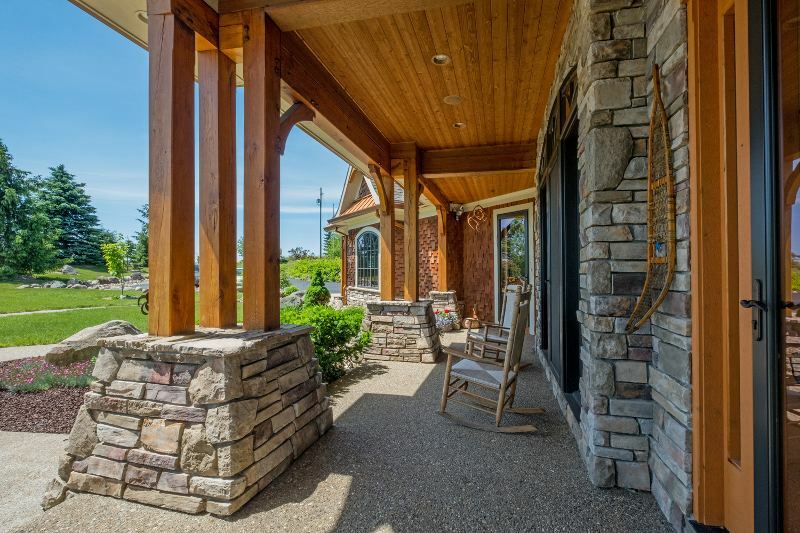 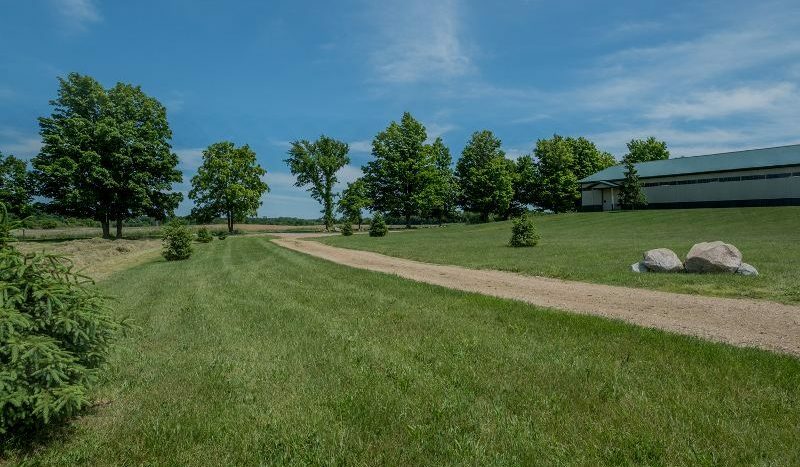 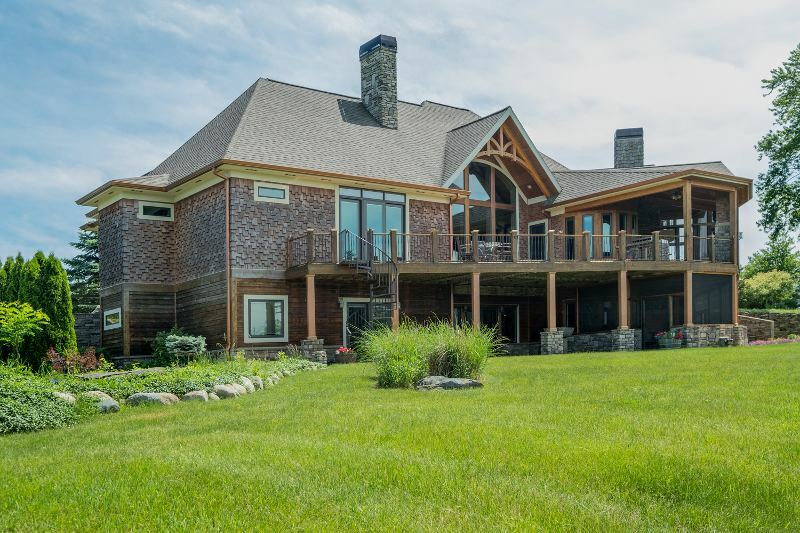 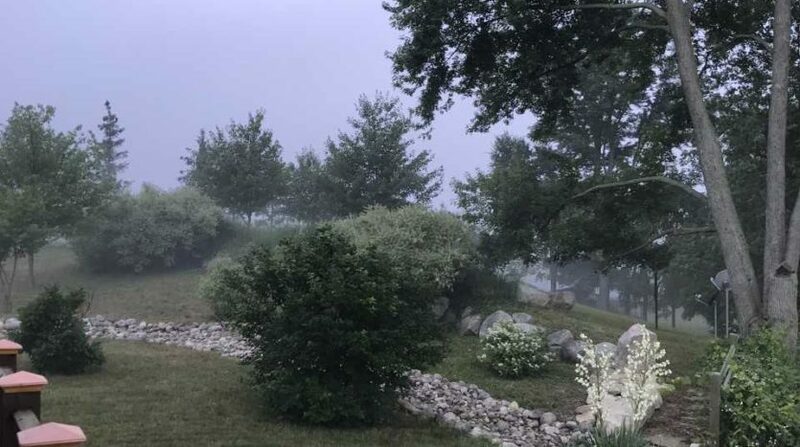 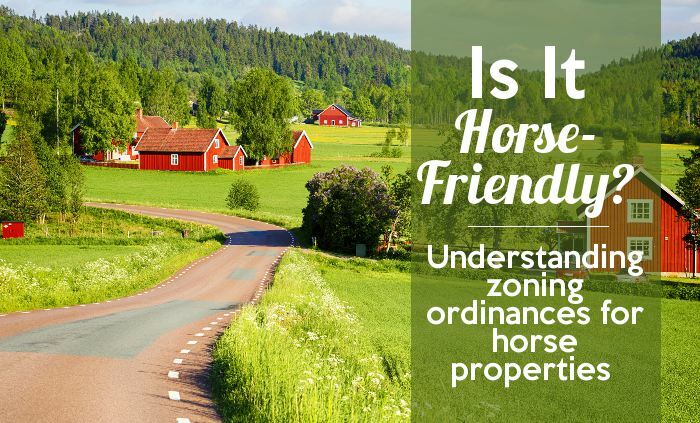 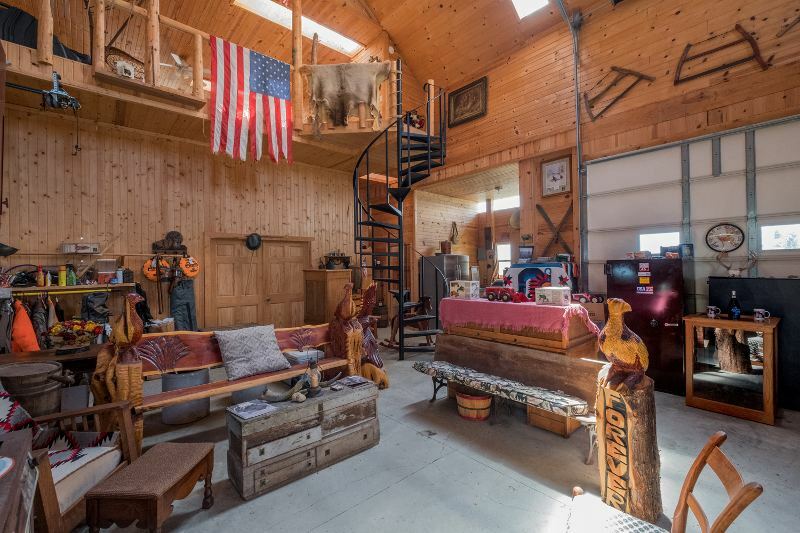 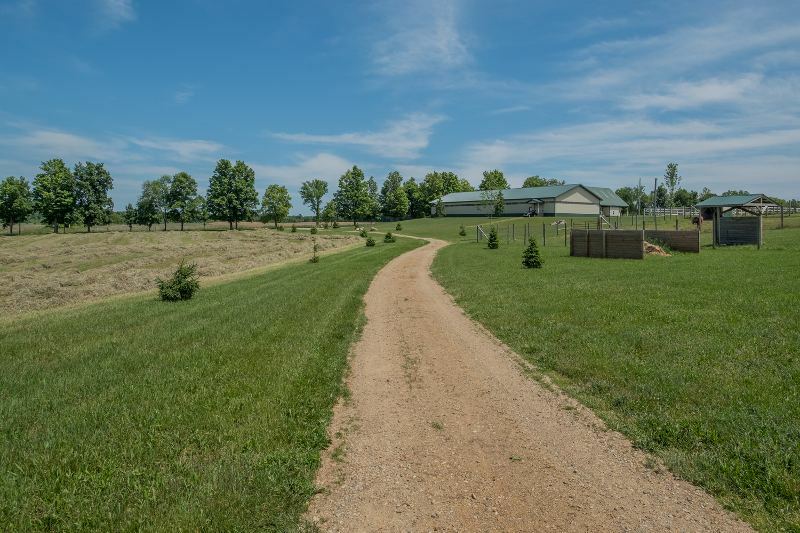 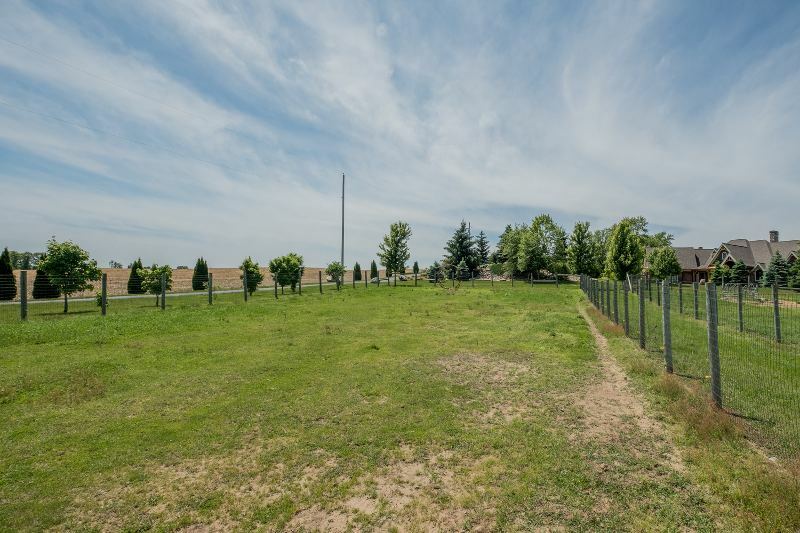 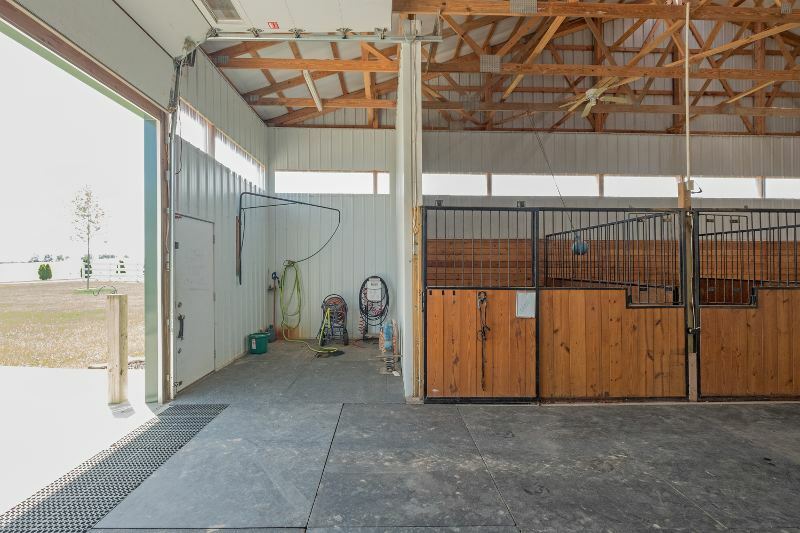 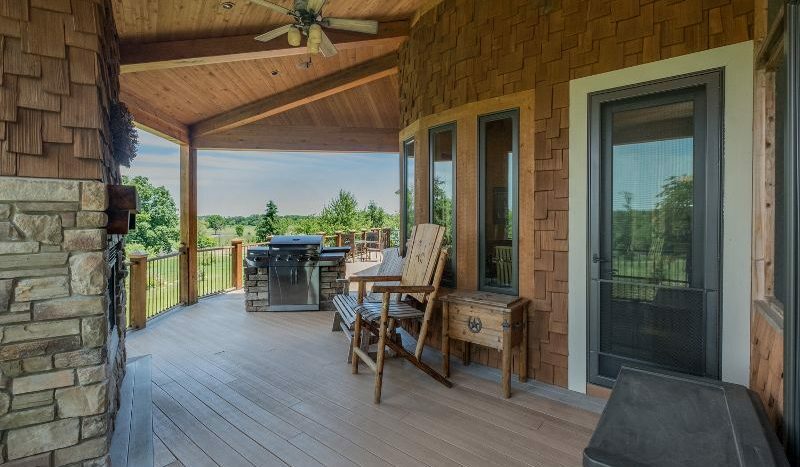 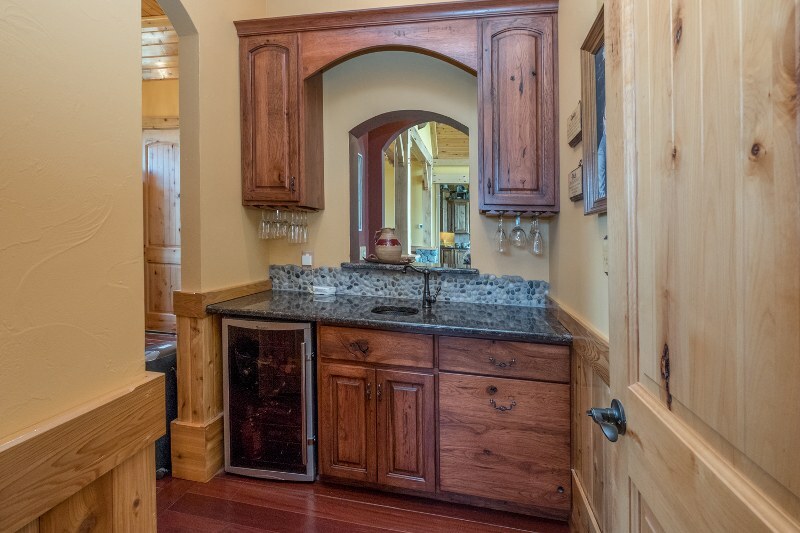 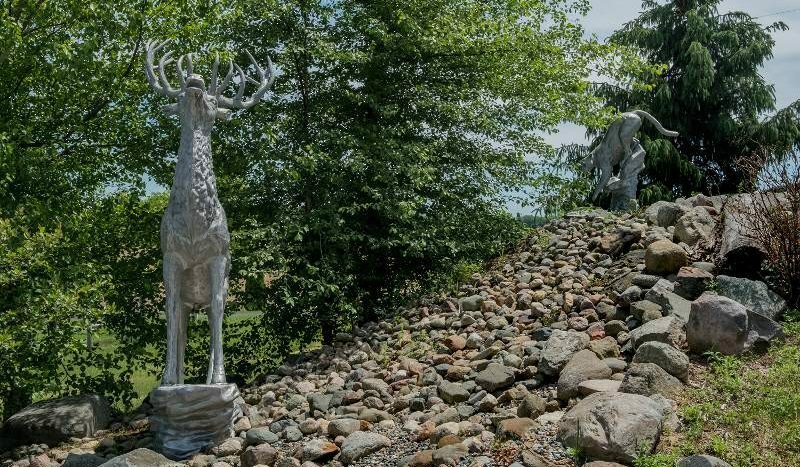 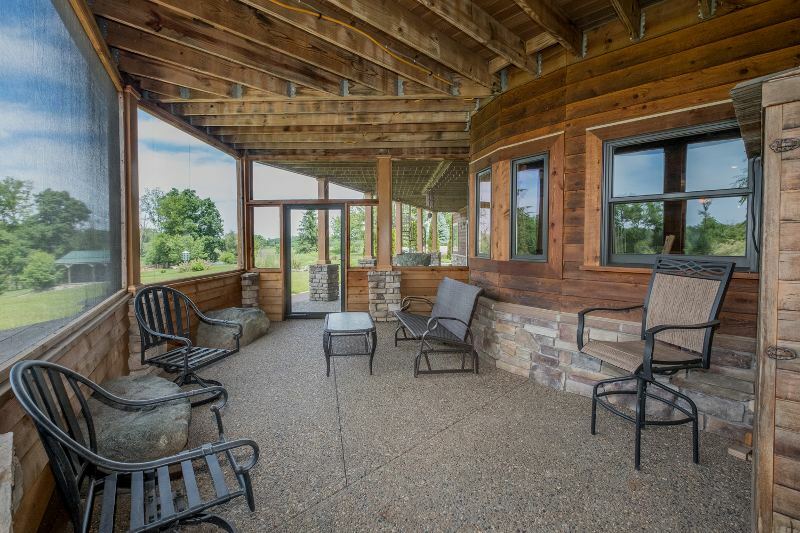 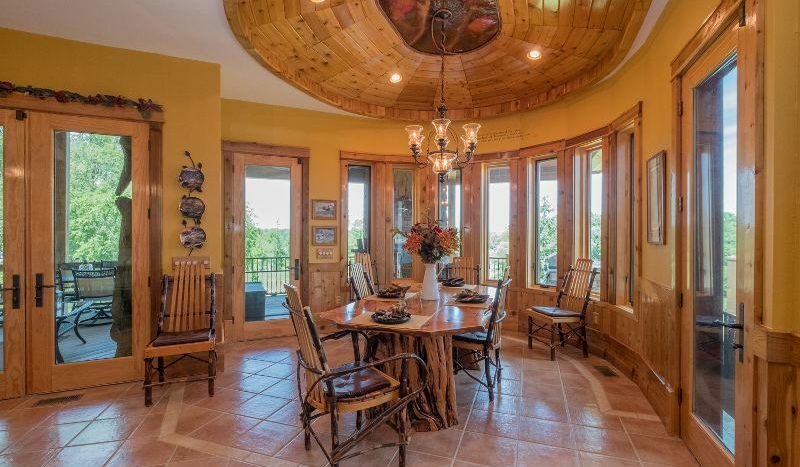 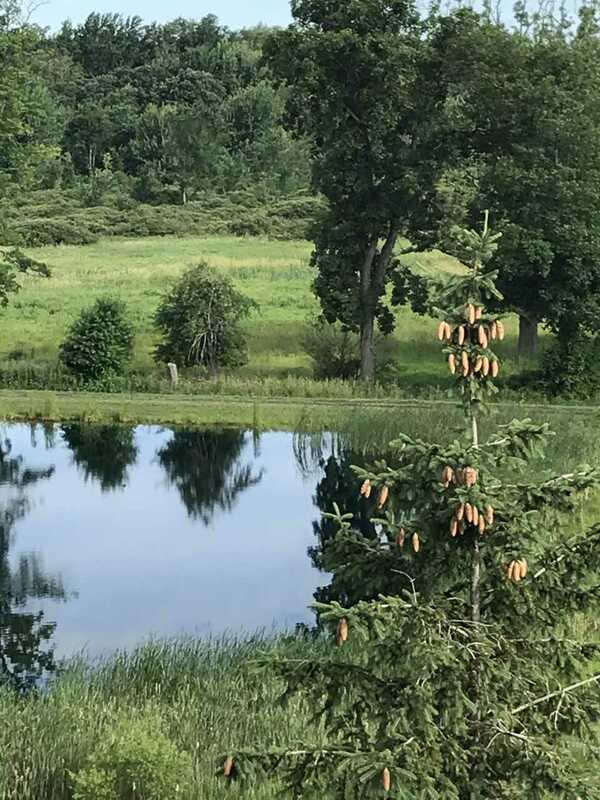 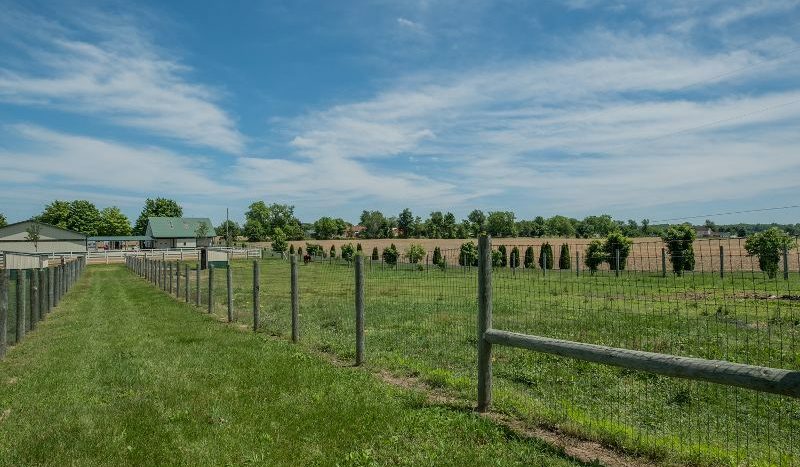 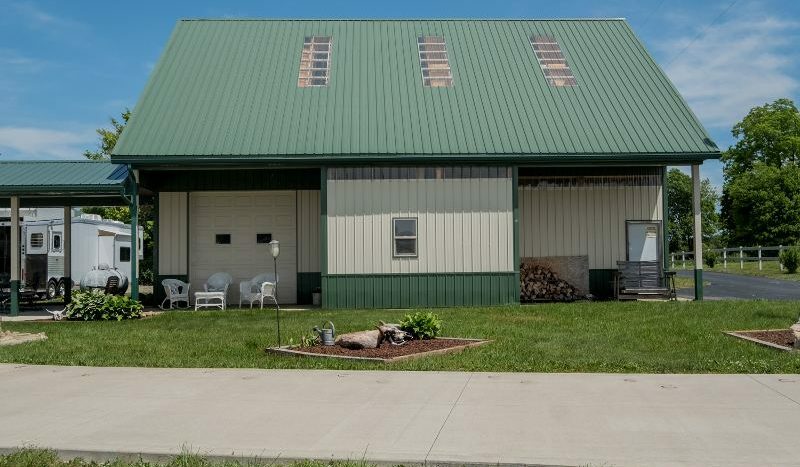 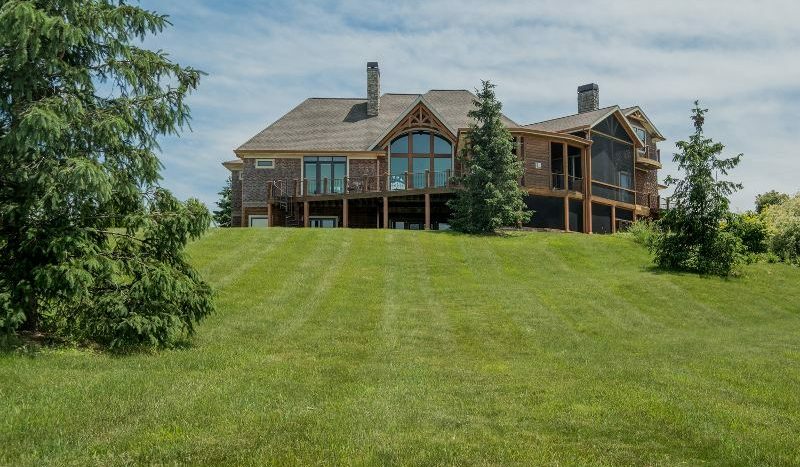 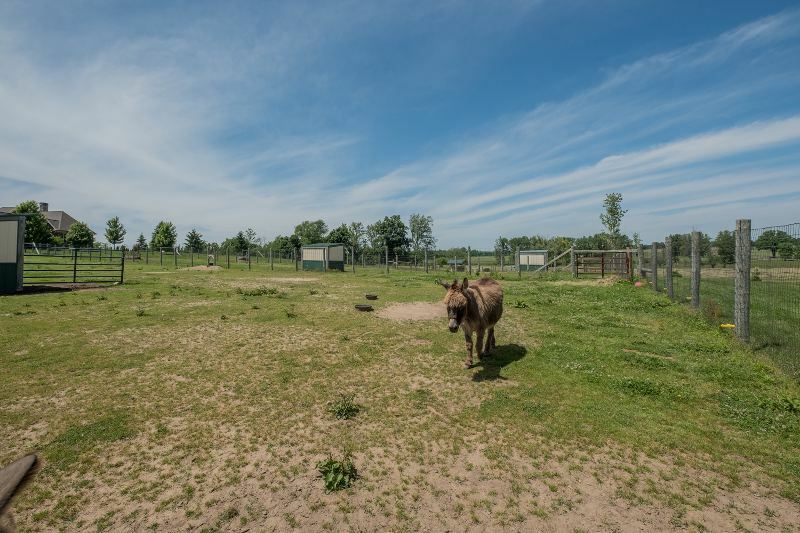 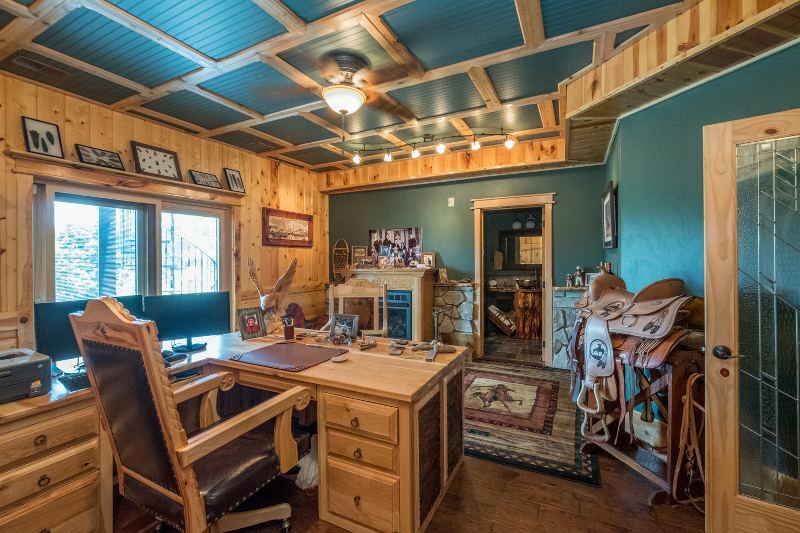 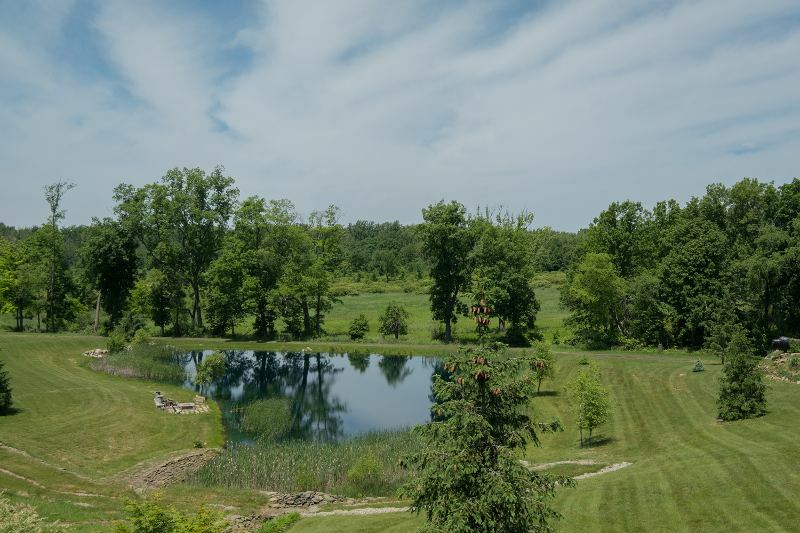 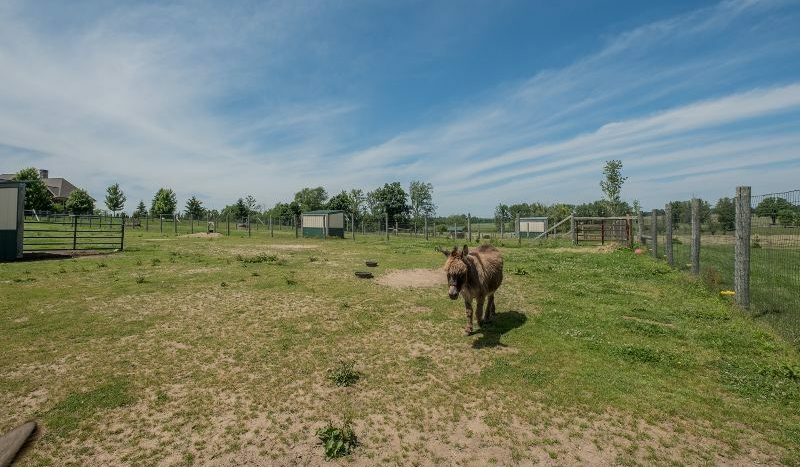 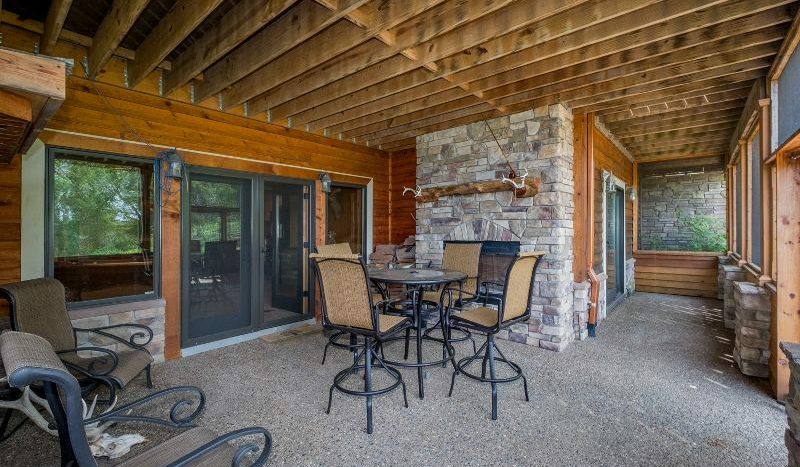 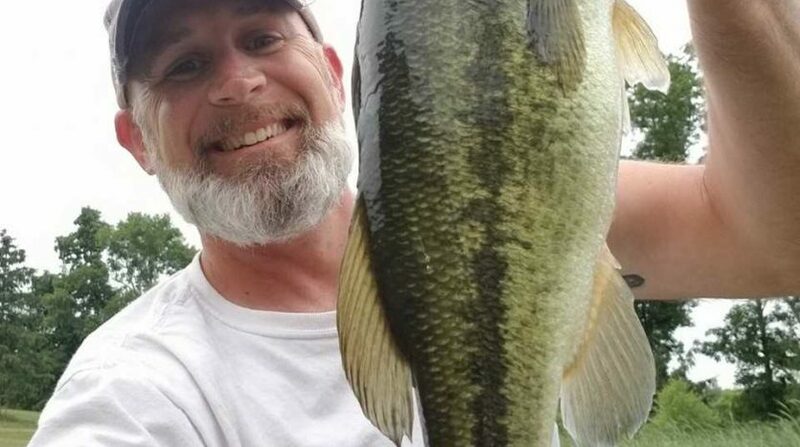 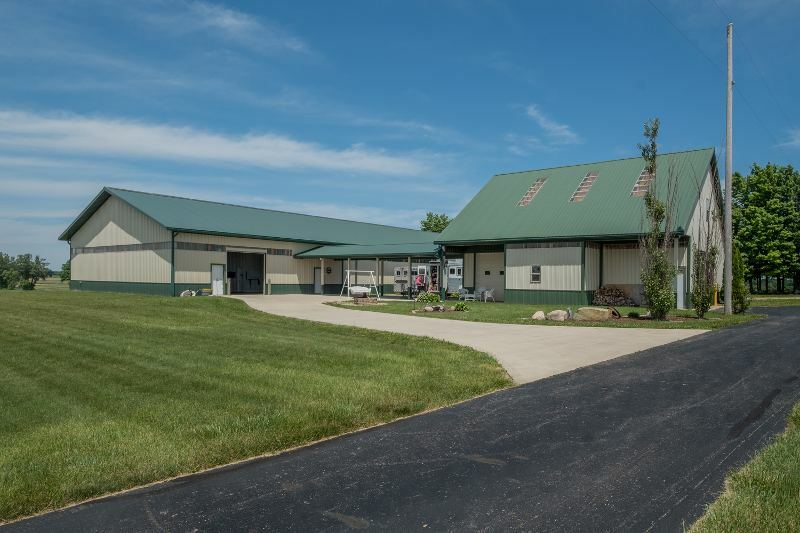 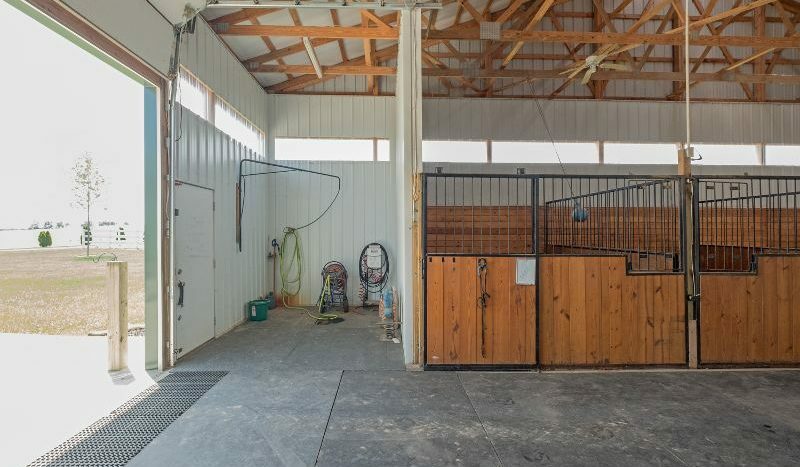 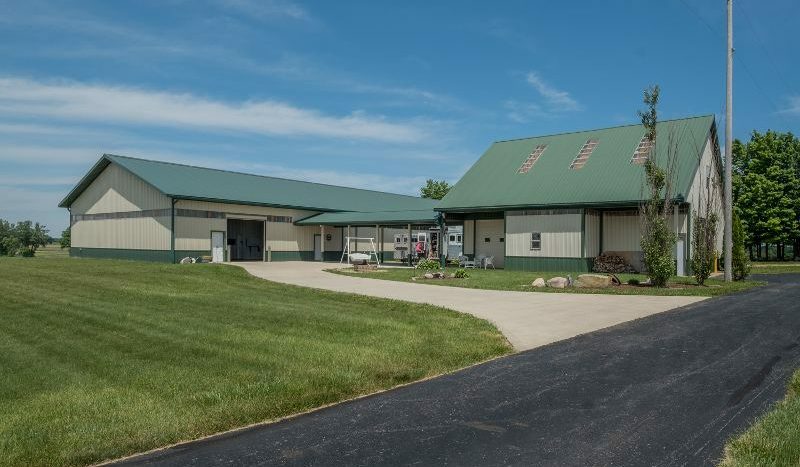 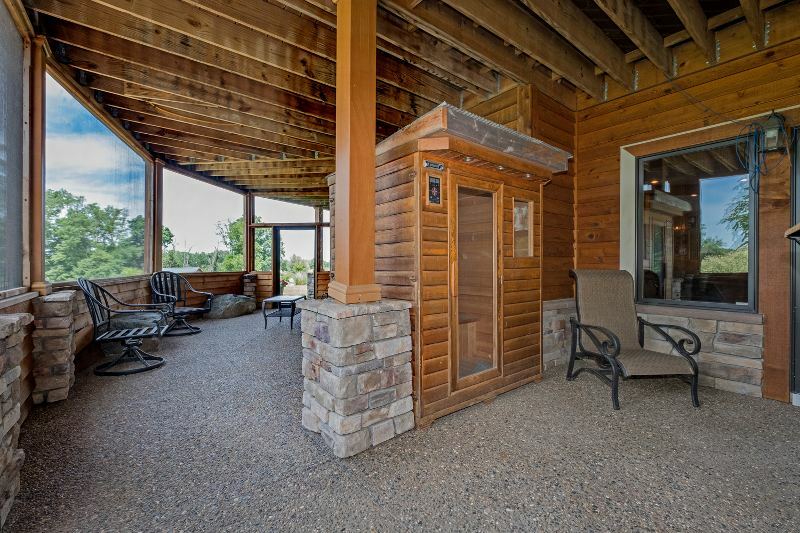 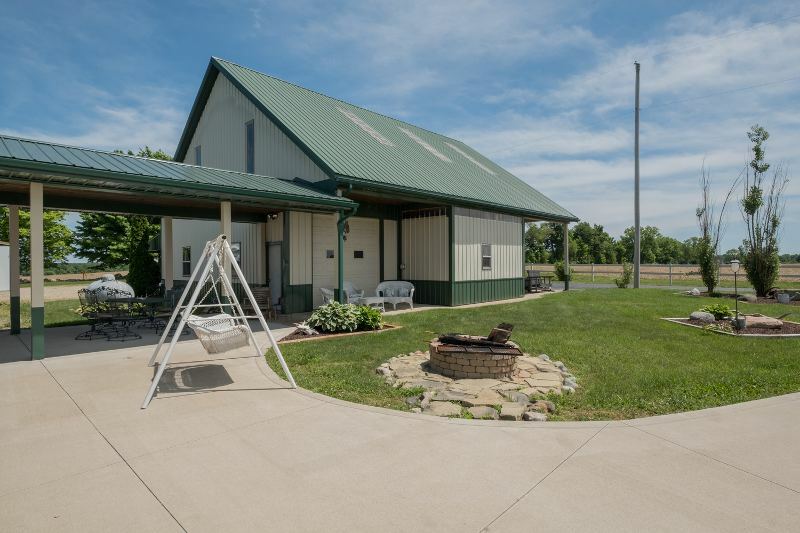 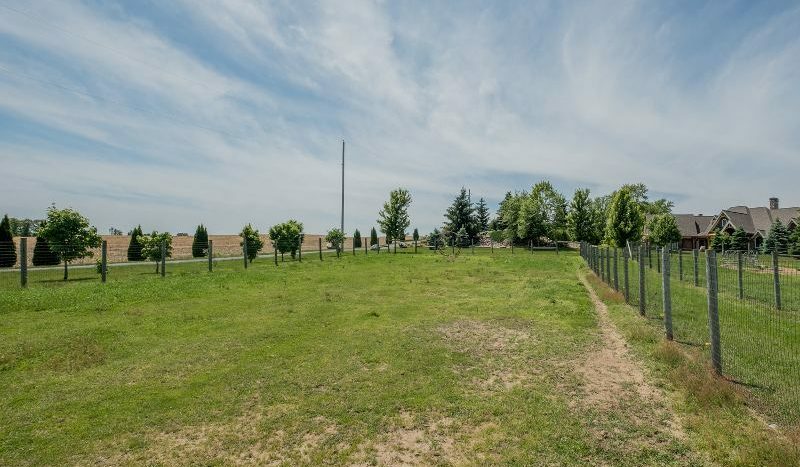 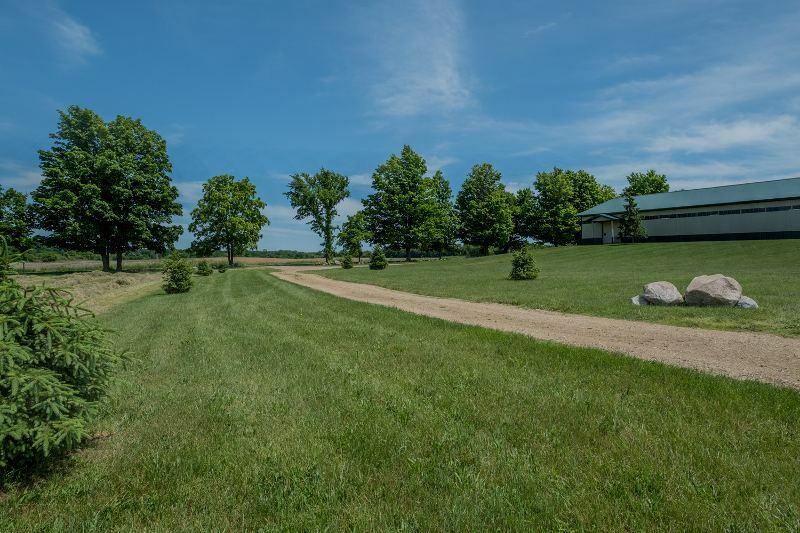 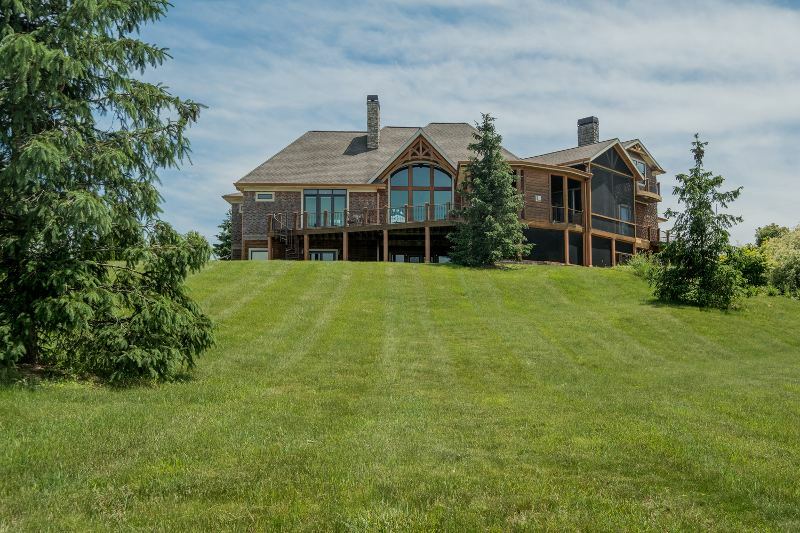 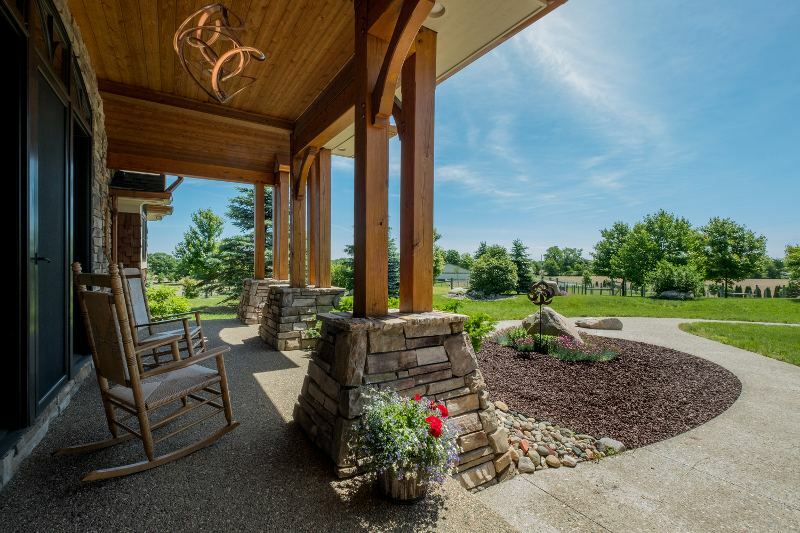 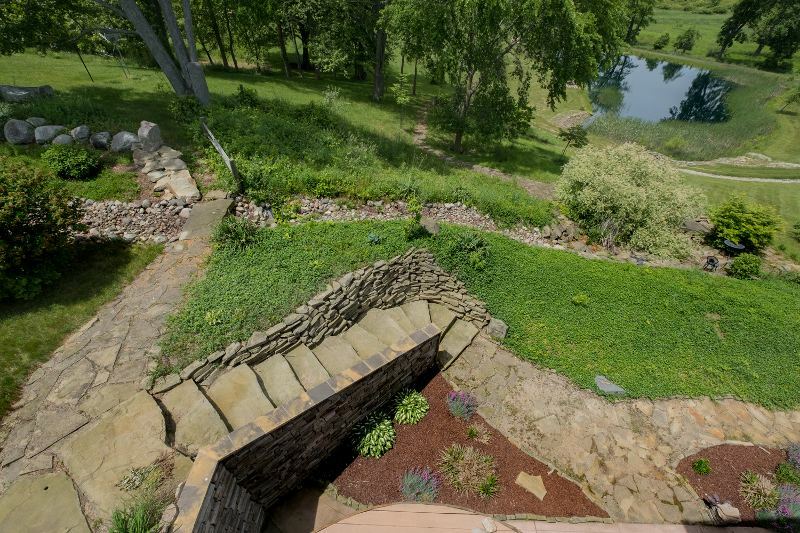 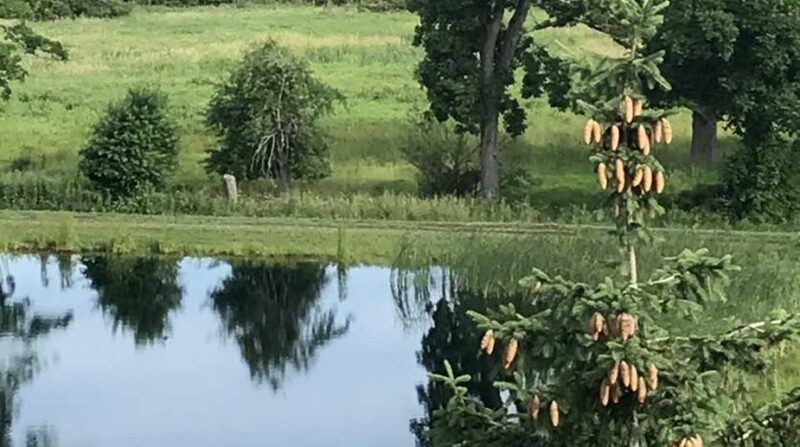 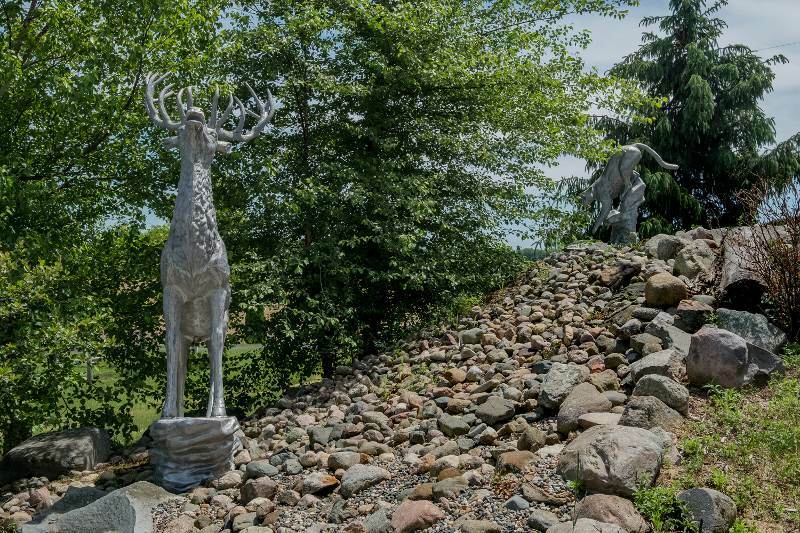 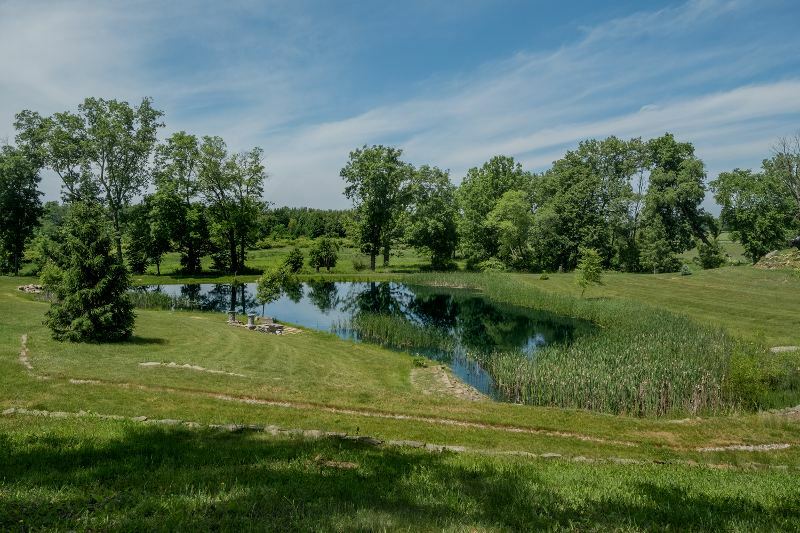 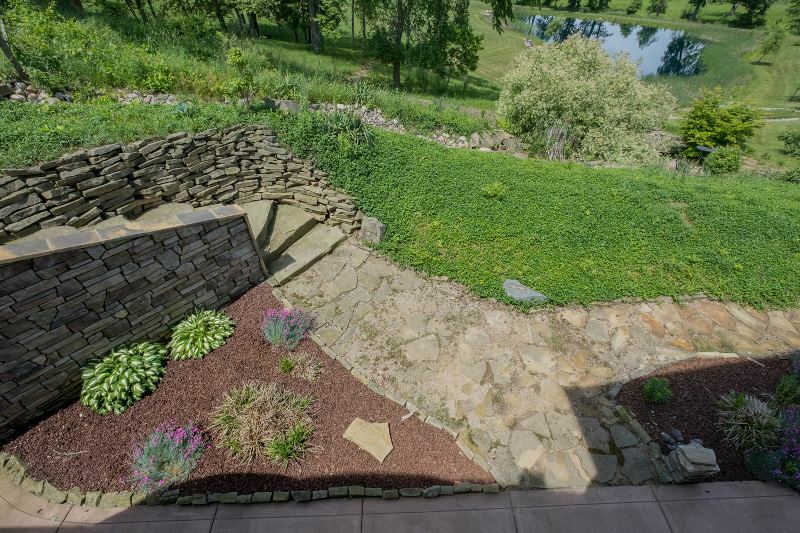 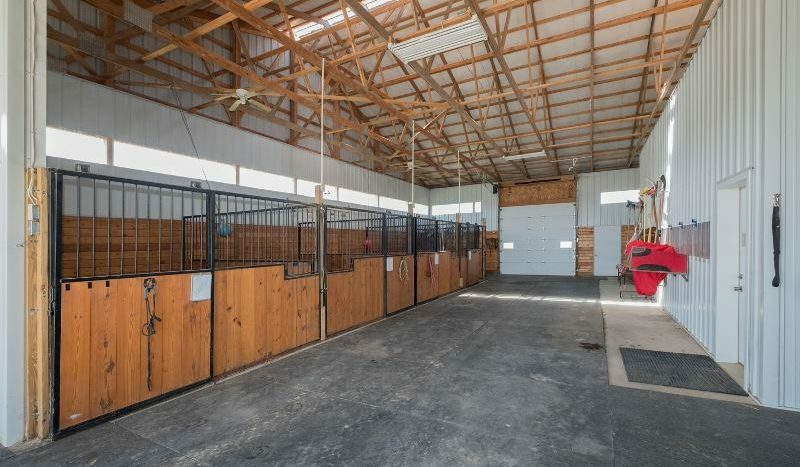 Beautifully landscaped, this is a picturesque piece of paradise whether you’re looking for Equine Amenities, Privacy, Hunting opportunities, Business Retreat or Nature Preserve you’ll find it here.